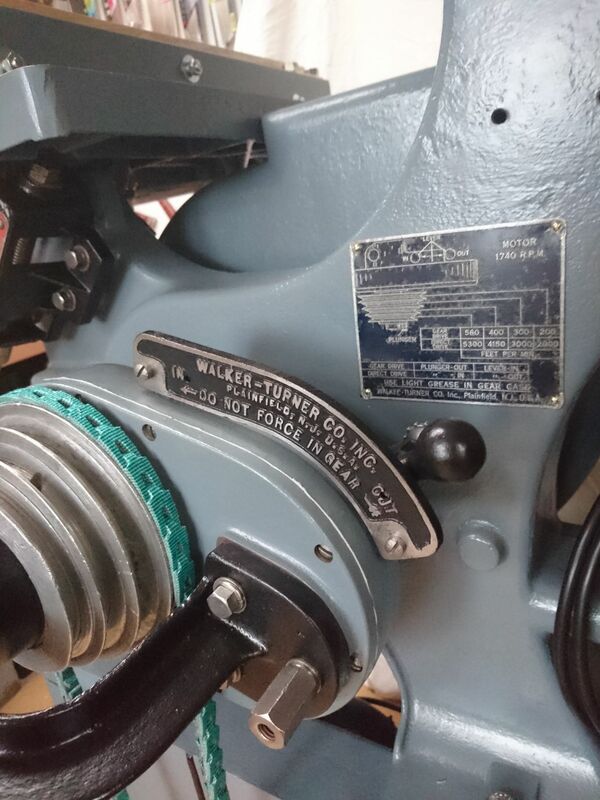 Julian and I share an appreciation of machinery produced by the former Walker Turner Co from the USA. 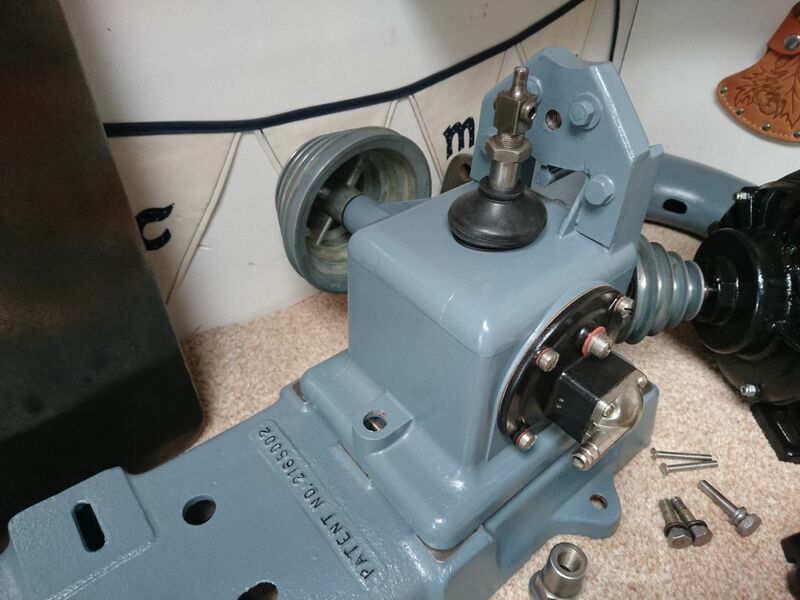 So first off a big welcome to anyone who is visiting from the OWWM site by following the link or just landed here after a general search. 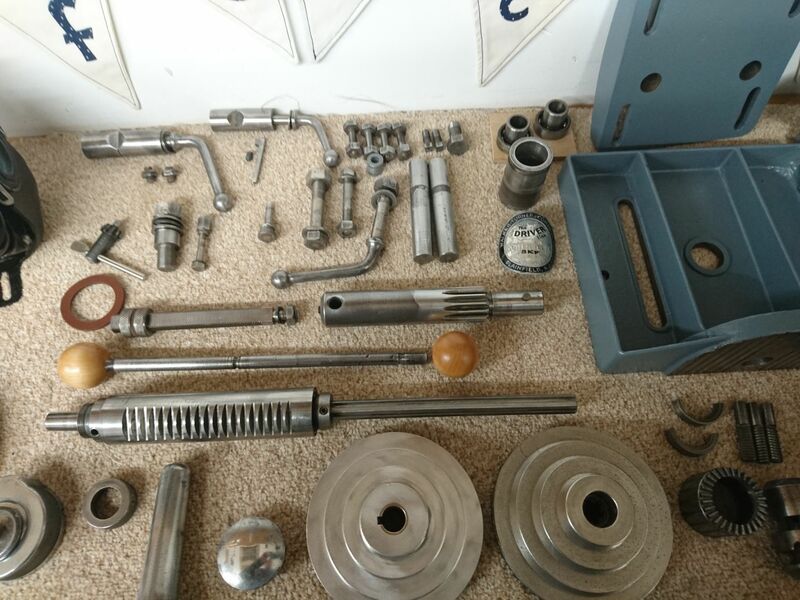 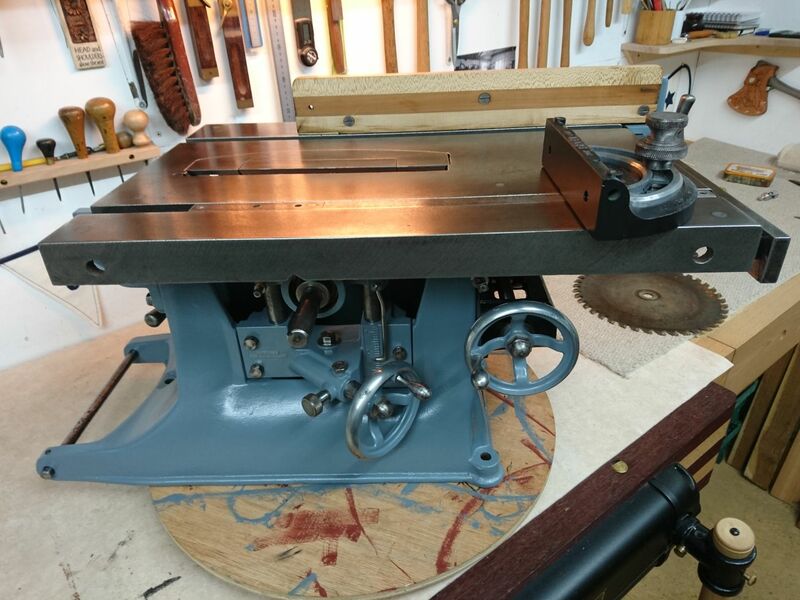 I hope you will enjoy this collection of working WT machines originally from the USA but now very much at home in the UK. 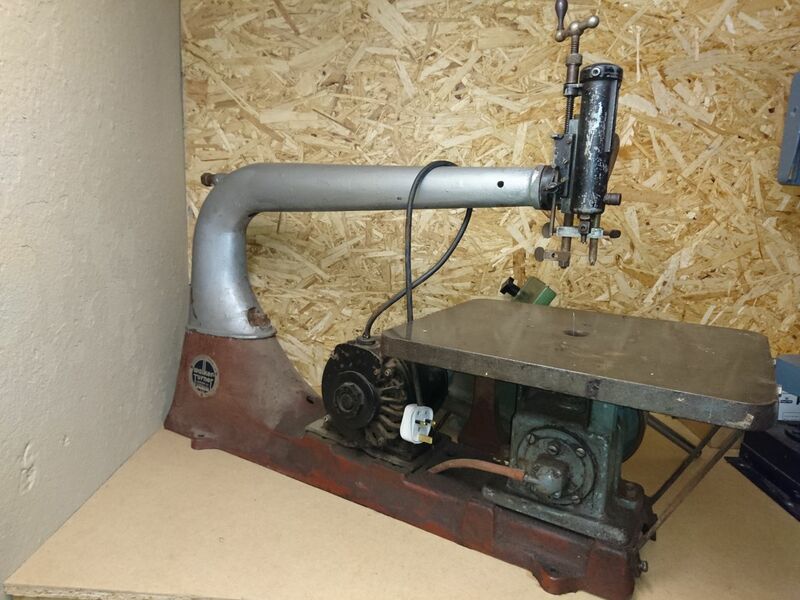 Now whilst I have an almost xenophobic fondness for British engineering the machines from this overseas outfit tick all my boxes. 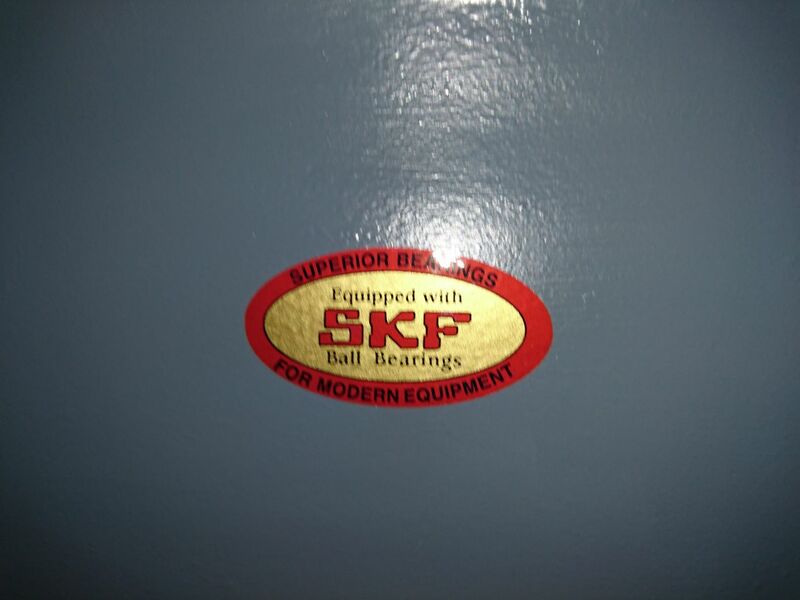 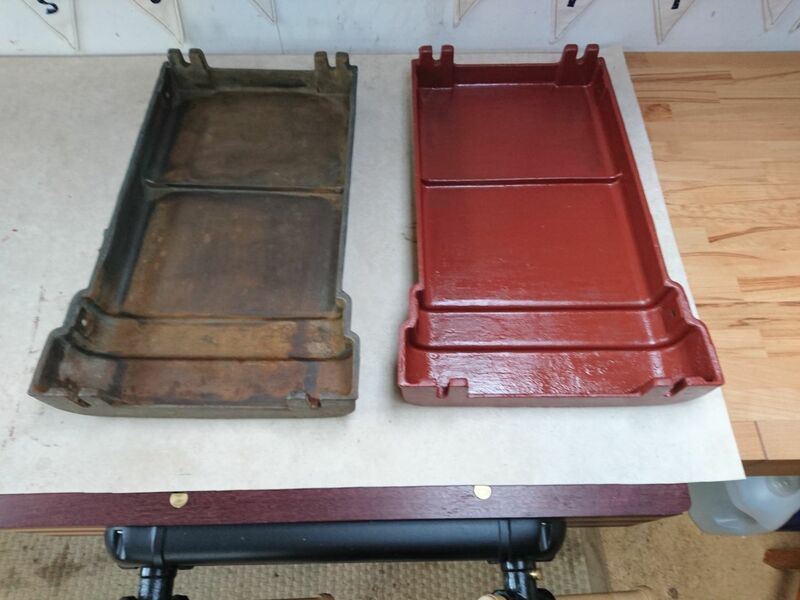 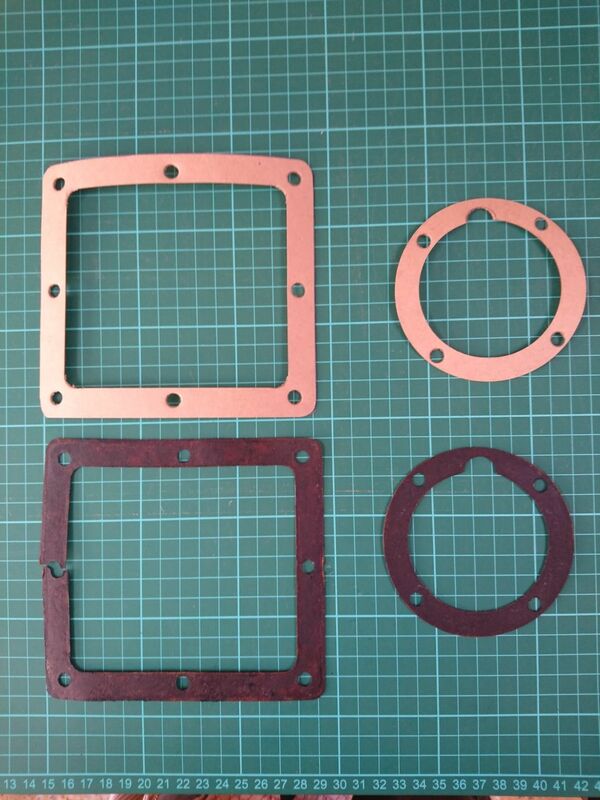 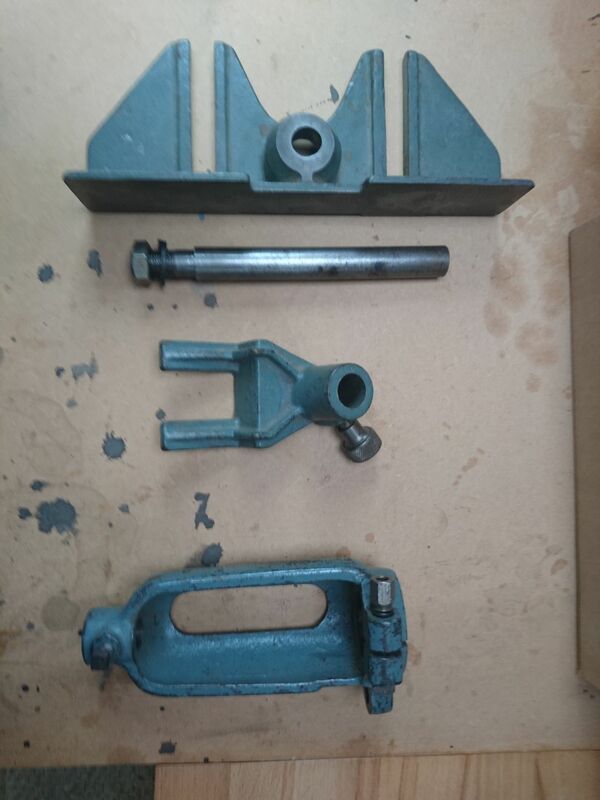 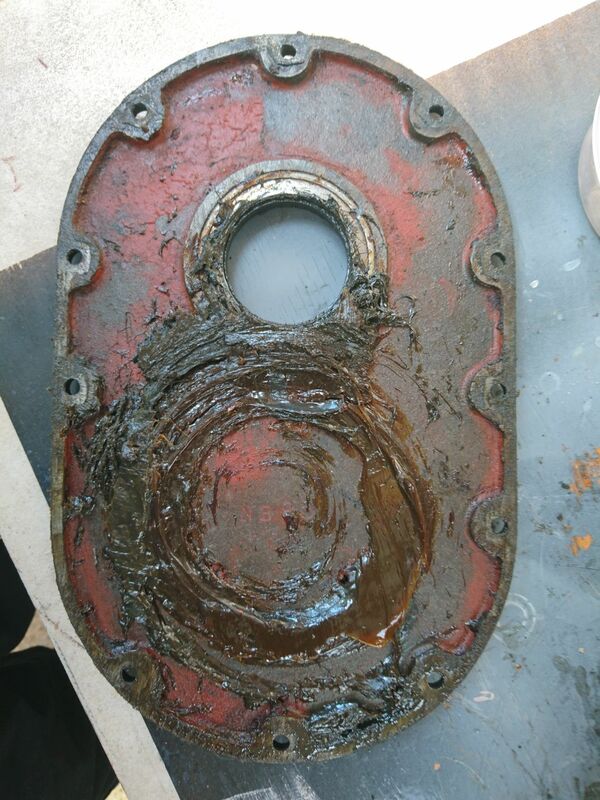 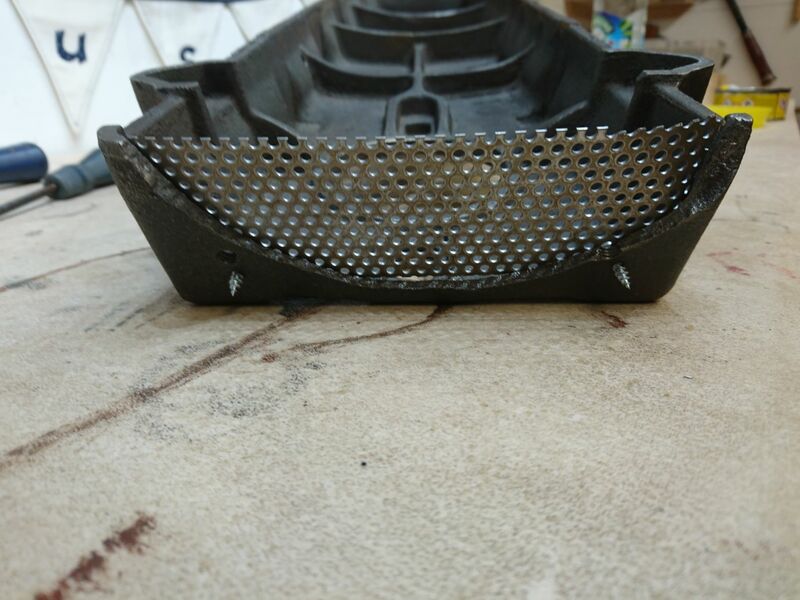 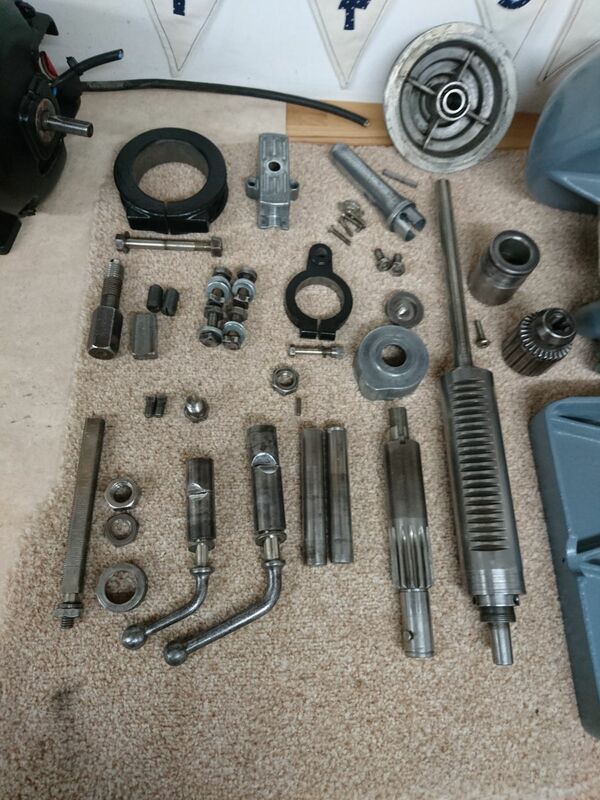 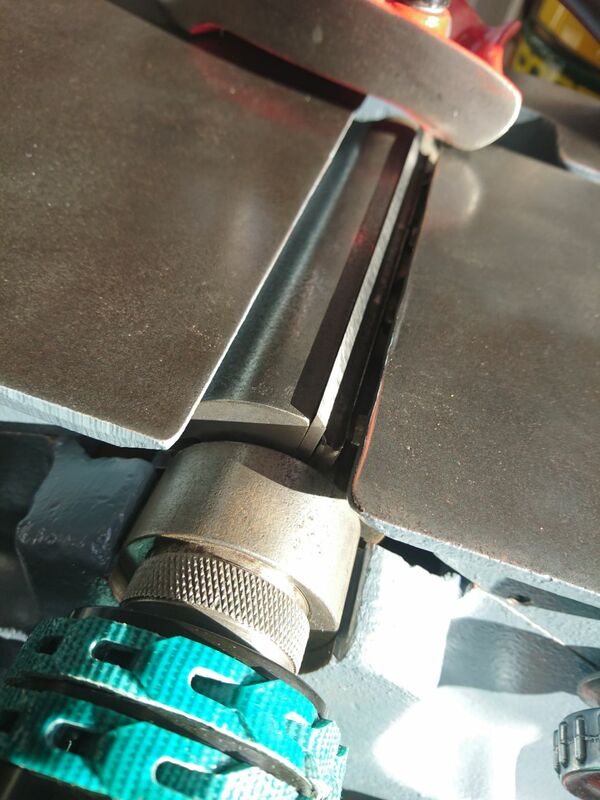 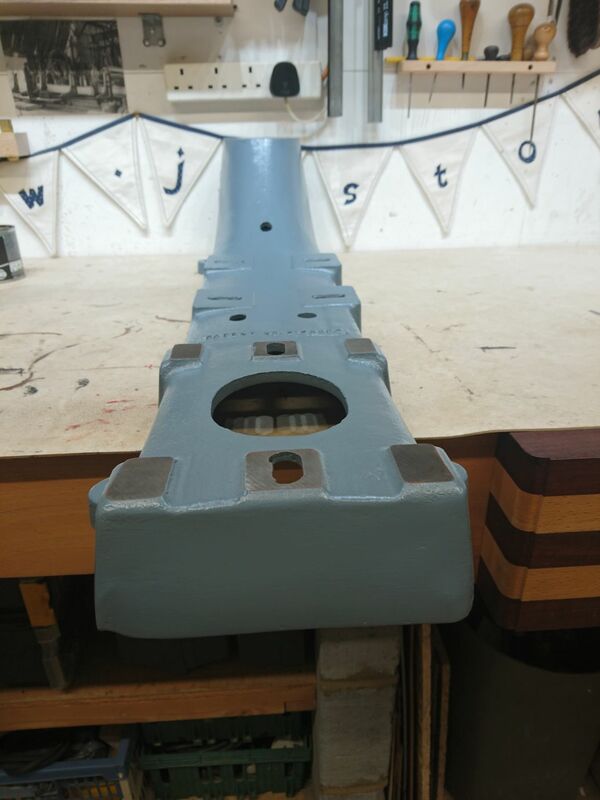 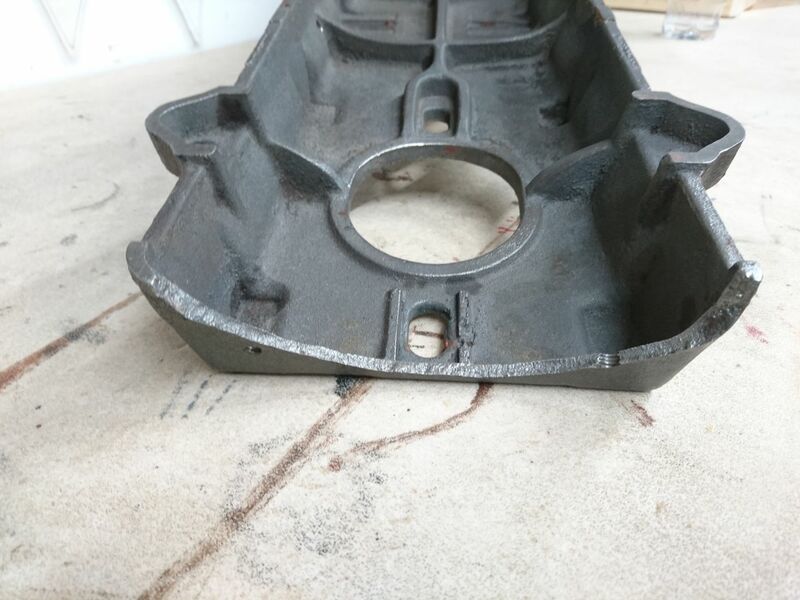 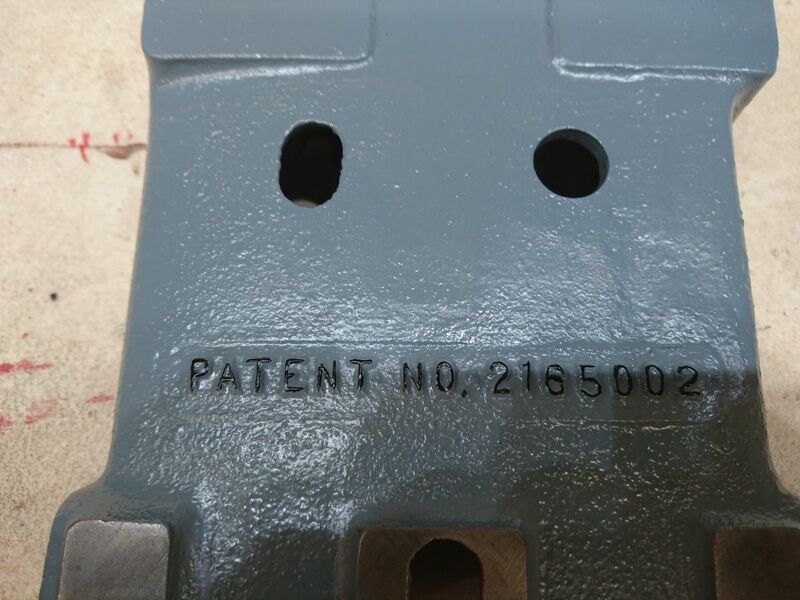 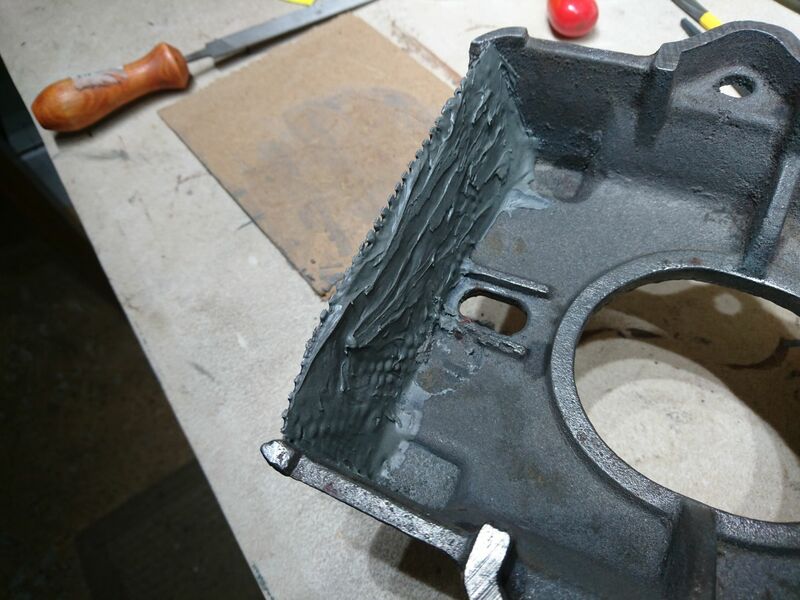 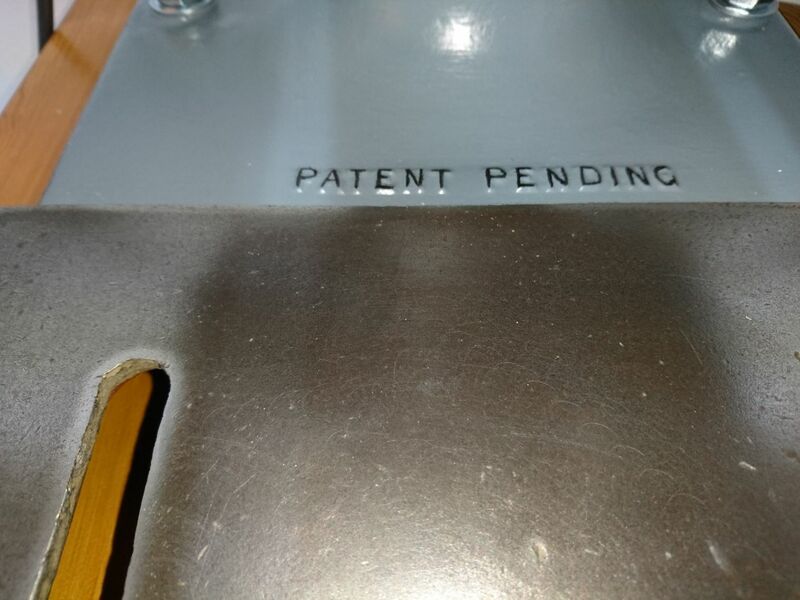 Although they were mass produced the quality of the steel used and the innovative engineering is excellent. 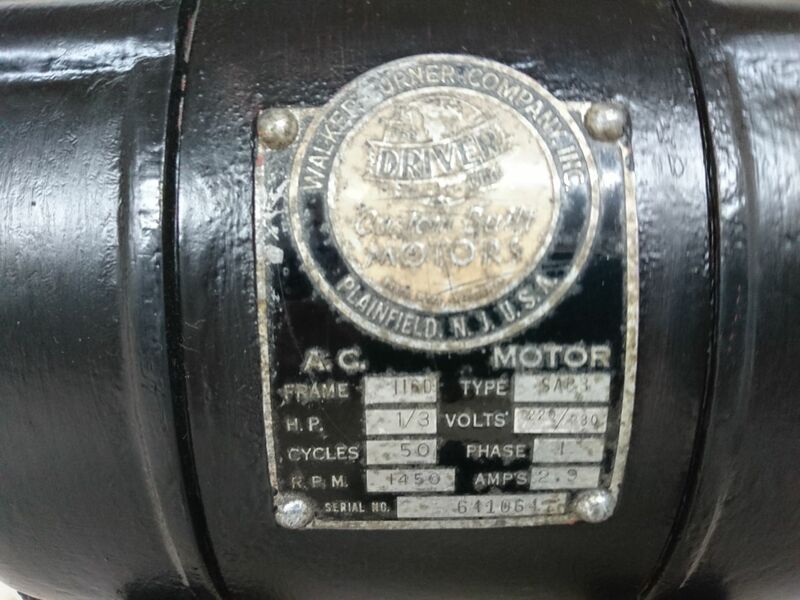 It is interesting to follow the progress in the development of the machines from the 1930s to the 1950s through sites on the internet. 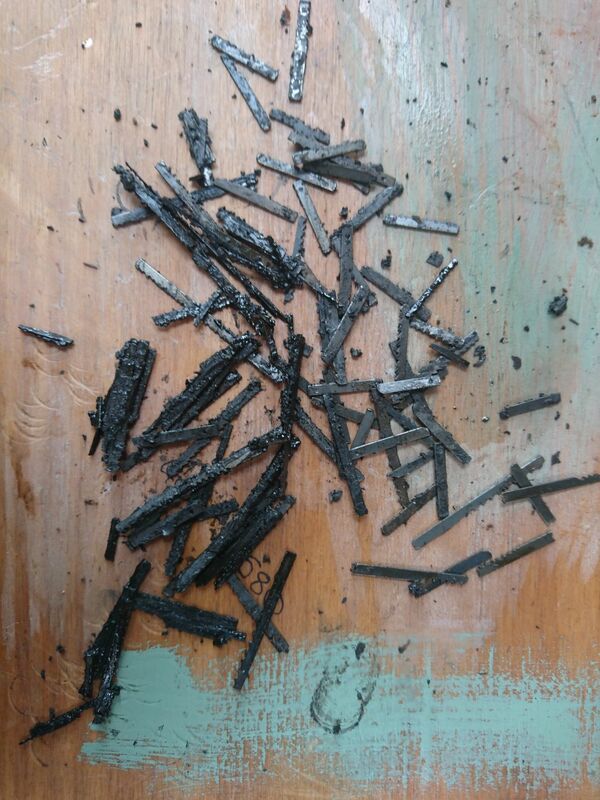 It is a little ironic that such a modern and dynamic medium is used for the purpose of "saving the past". 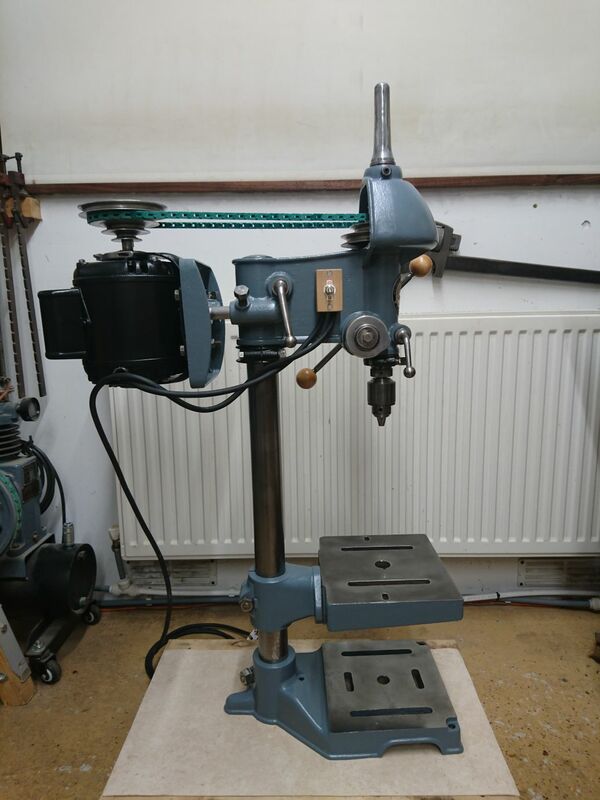 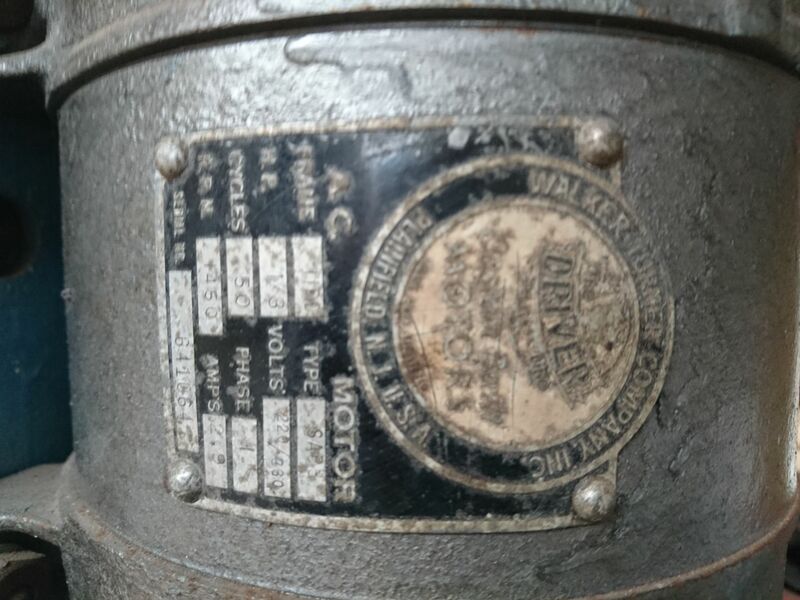 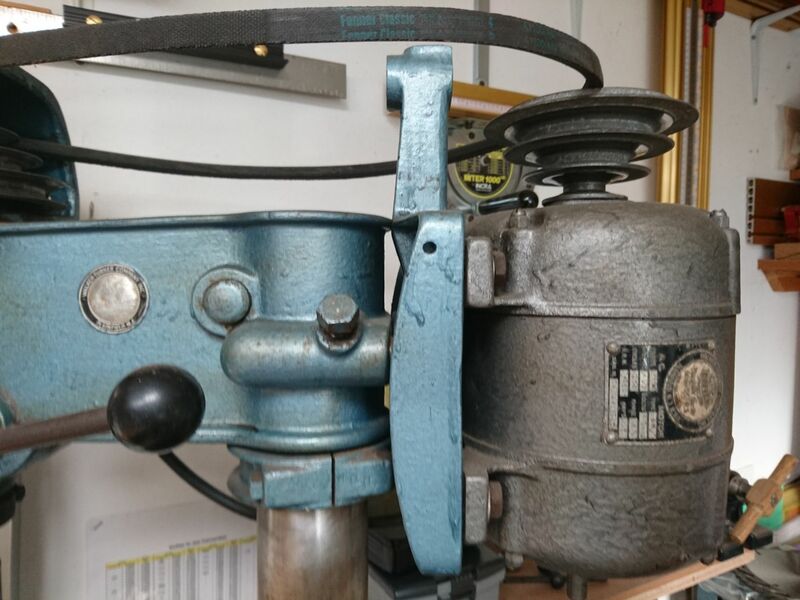 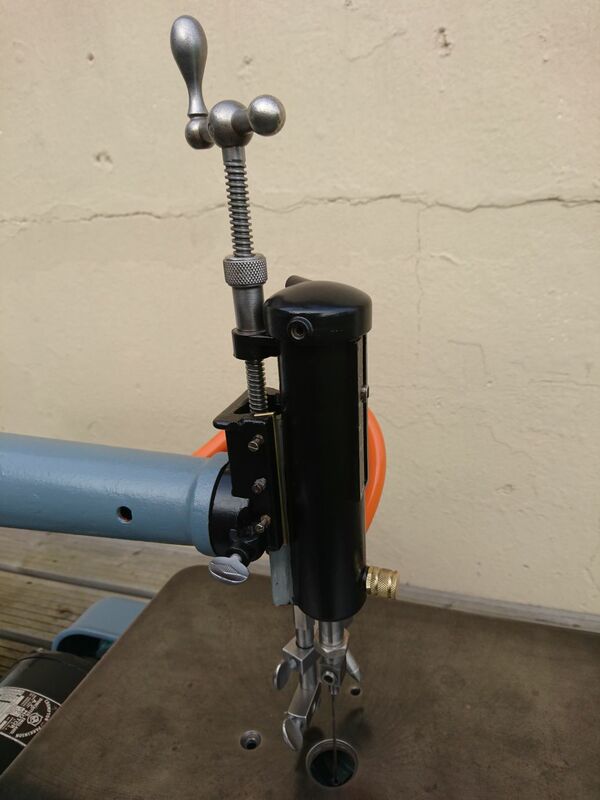 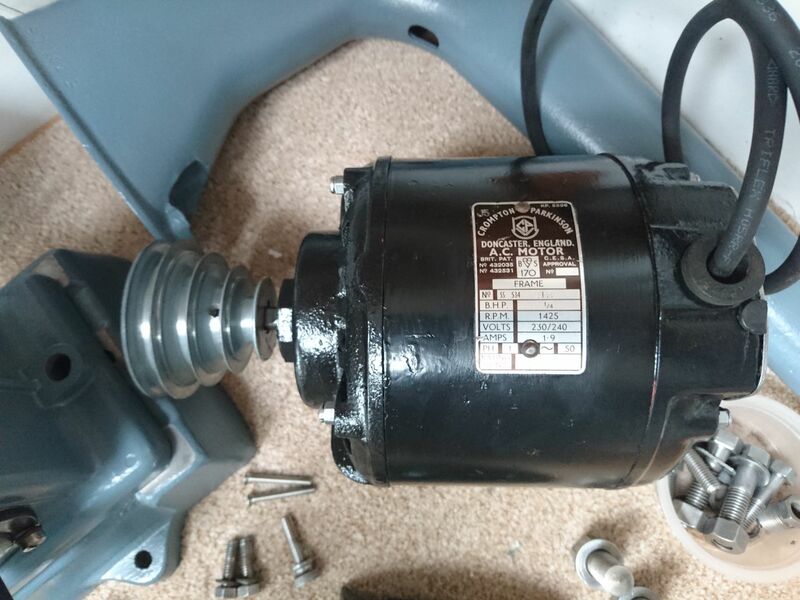 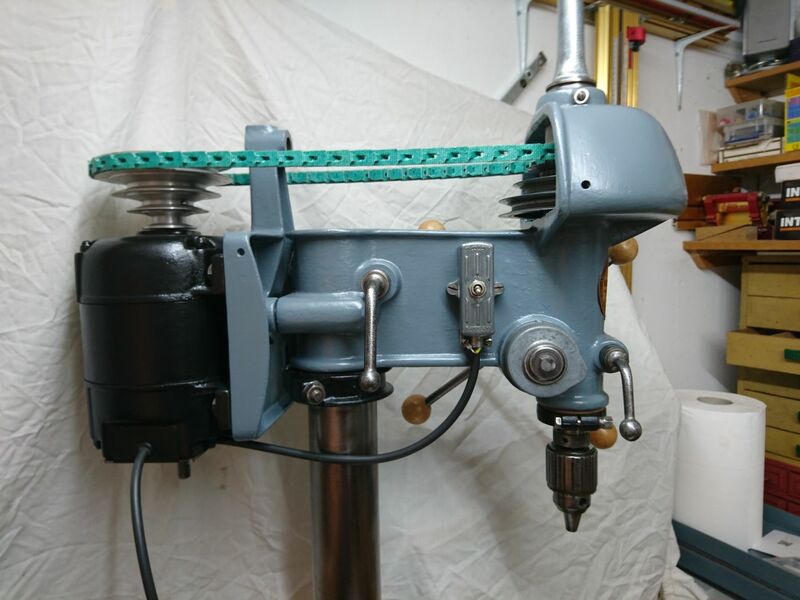 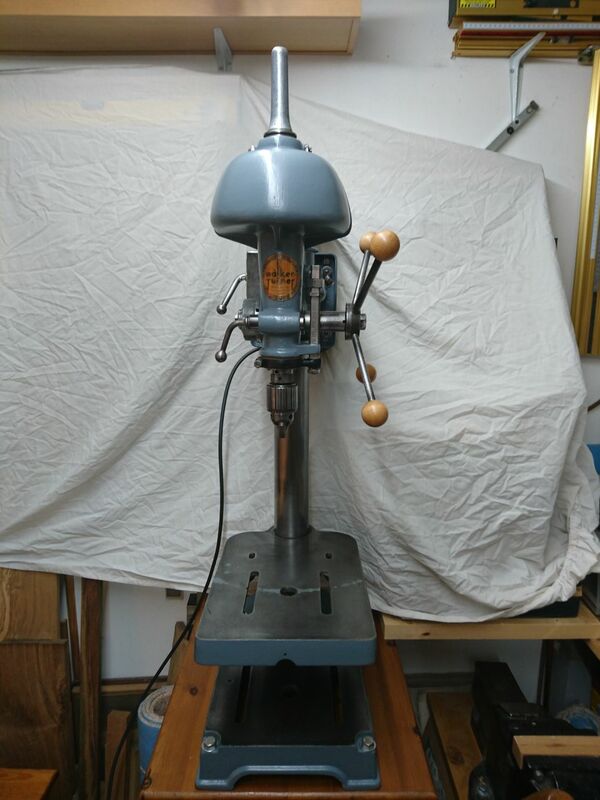 One of my first restorations was a DP900 floor standing pillar drill which I sadly failed to record but I got hooked on the brand. 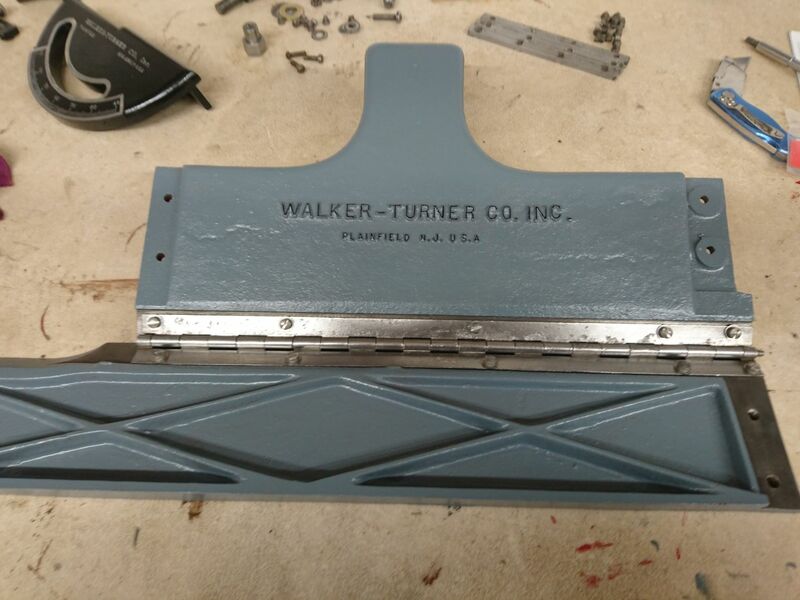 Julian has taken this one step further. 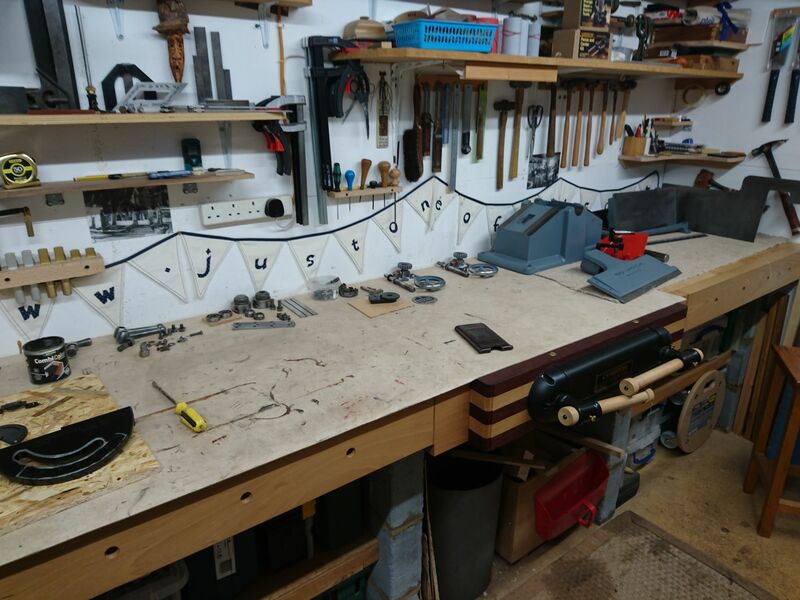 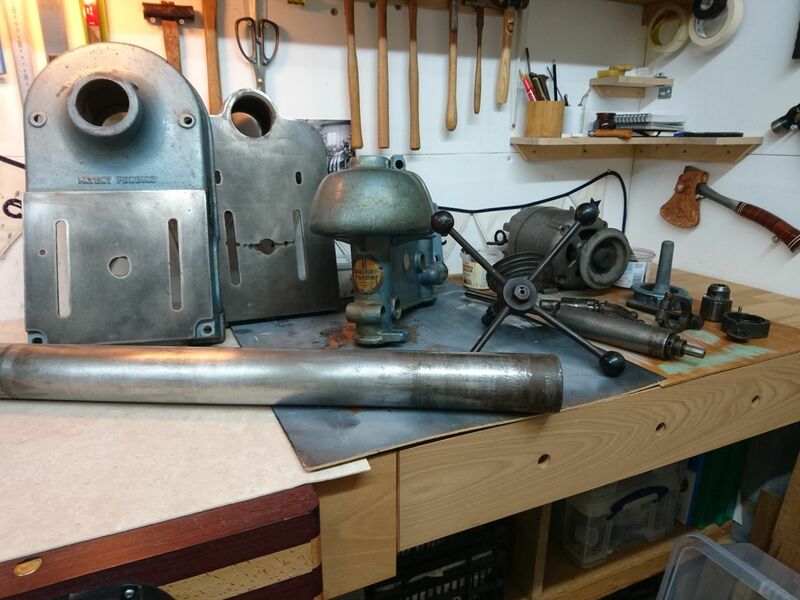 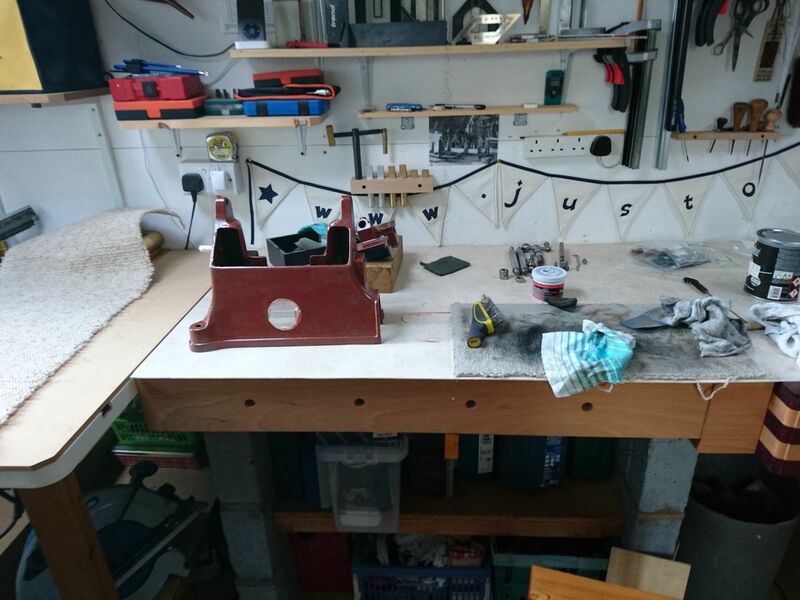 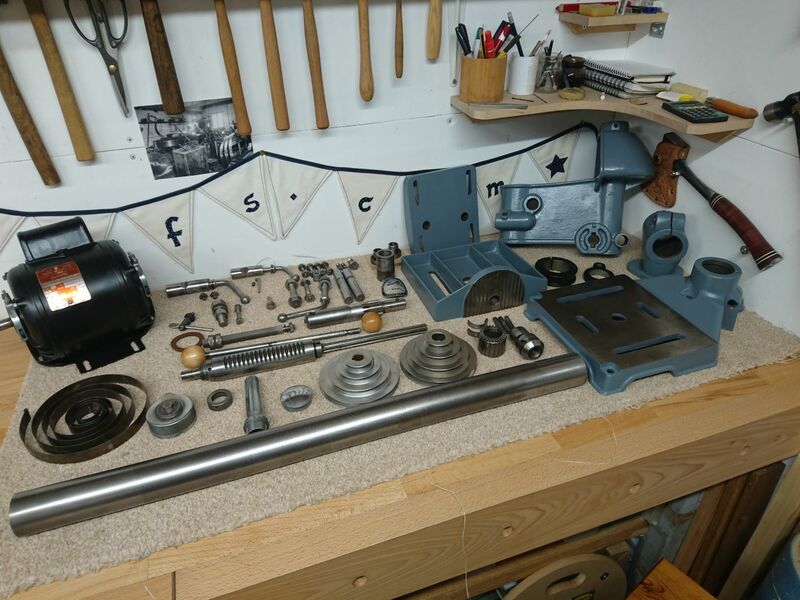 His workshop boasts several WT machines all of which have been meticulously restored to his exacting standards. 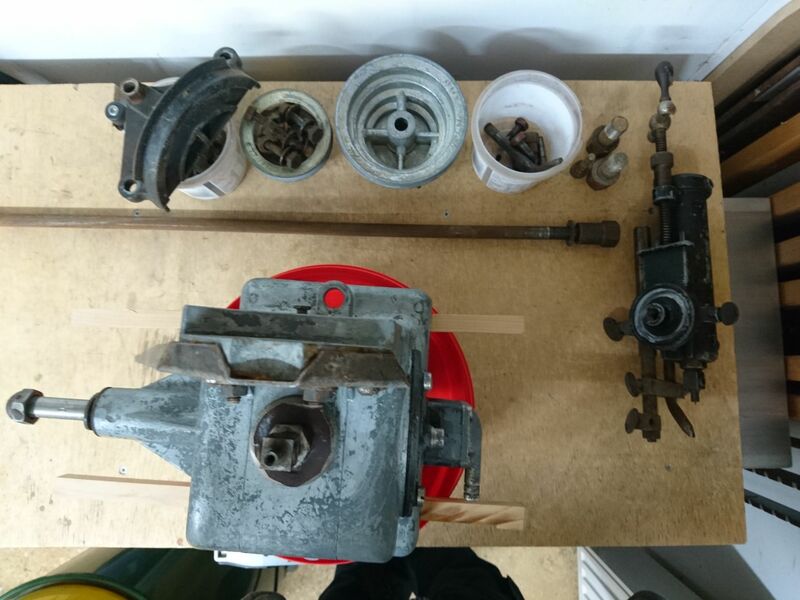 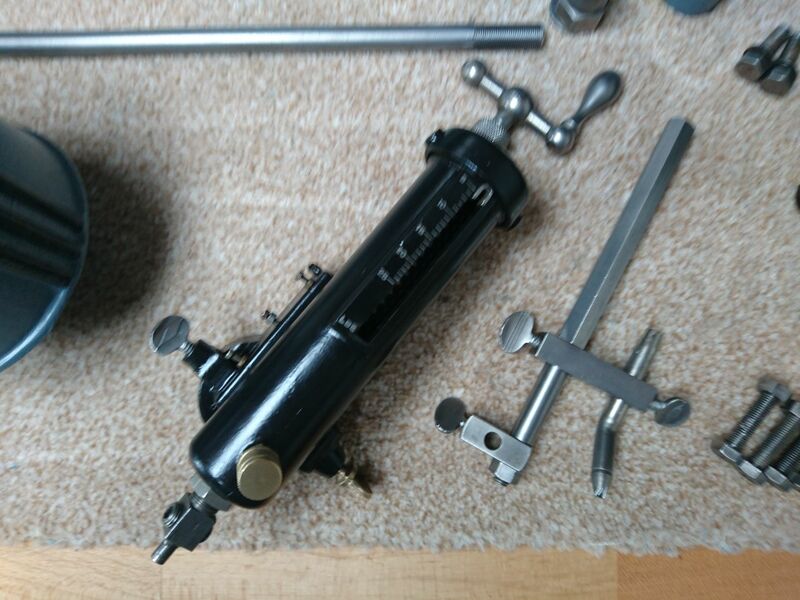 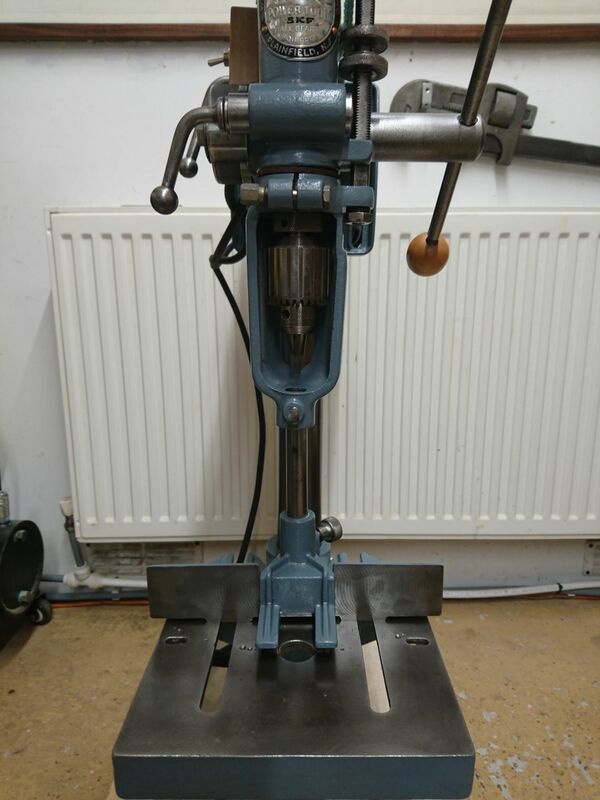 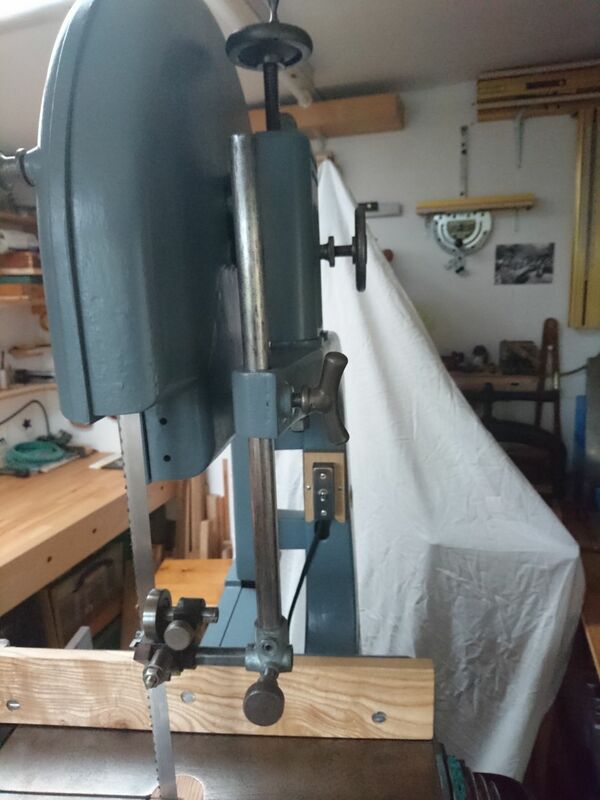 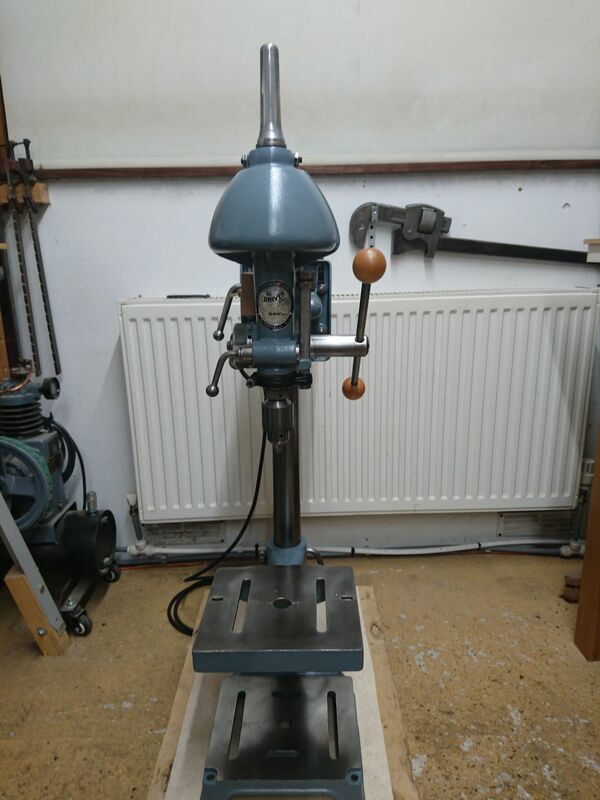 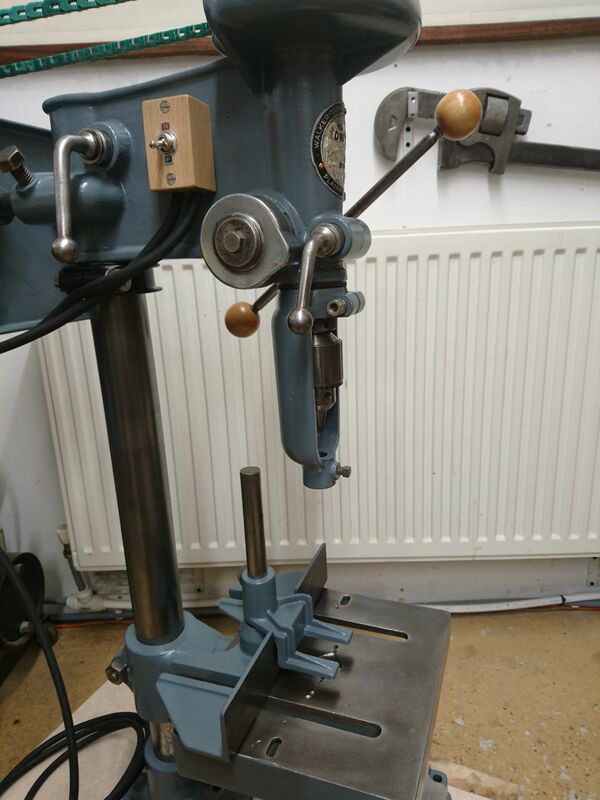 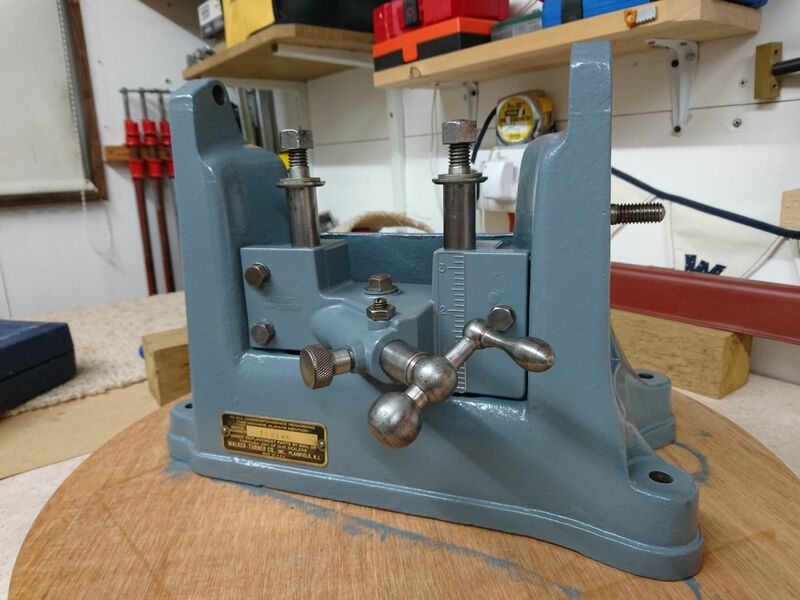 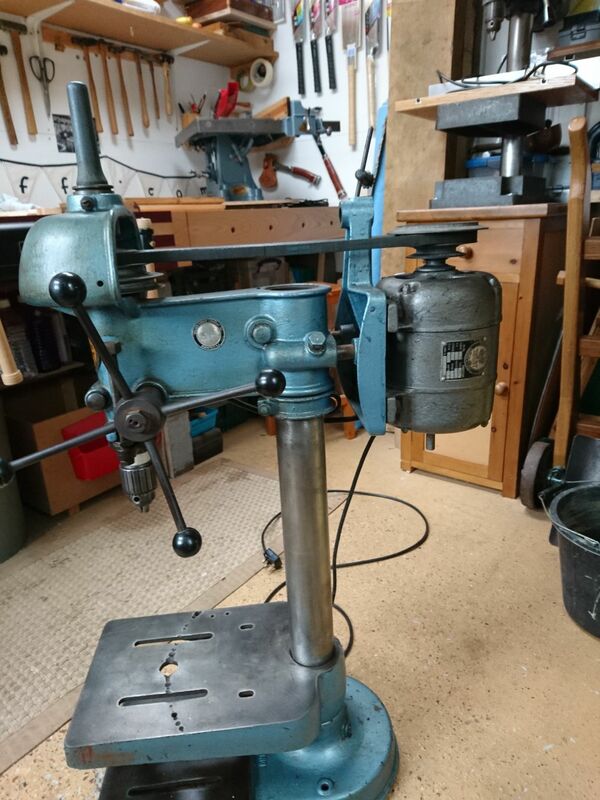 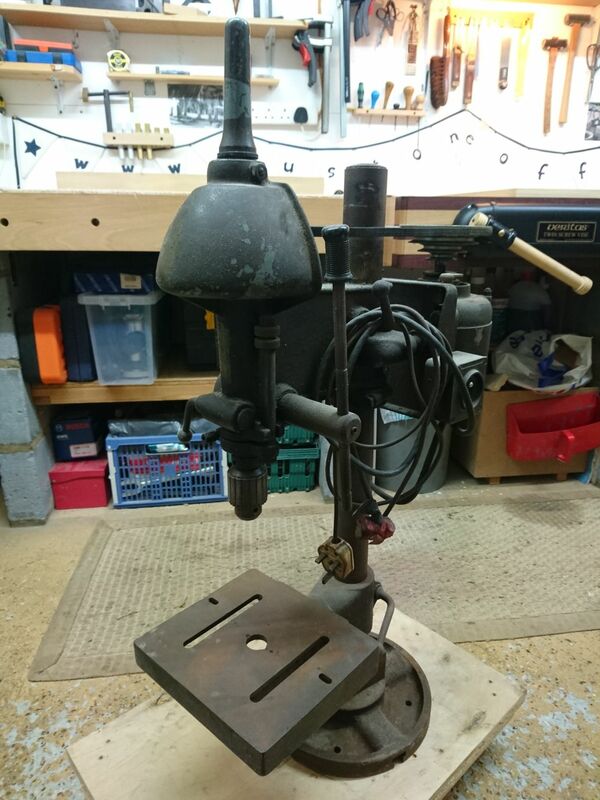 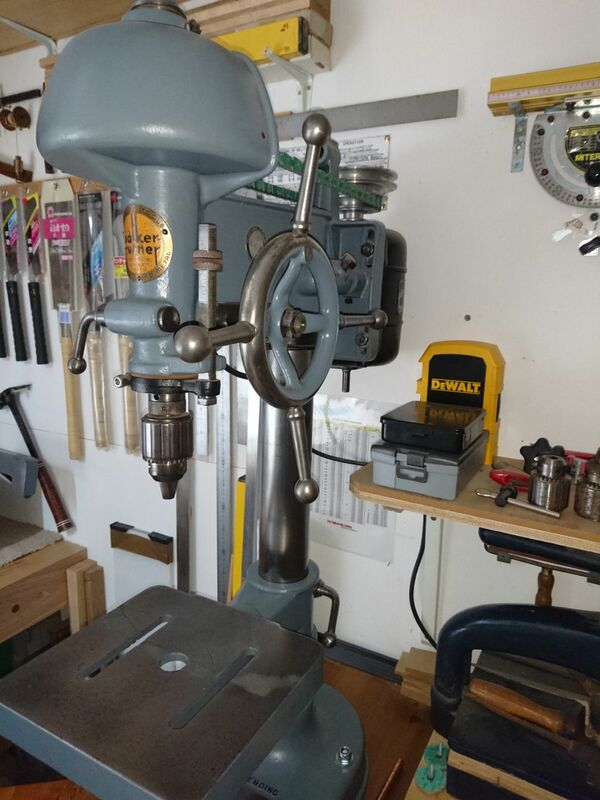 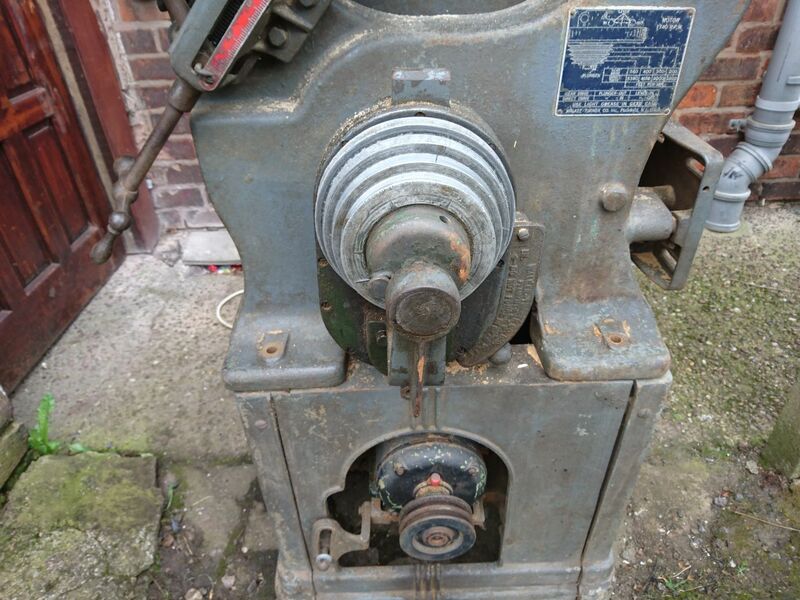 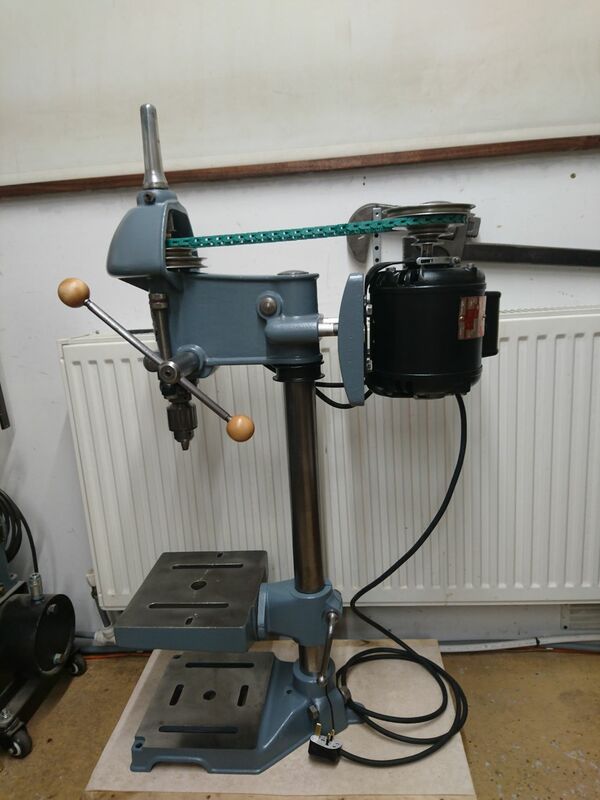 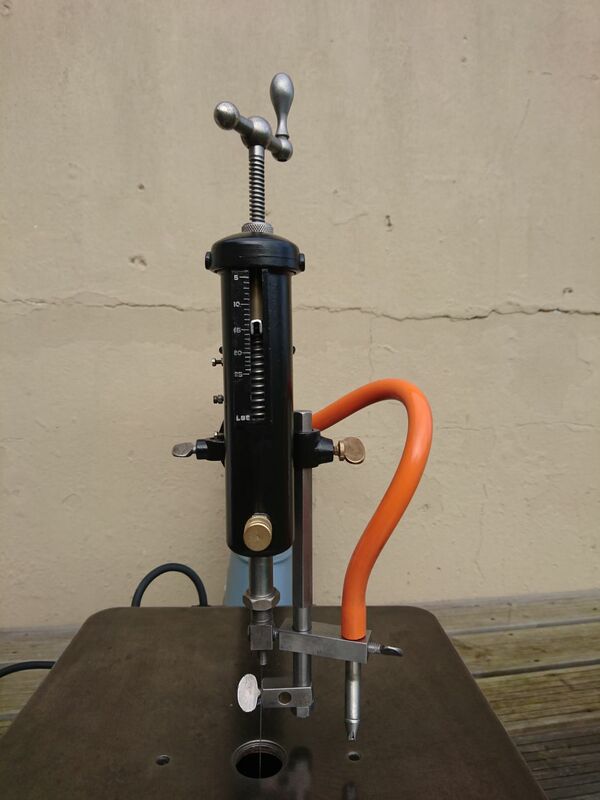 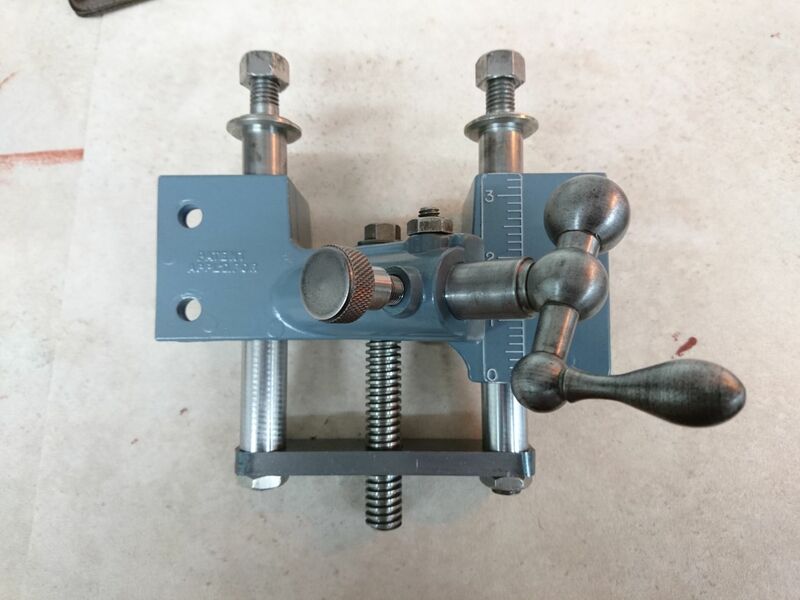 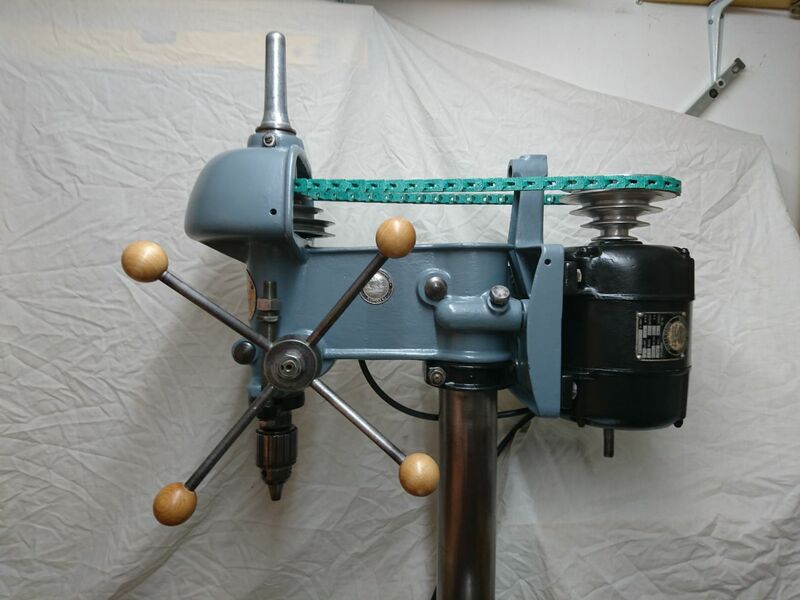 First up is a 13" bench drill from the 1930s. 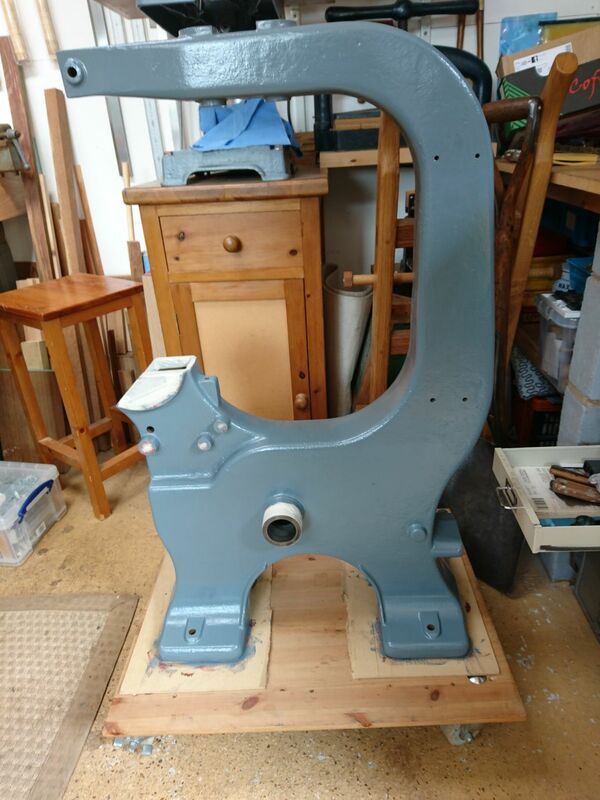 Interestingly this machine is fitted with the rare (in the UK at least) mortising attachment which Julian had to import from the USA. 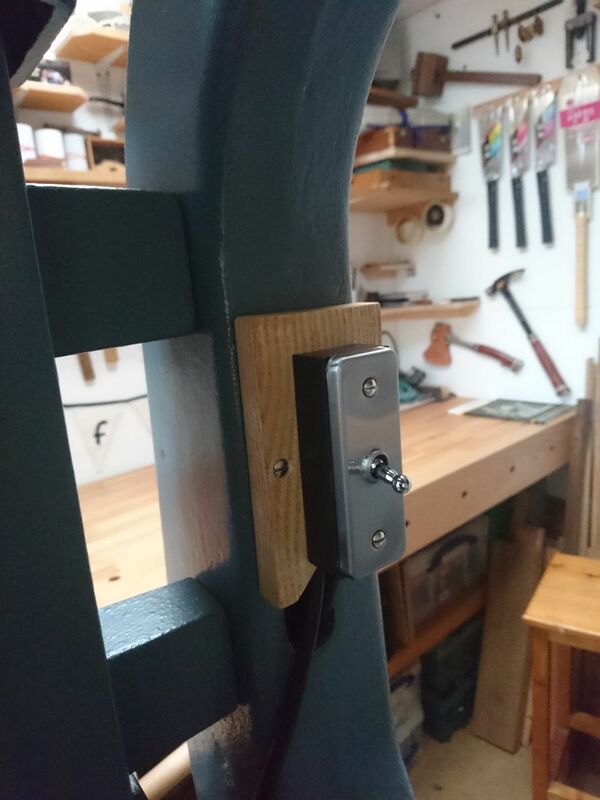 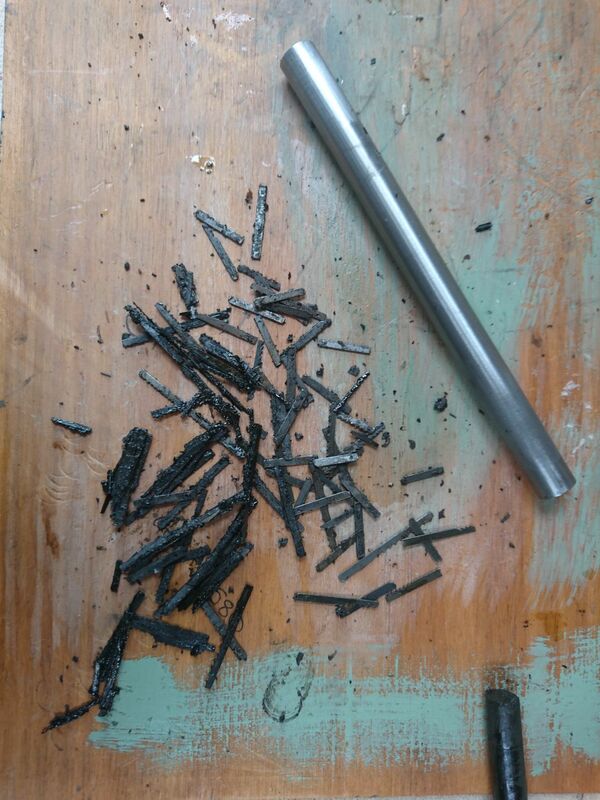 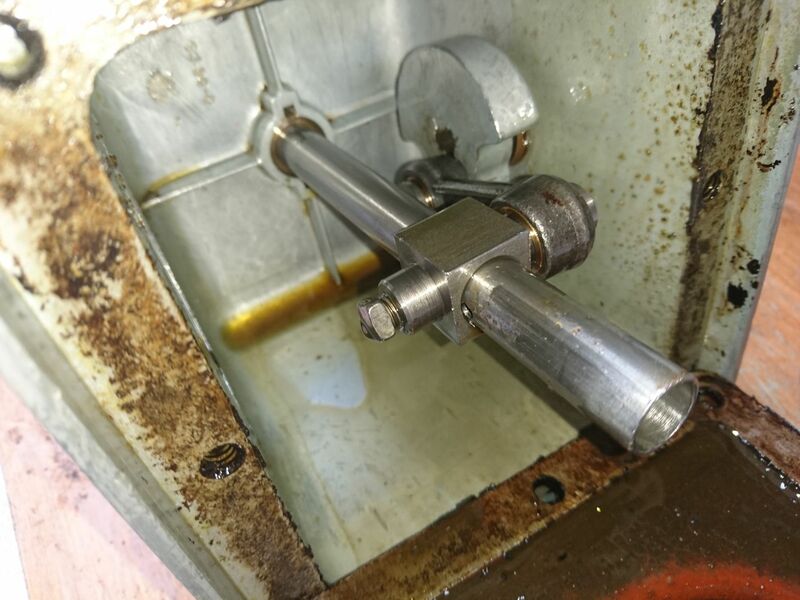 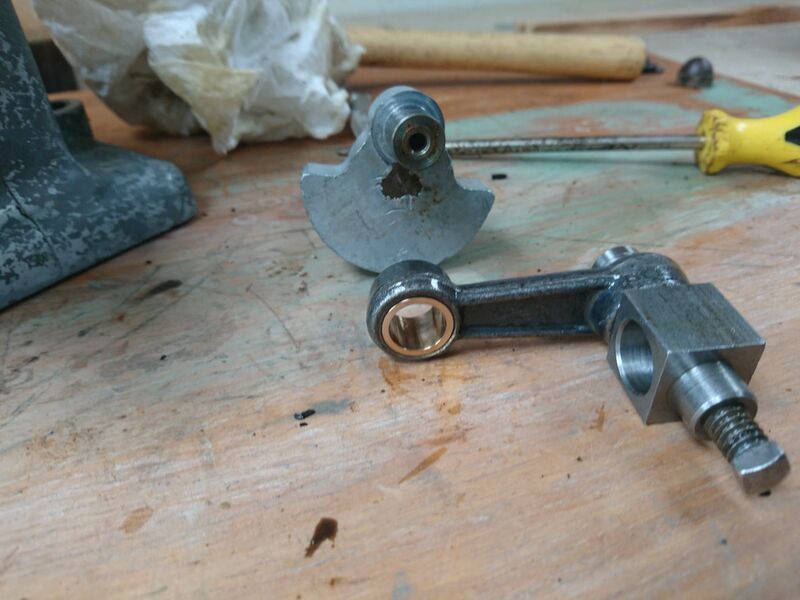 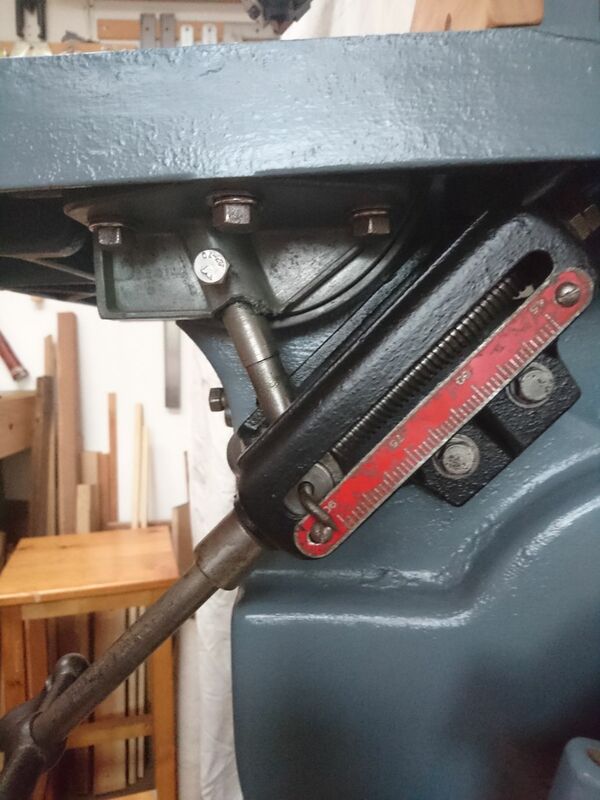 It takes a 5/8" shank which are proving hard to find in the UK. 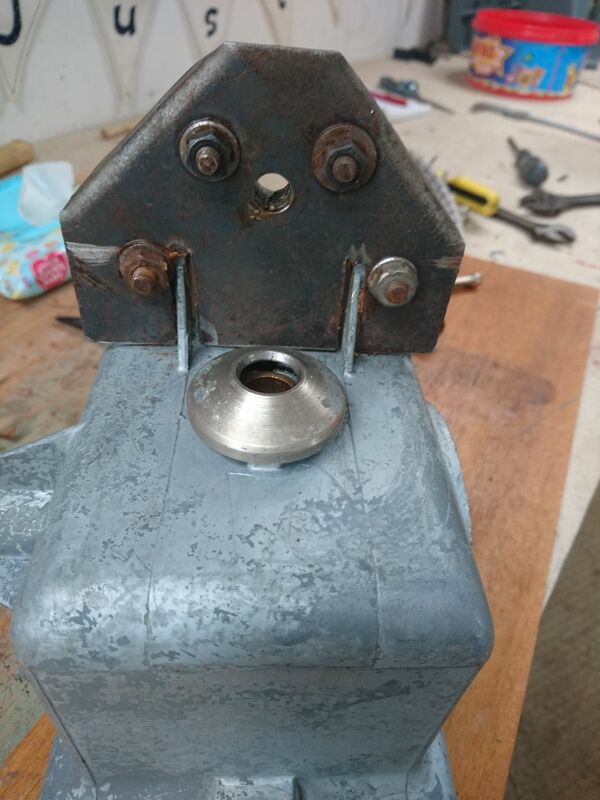 Enjoy the video below with headphones on and the volume up. 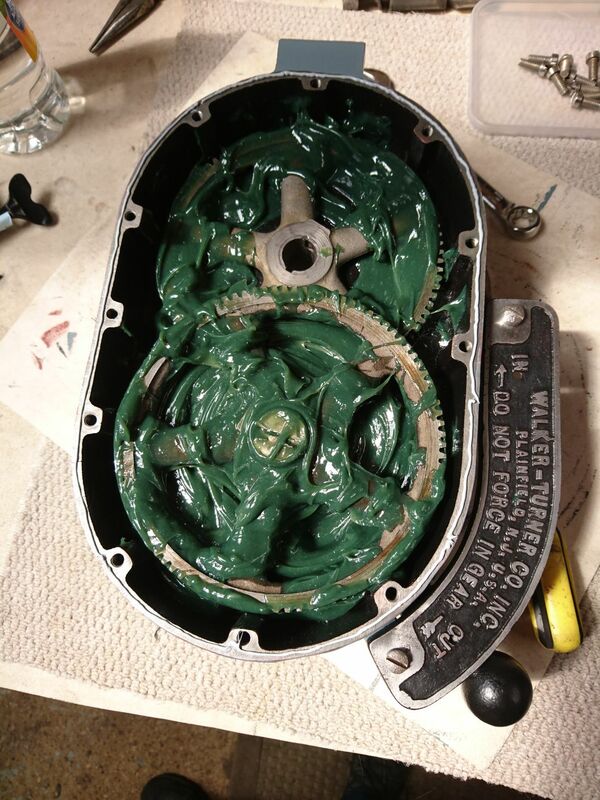 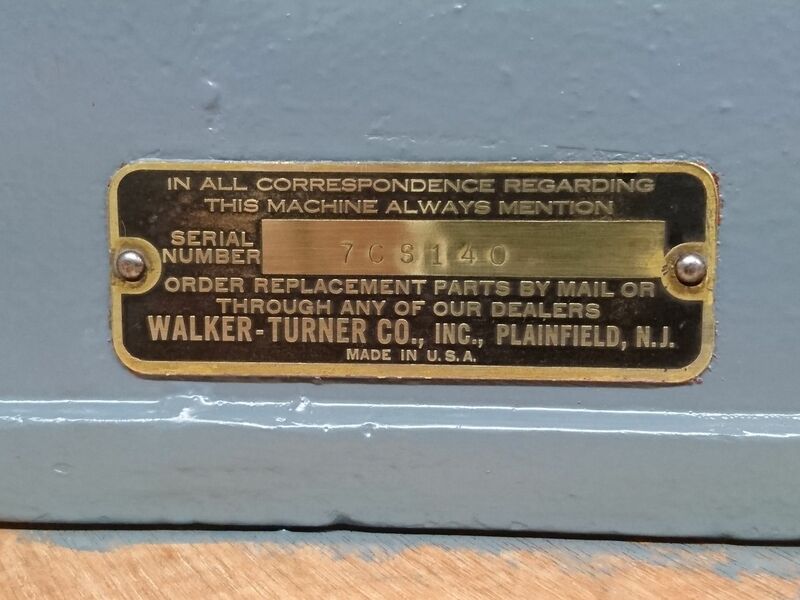 Listen to that machine growling at you like it was 1938. 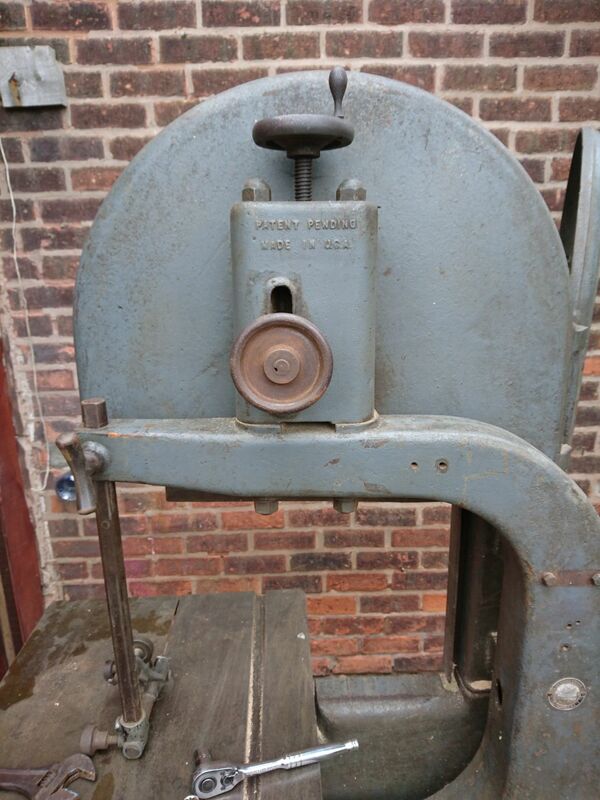 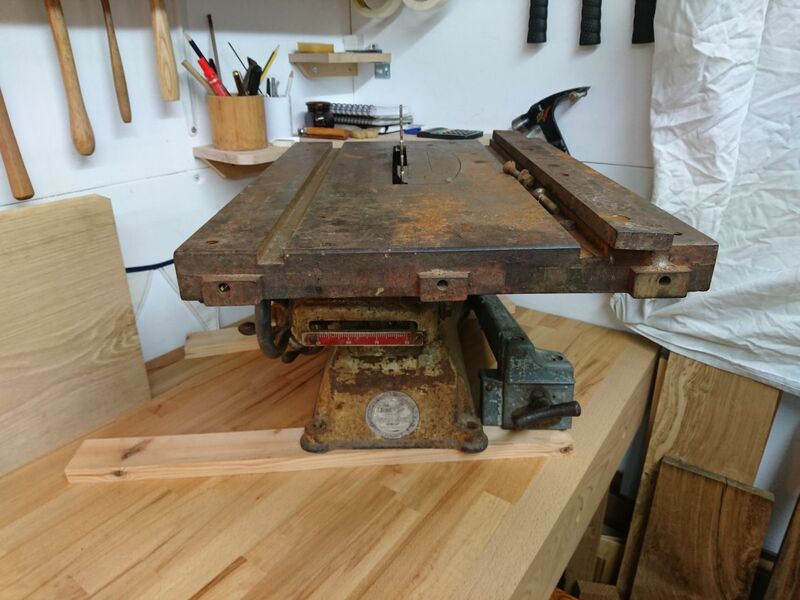 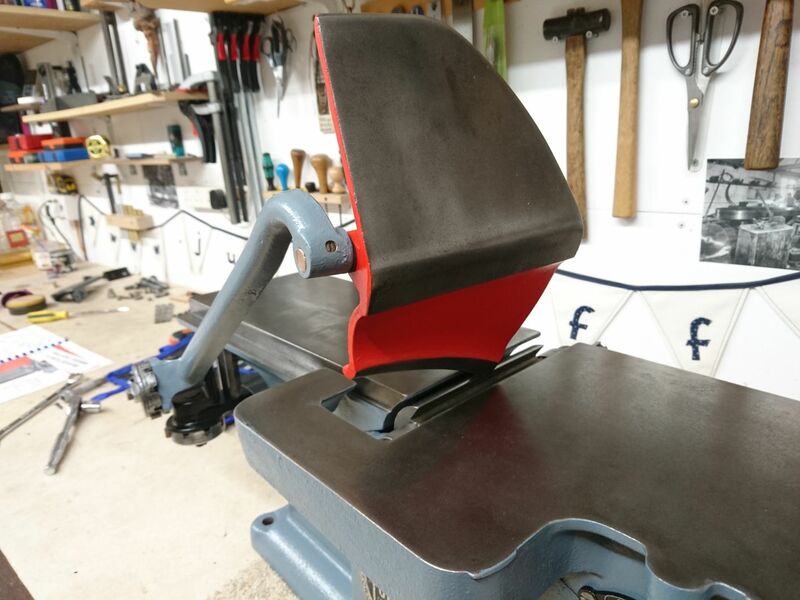 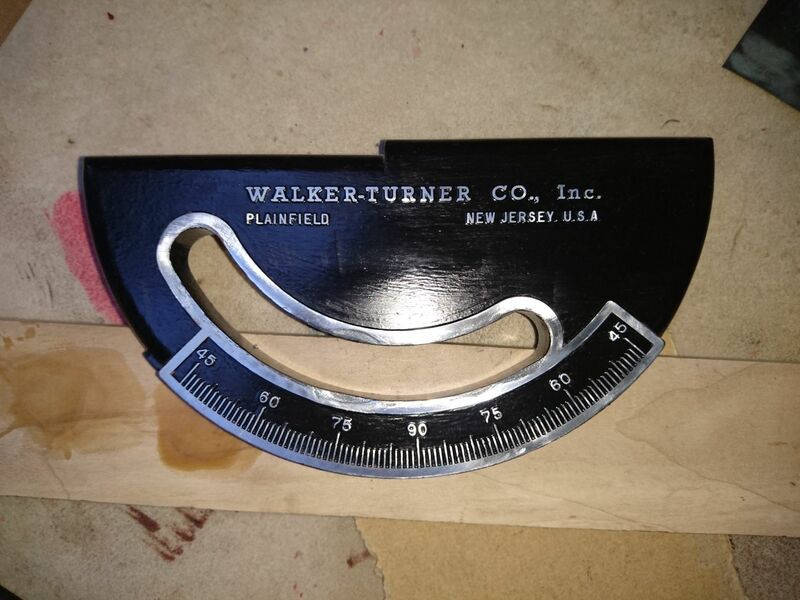 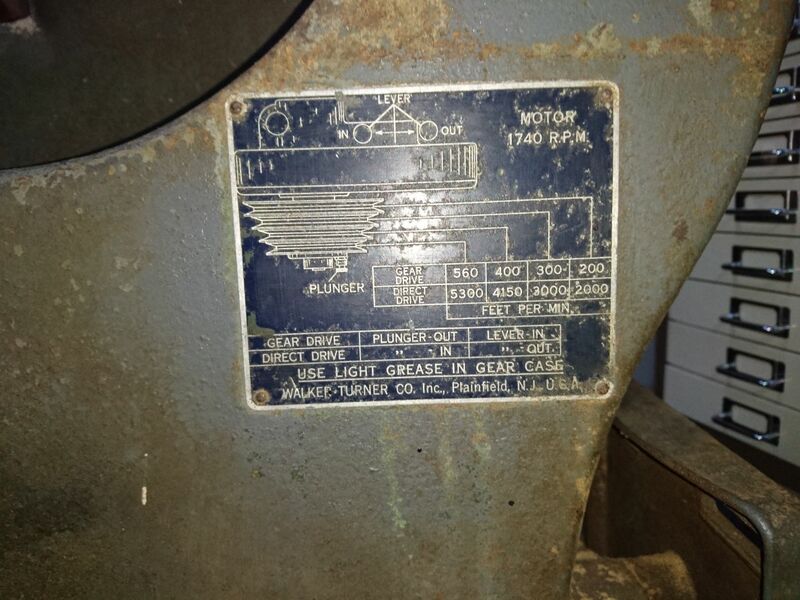 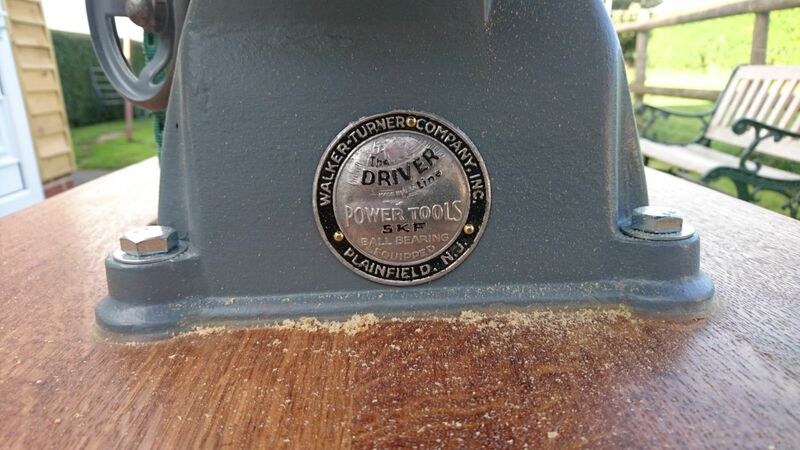 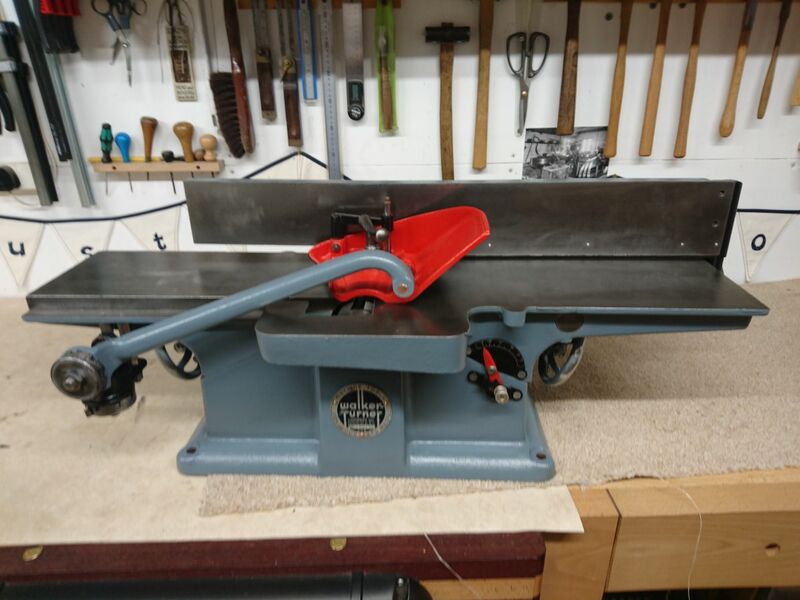 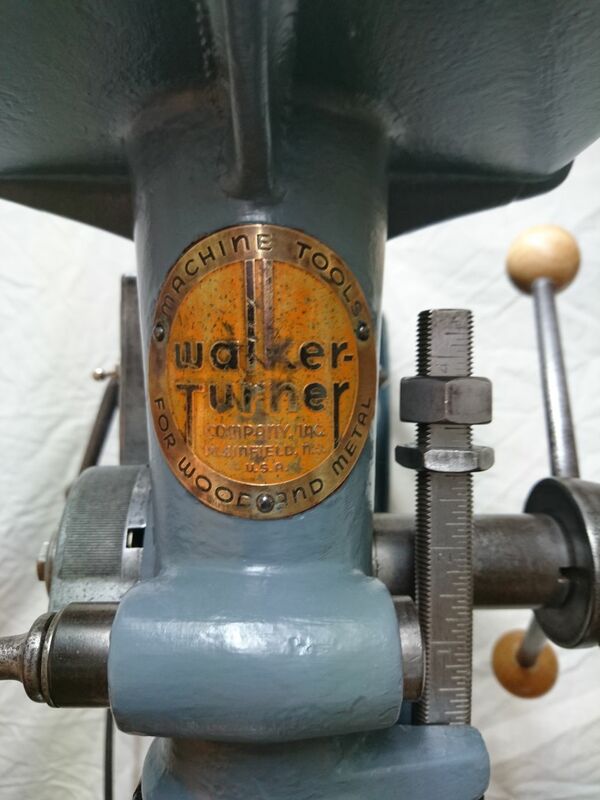 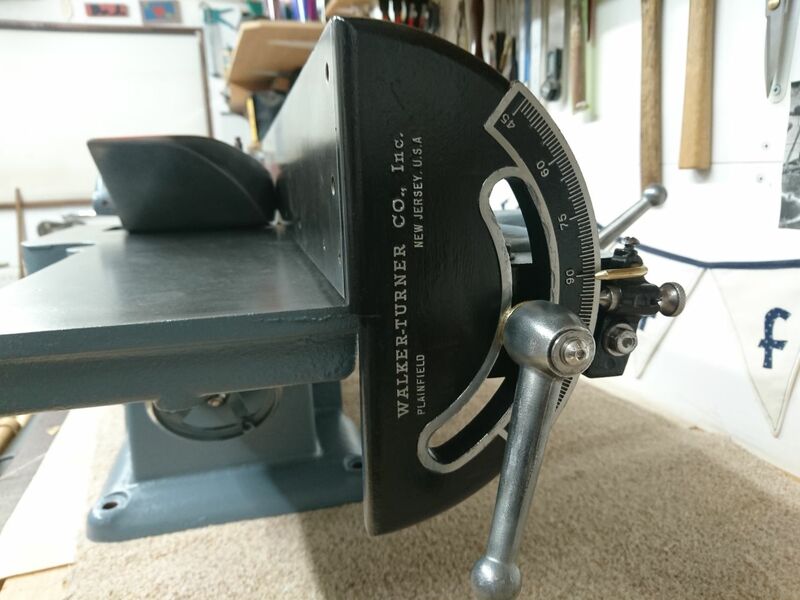 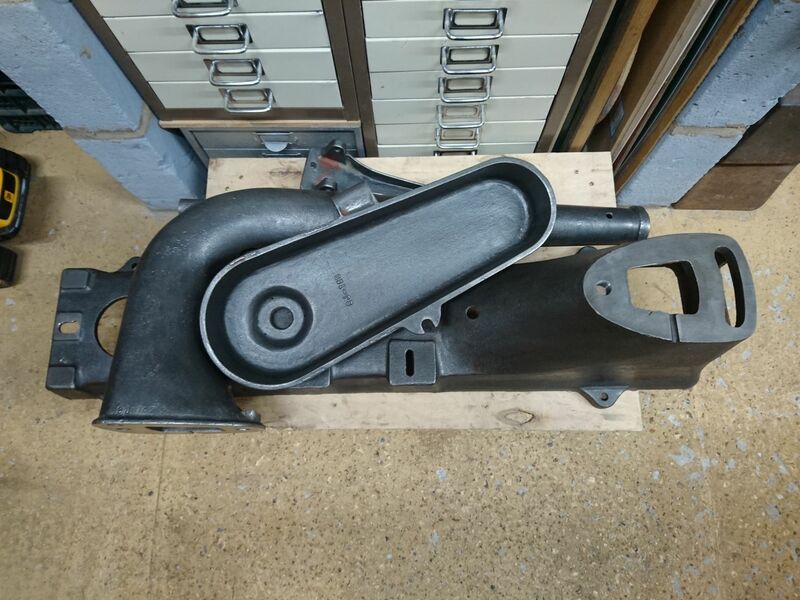 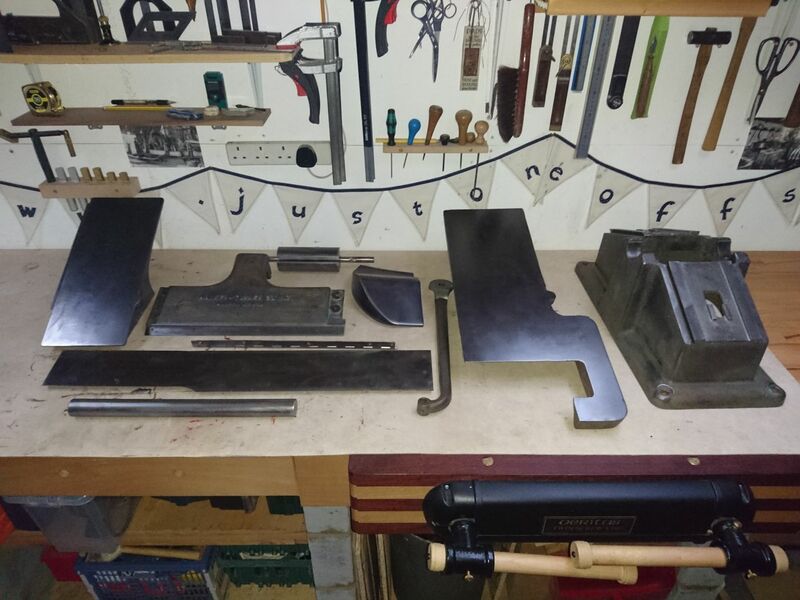 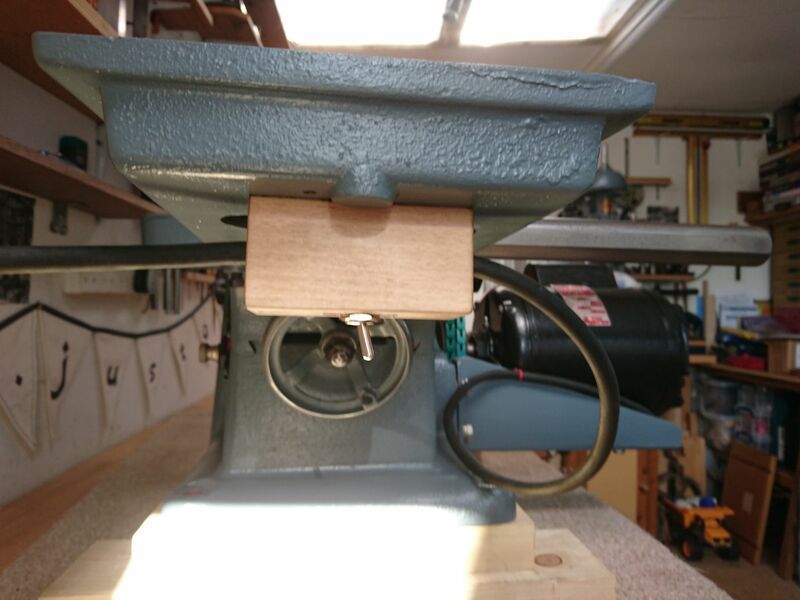 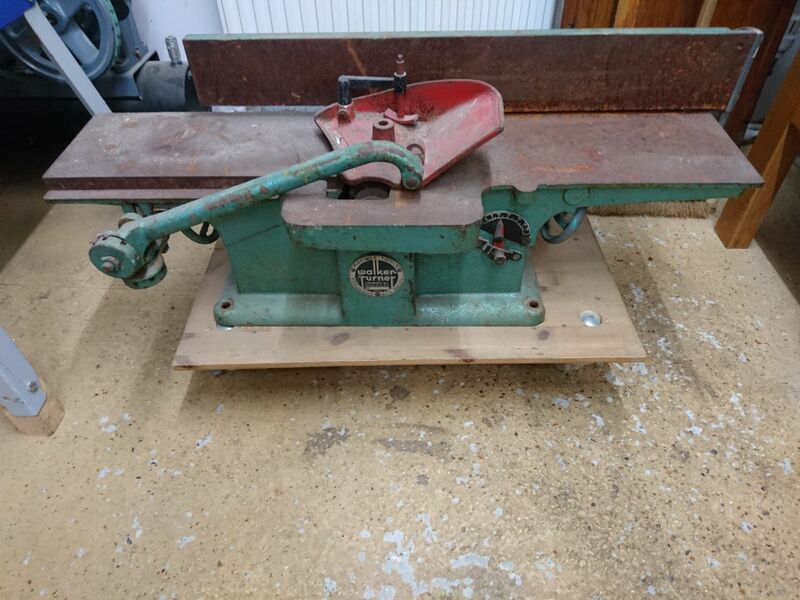 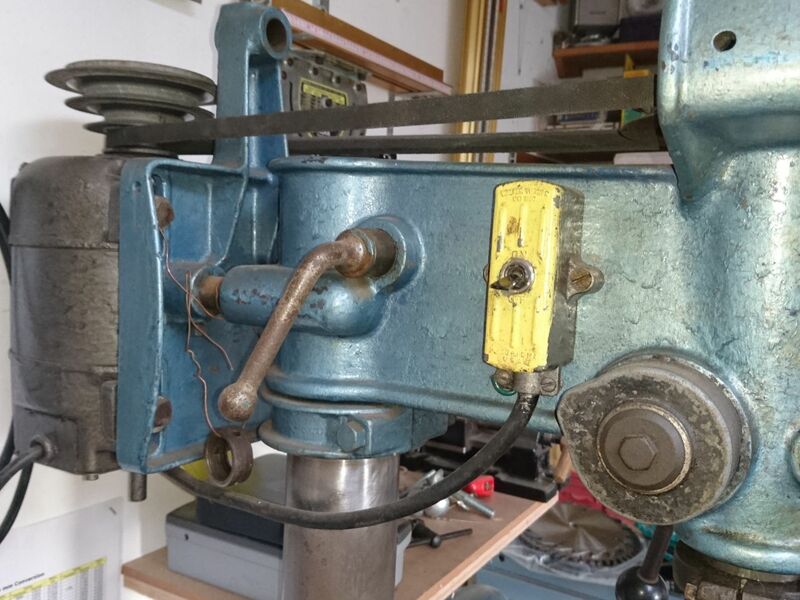 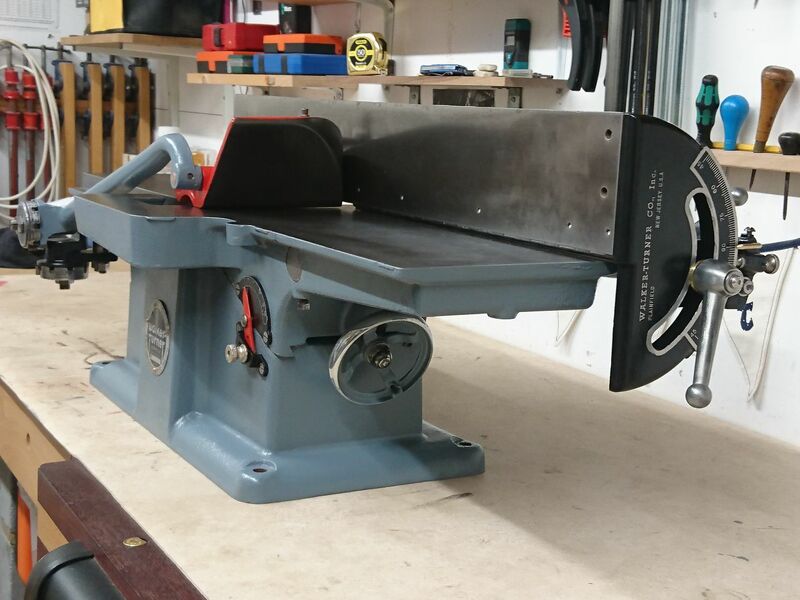 Walker Turner P906 6" jointer 1940 on WT stand. 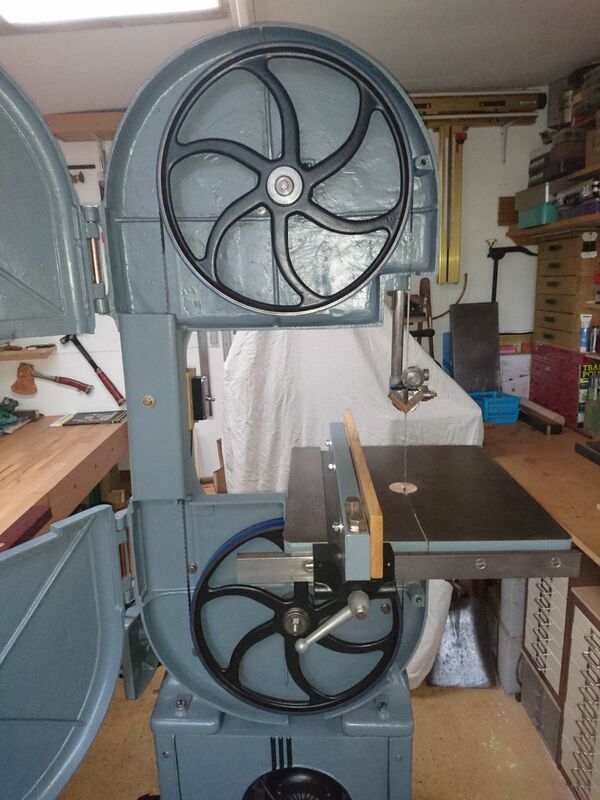 It is all very well that a machine looks pretty but can it still do the job it was designed for? 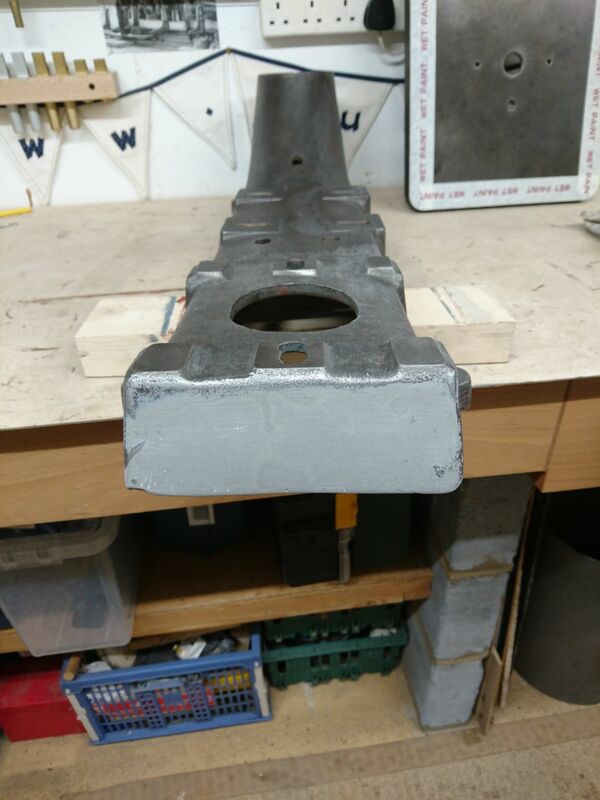 Julian demonstrates that yes, it can. 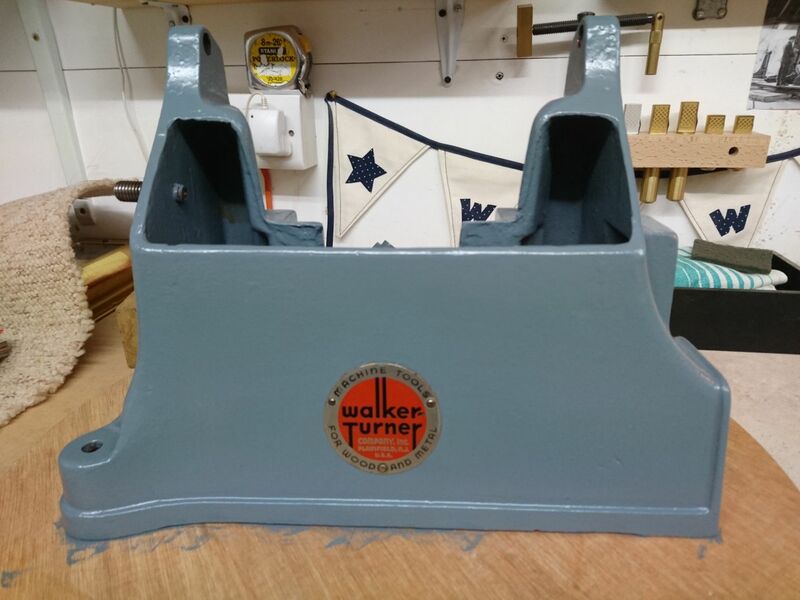 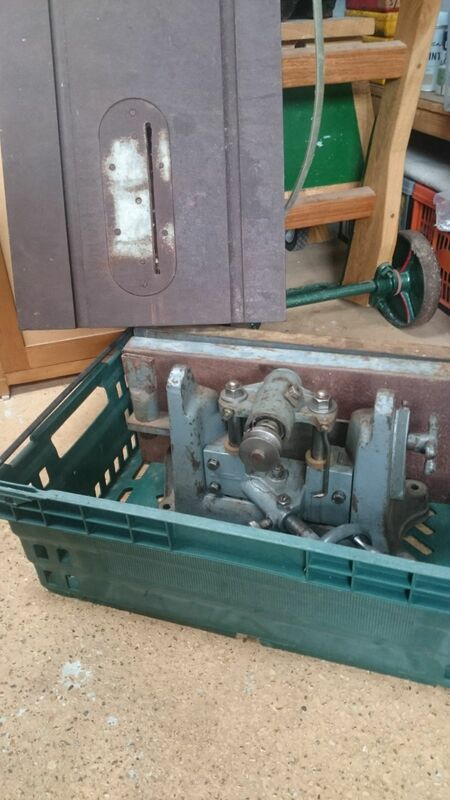 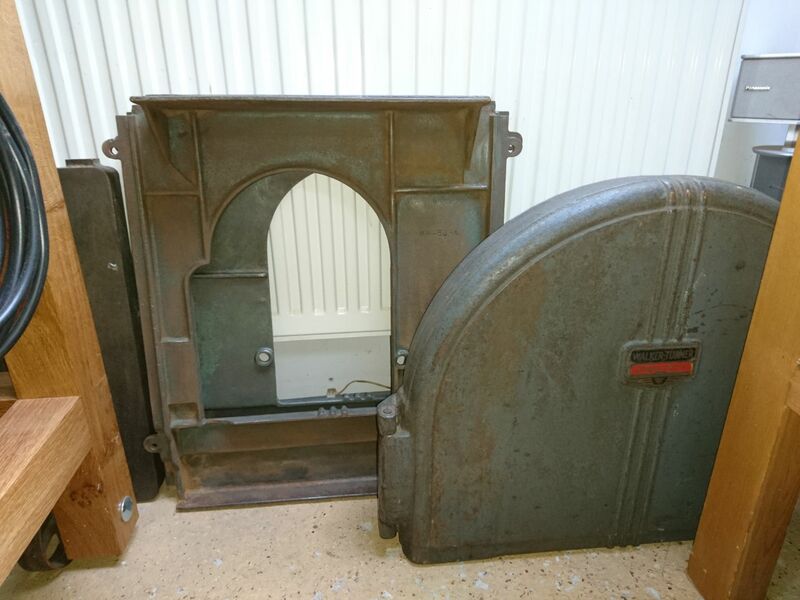 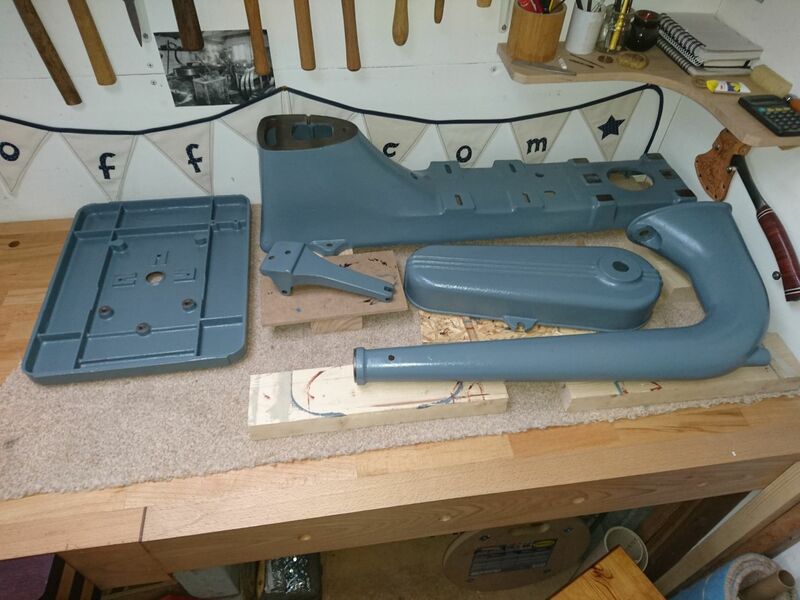 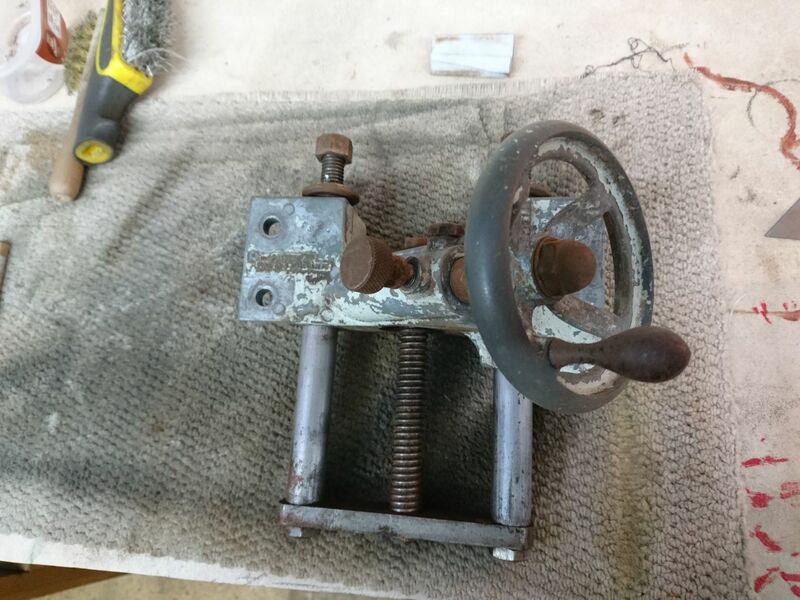 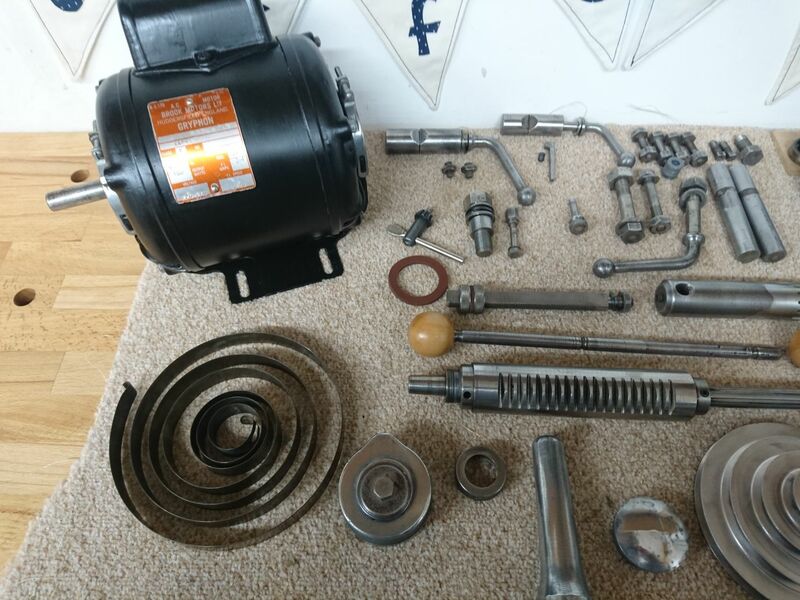 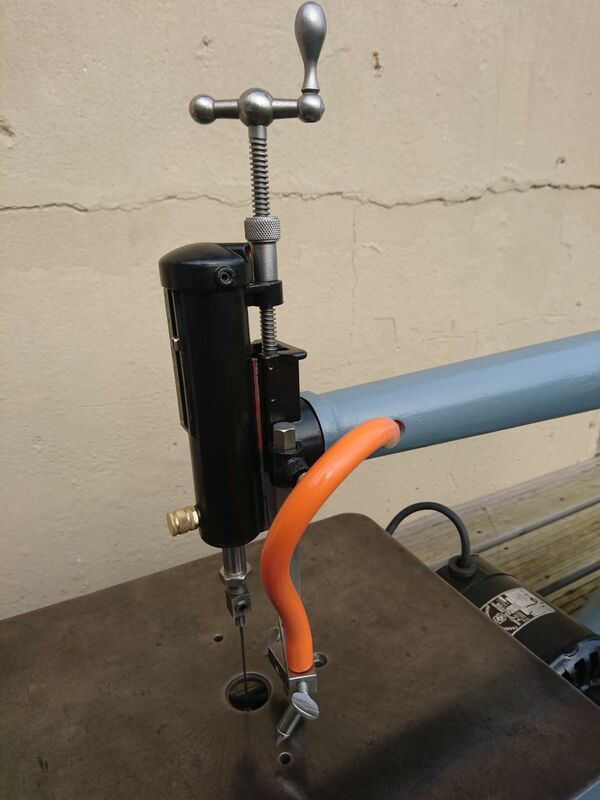 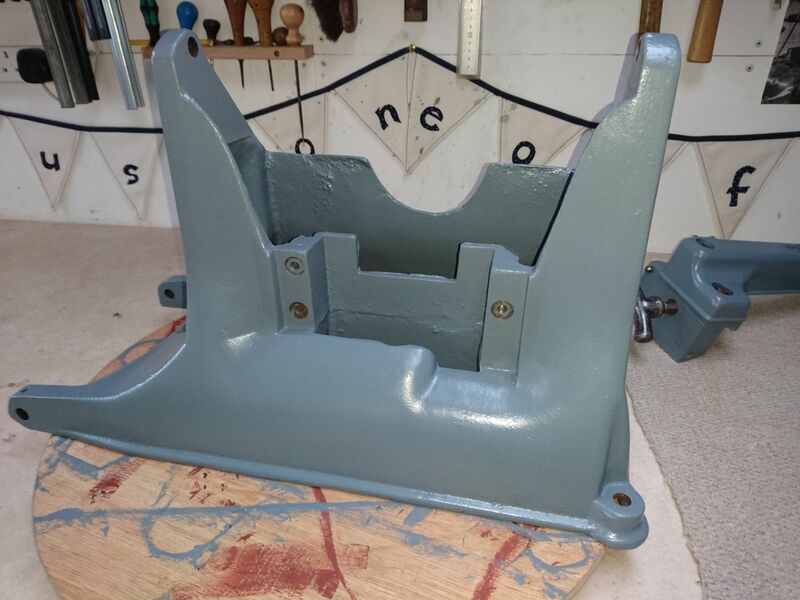 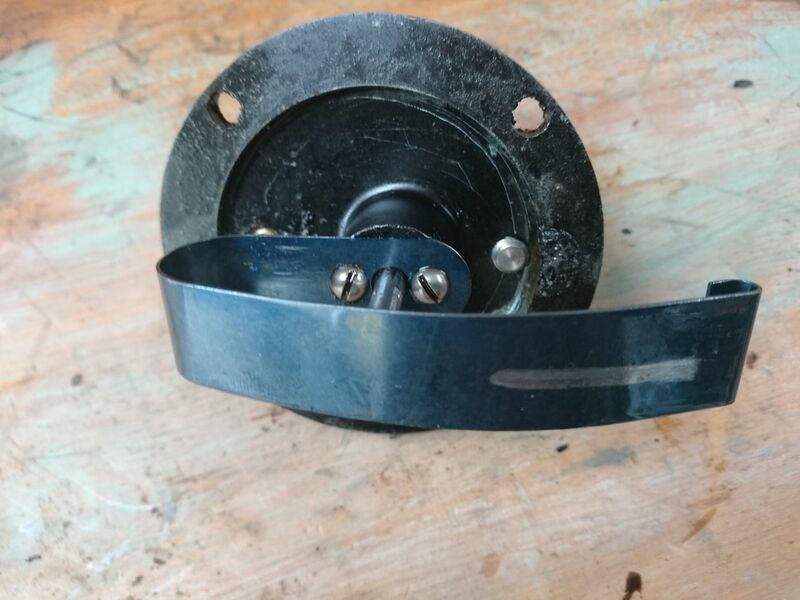 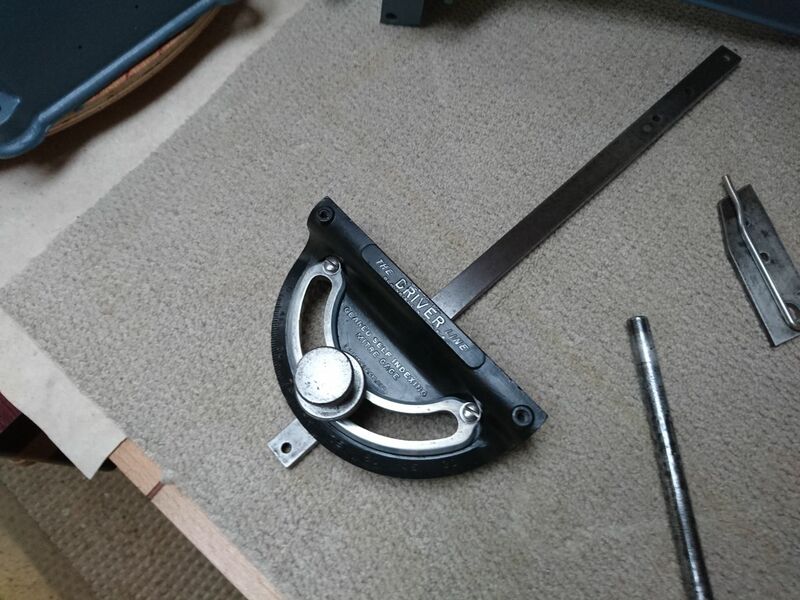 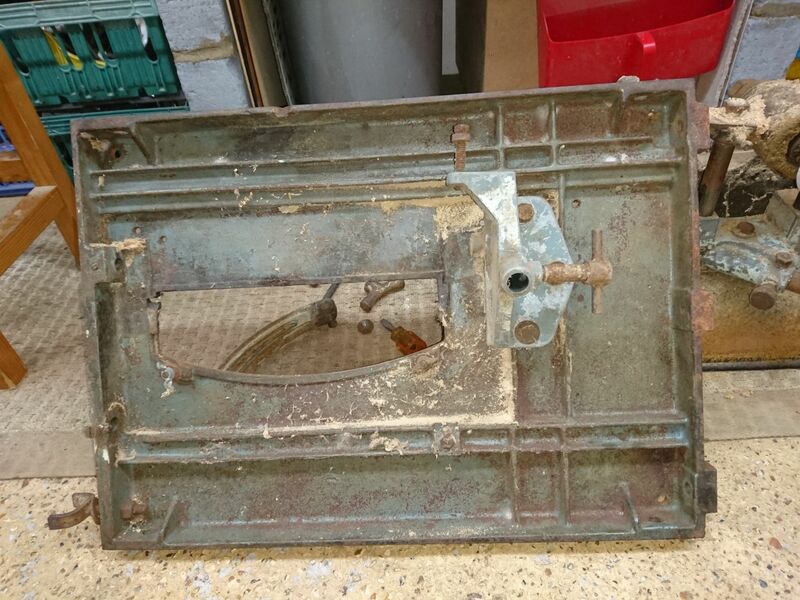 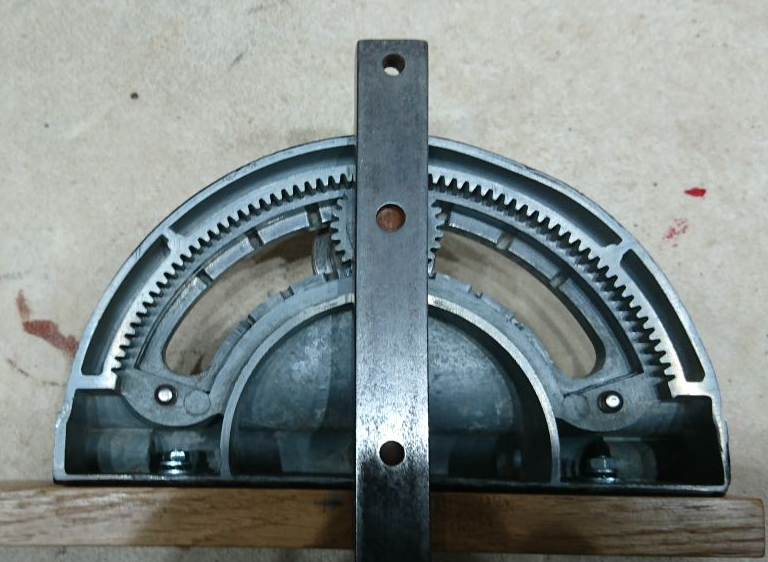 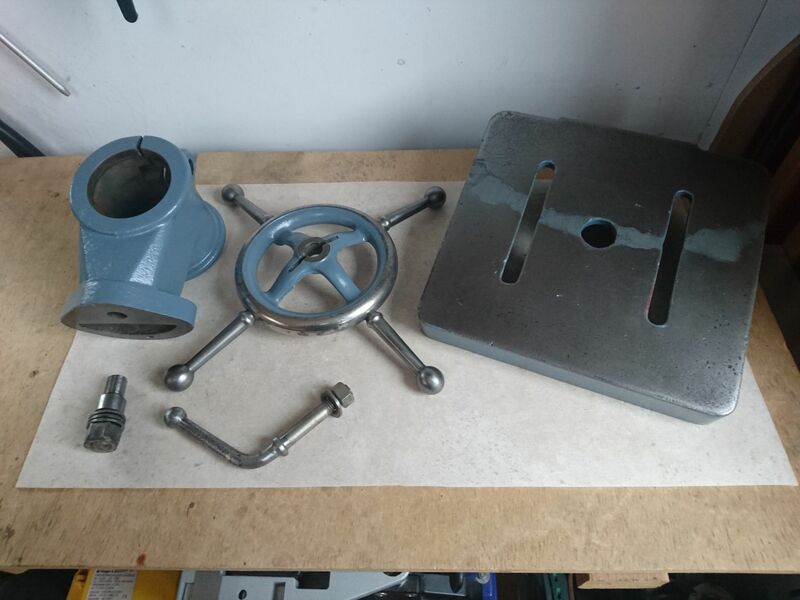 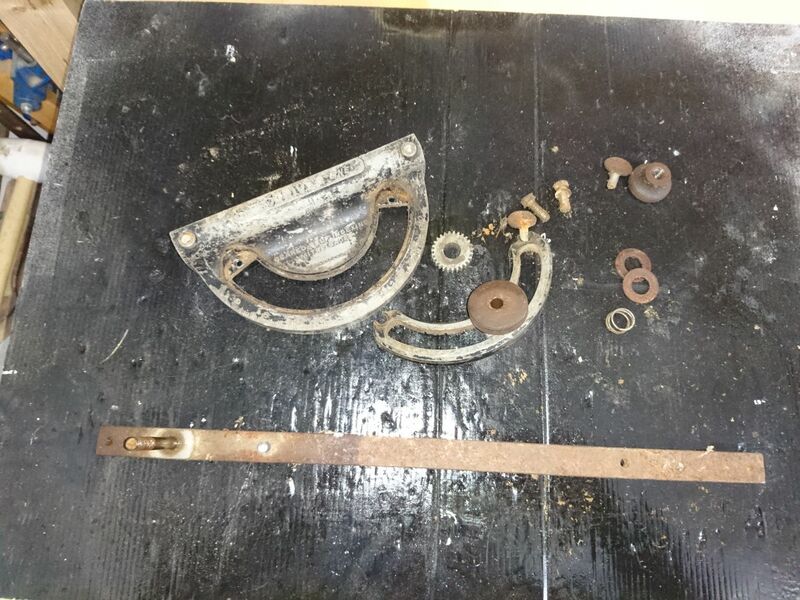 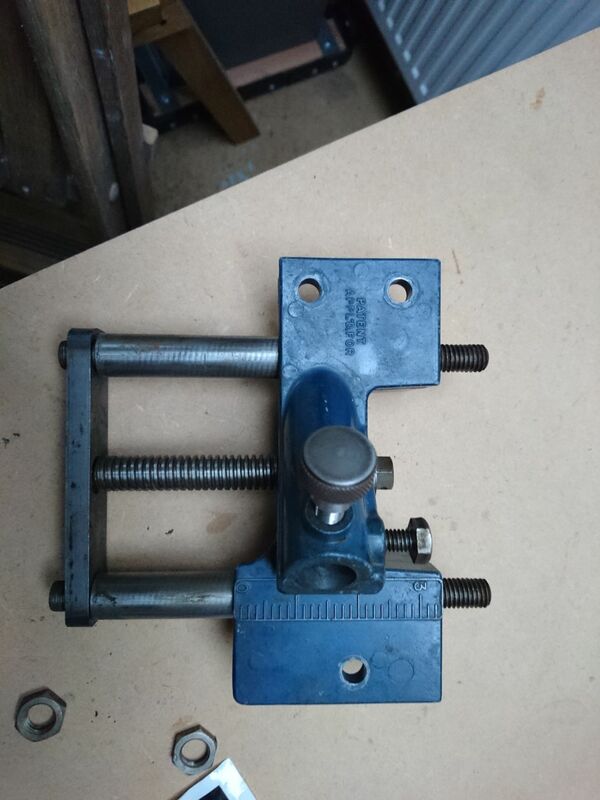 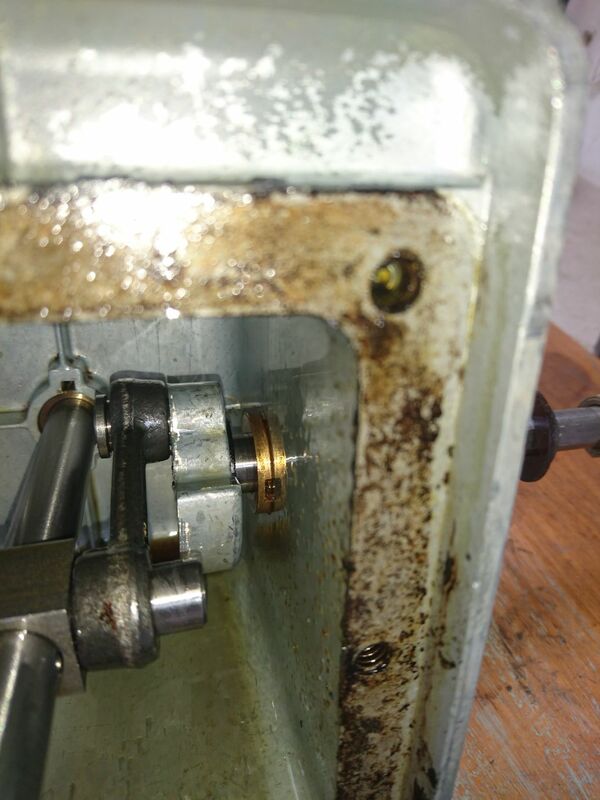 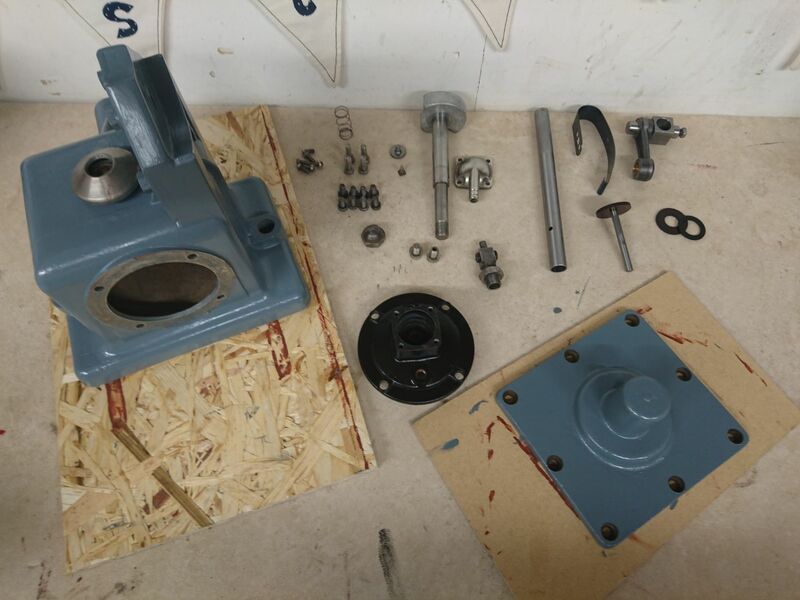 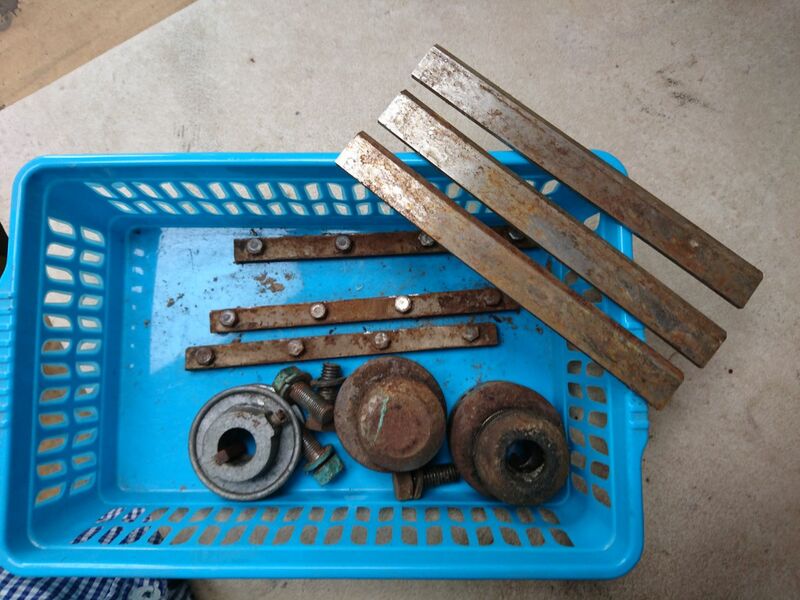 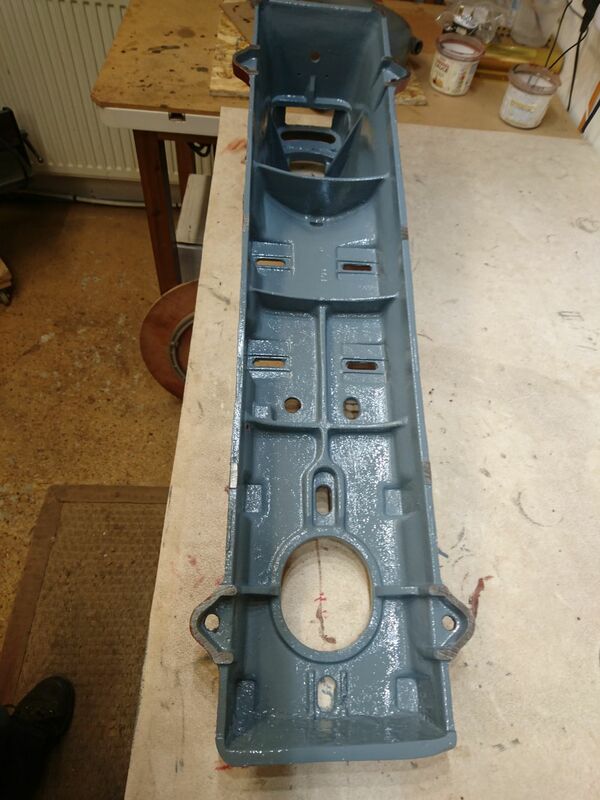 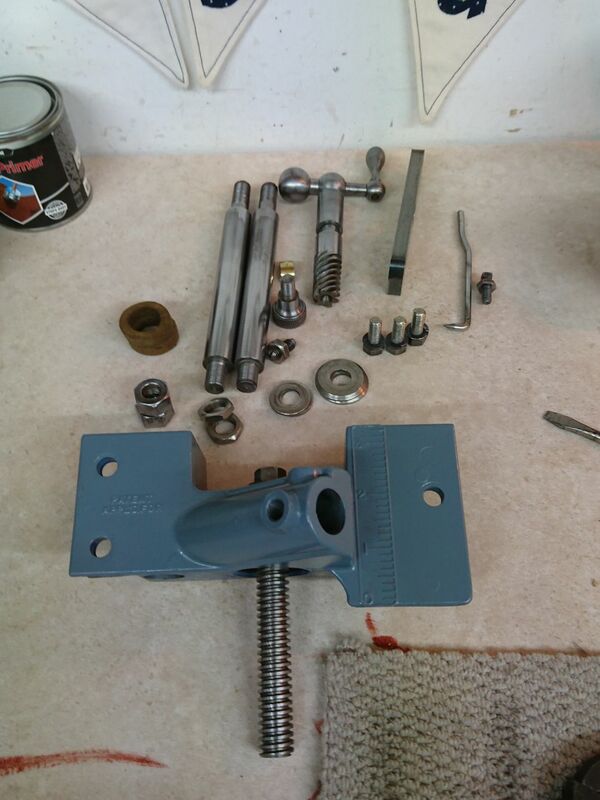 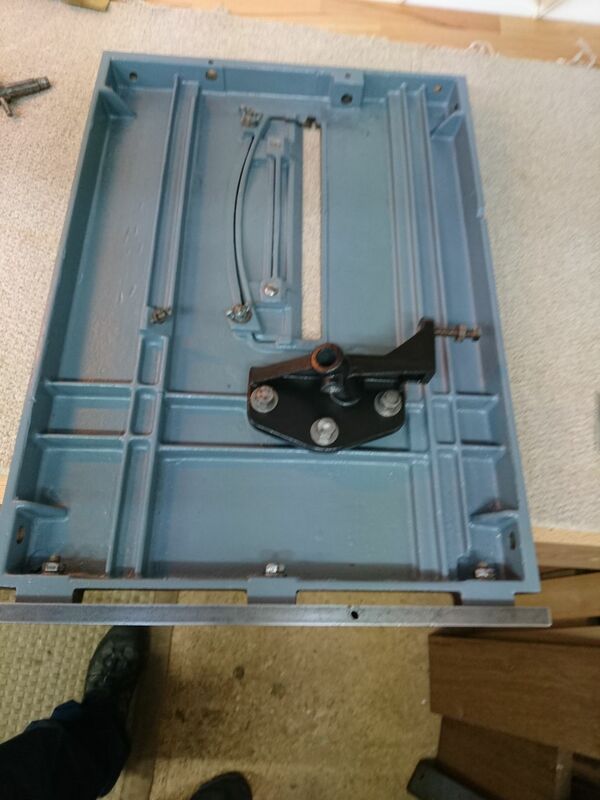 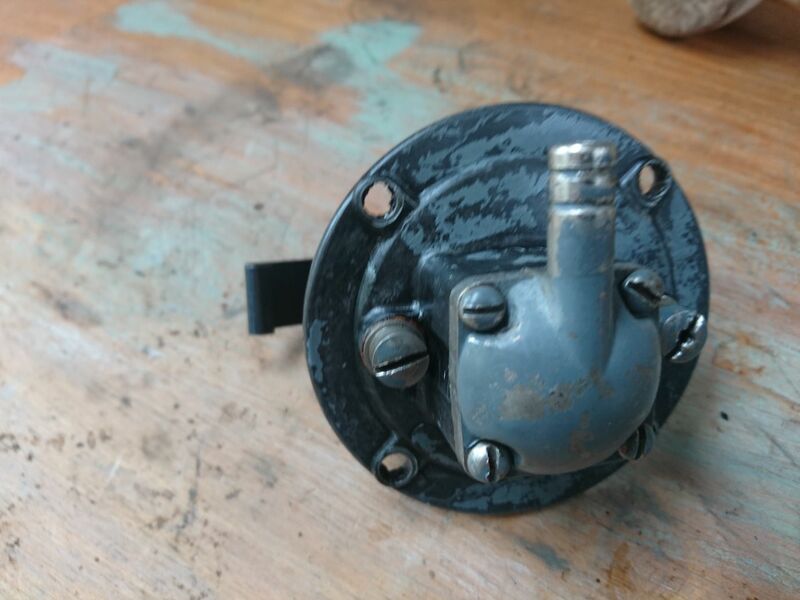 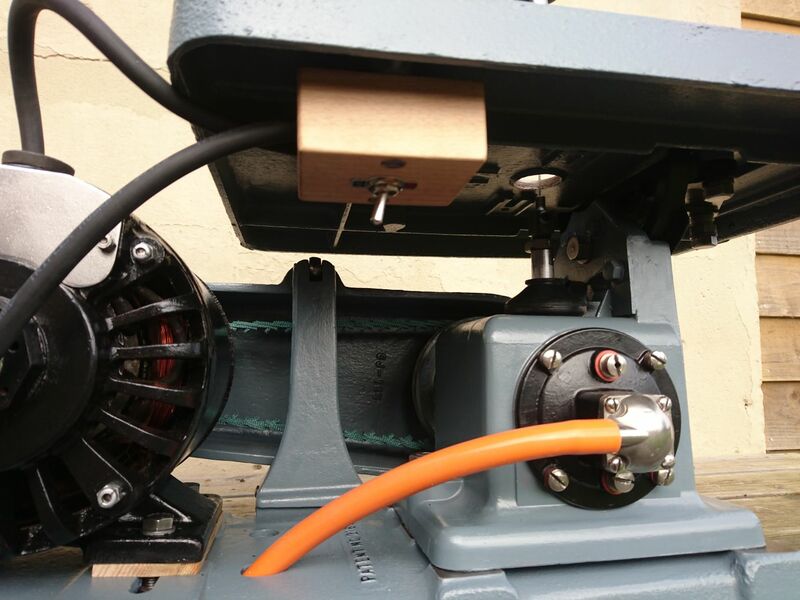 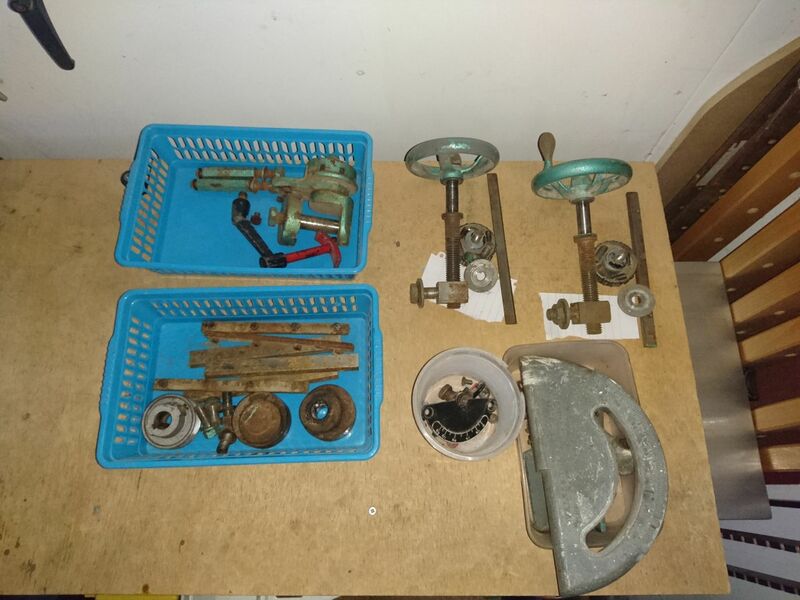 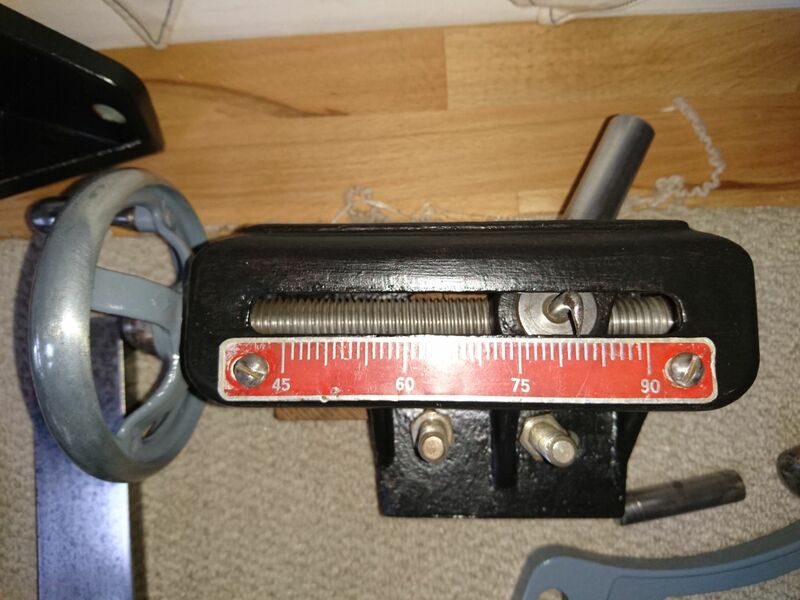 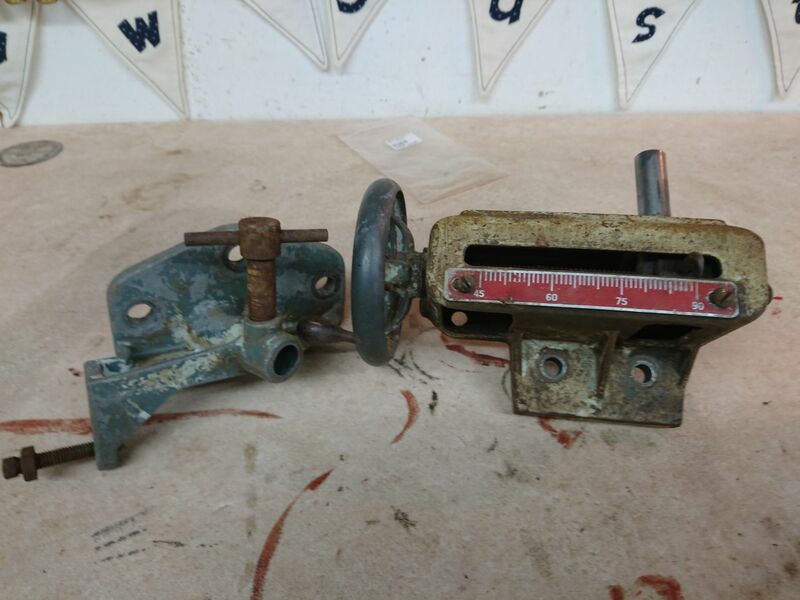 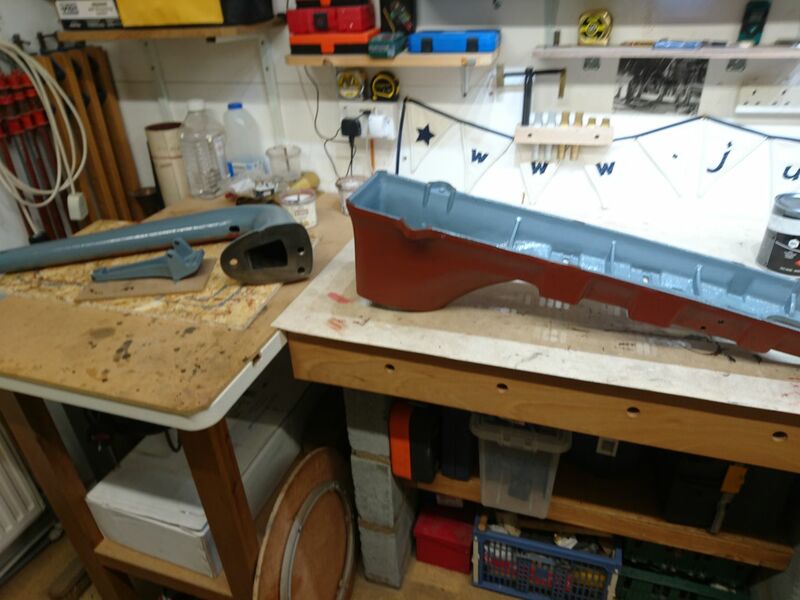 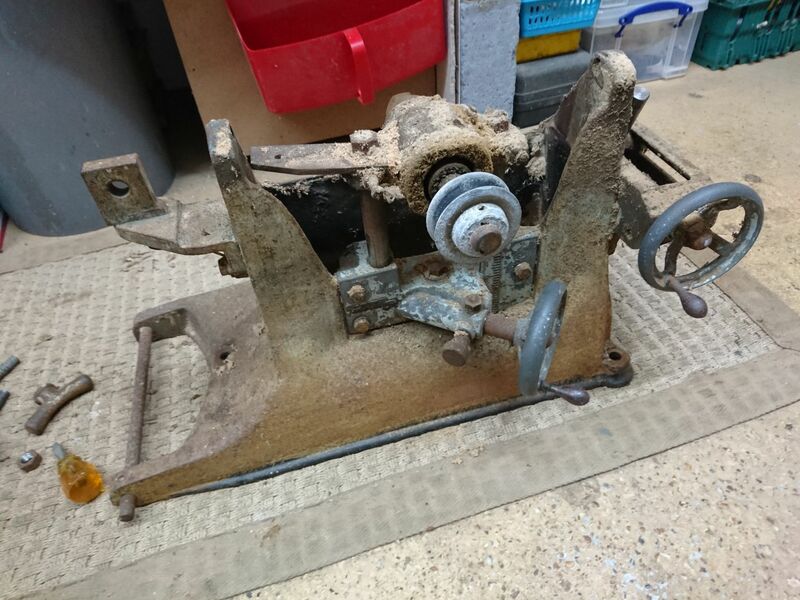 Soon after the above video was posted Julian located a genuine Walker Turner machine base that was being sold by a WT bandsaw owner who decided it was surplus to requirements. 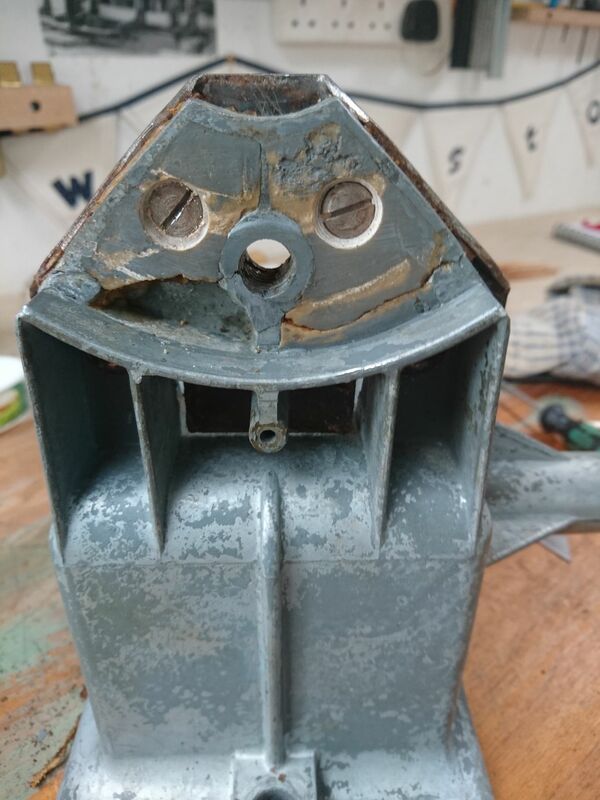 Yes, honestly. 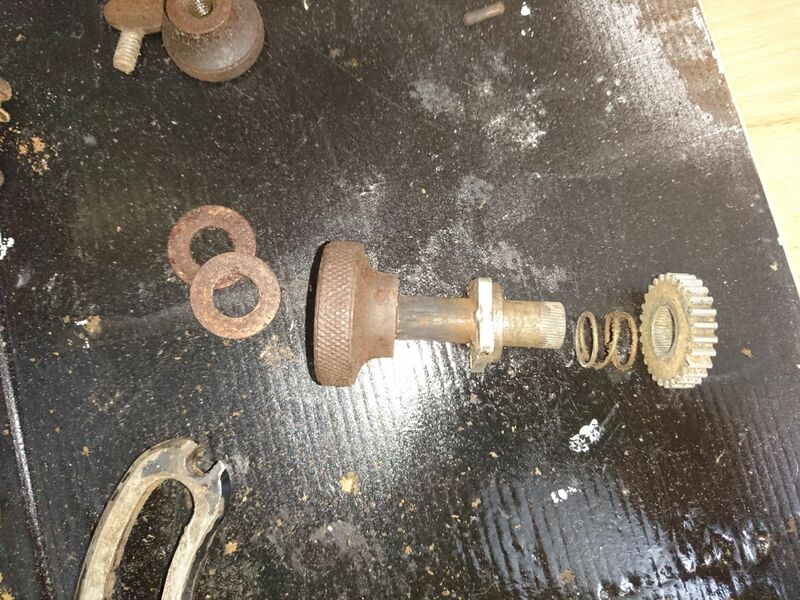 It was located within twenty miles of me so Julian asked if I could pick it up and post it to him. 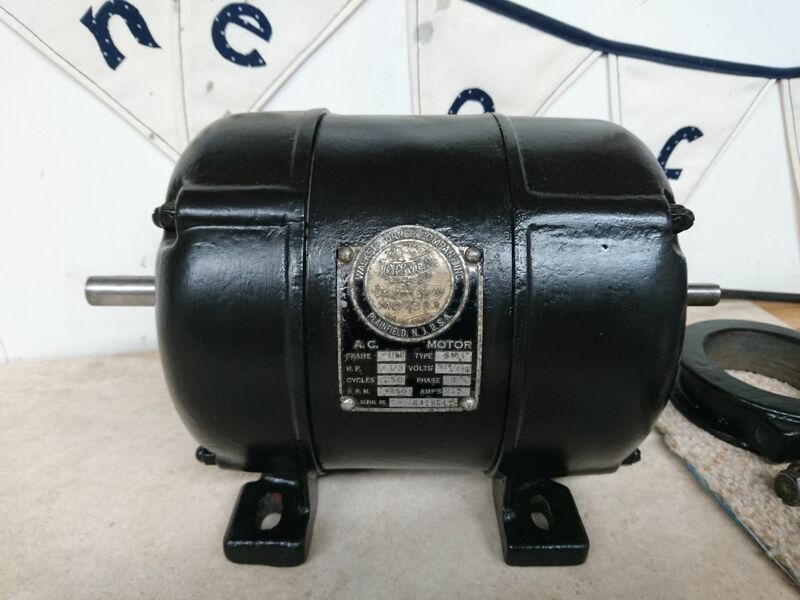 Weighing in at just over 20 kg (about 55 lbs in old money) it was surprisingly reasonable to send with TNT who made up for their cost-effectiveness by being surprisingly unreliable. 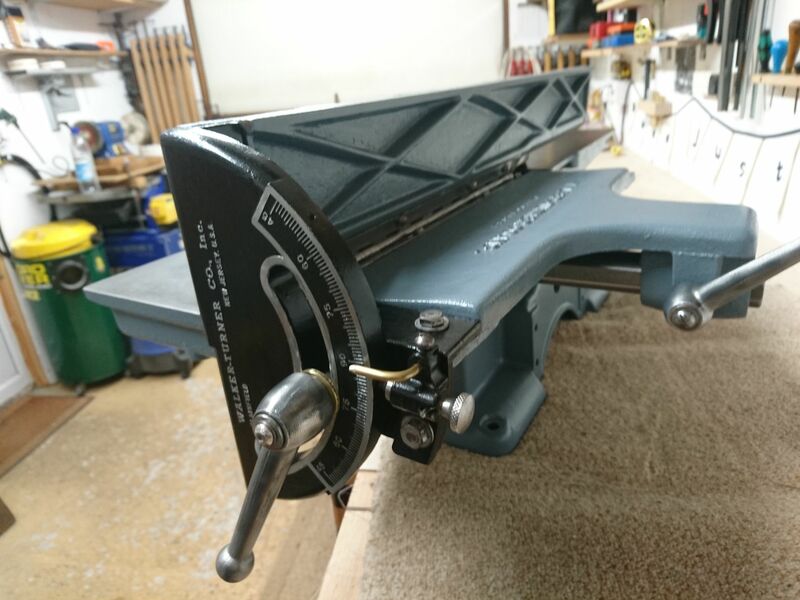 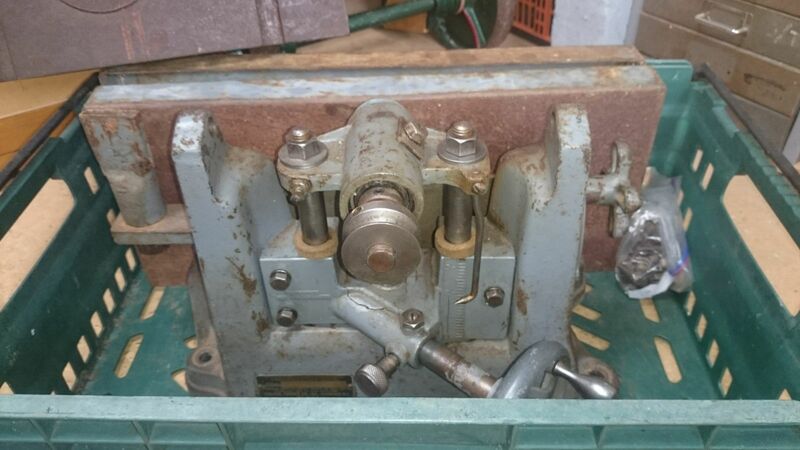 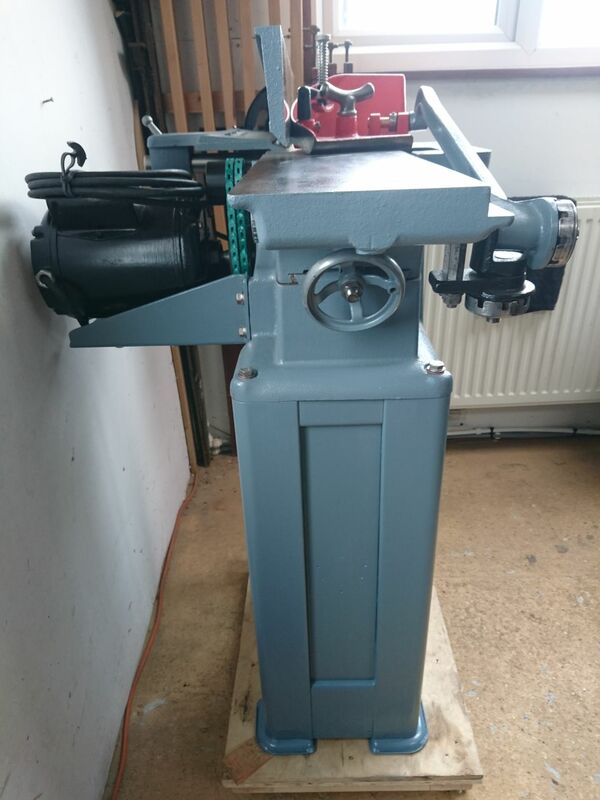 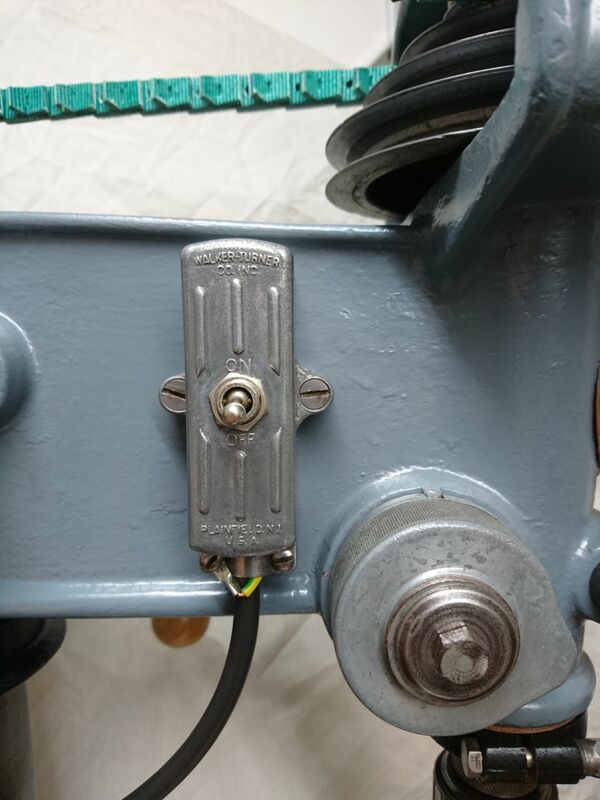 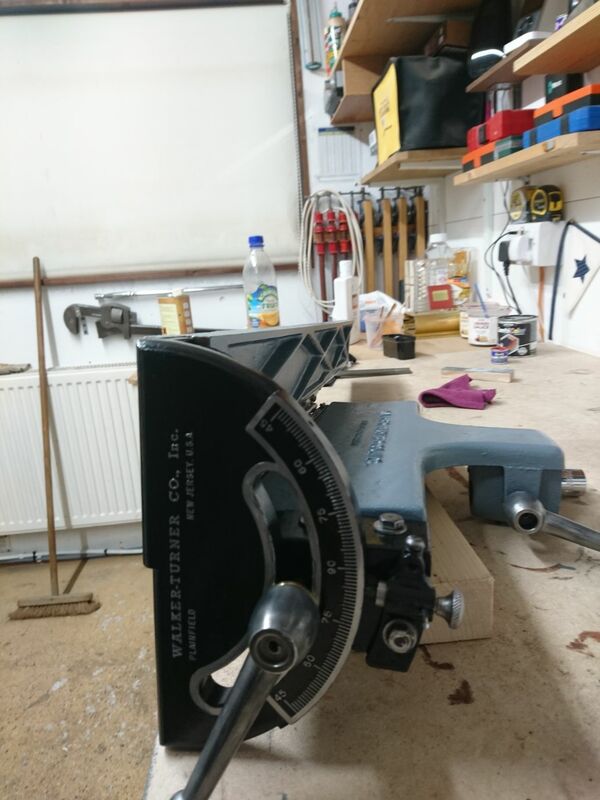 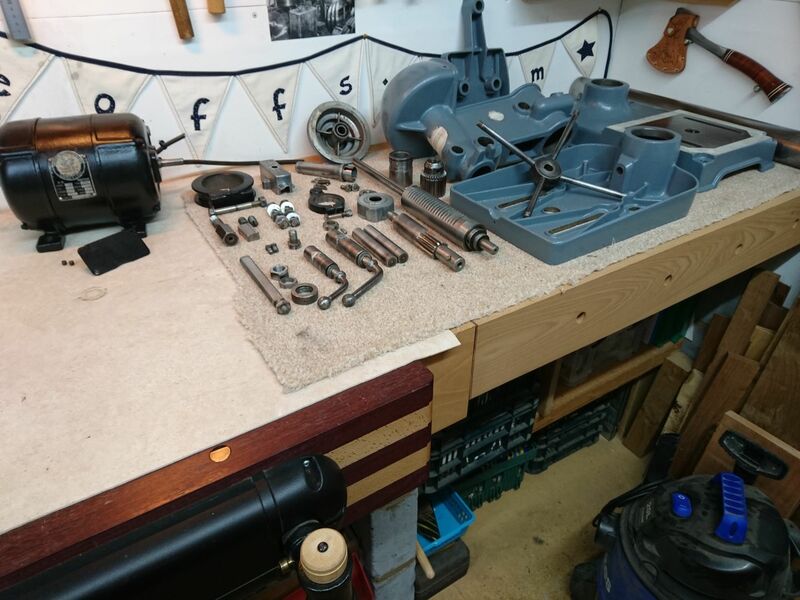 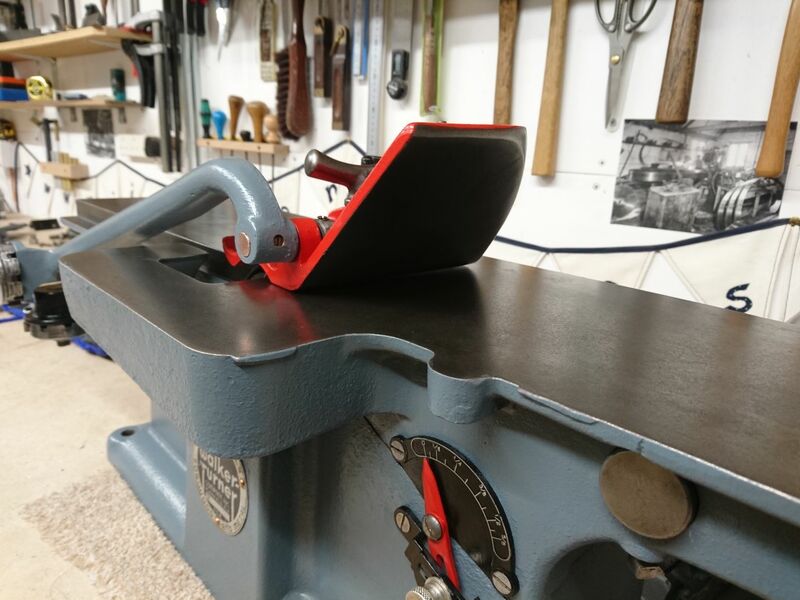 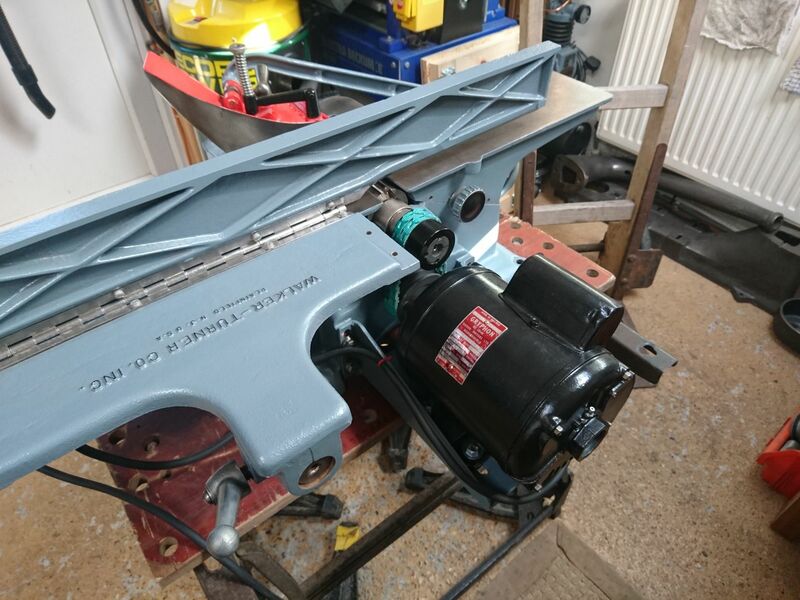 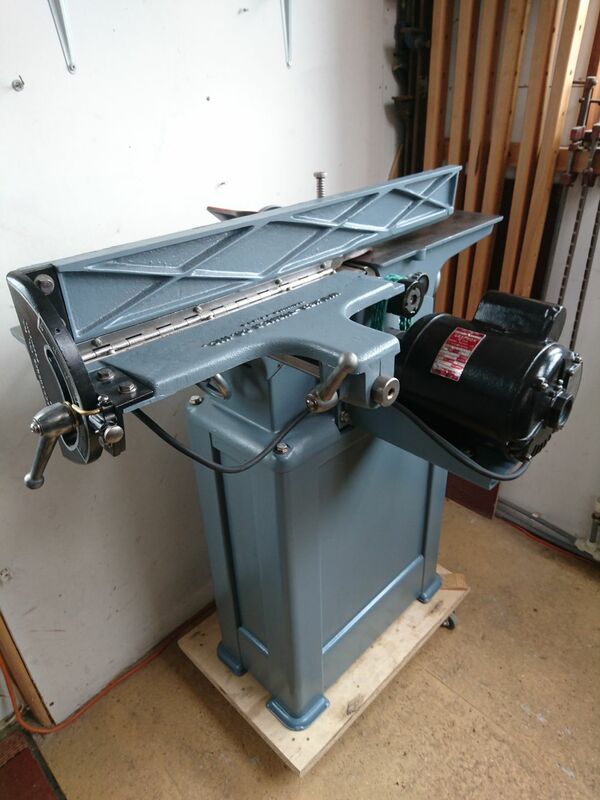 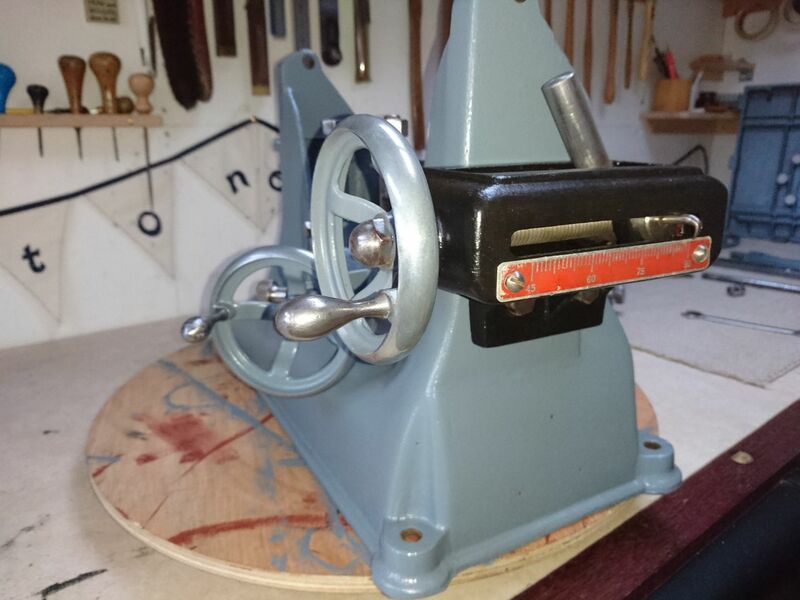 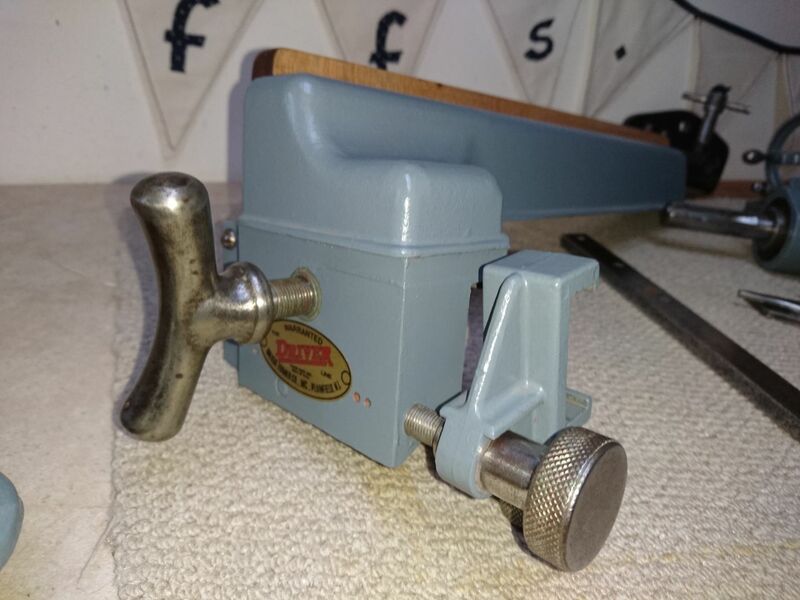 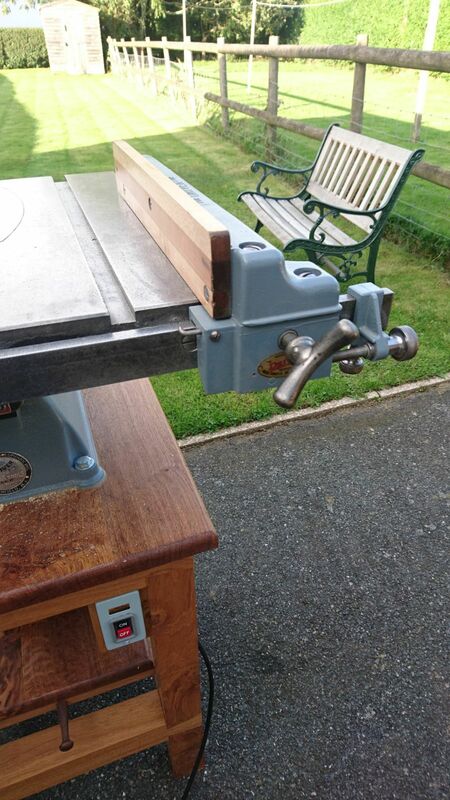 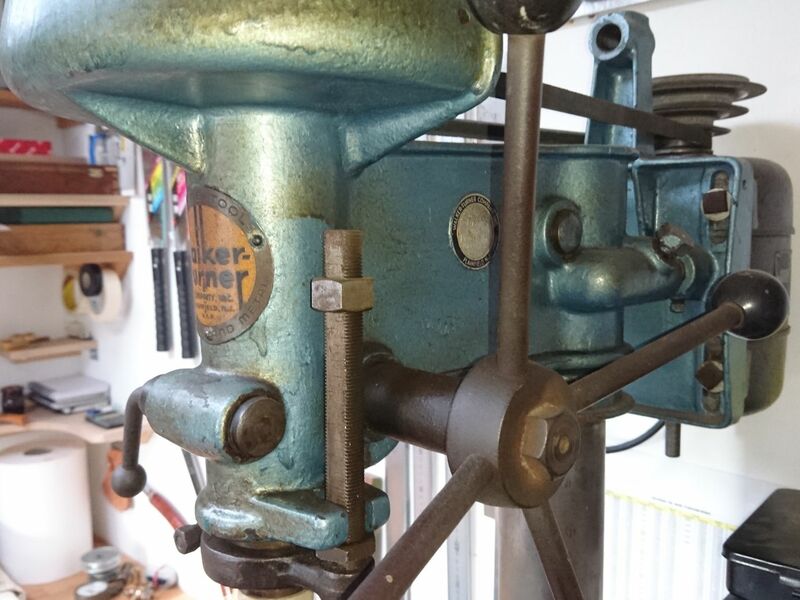 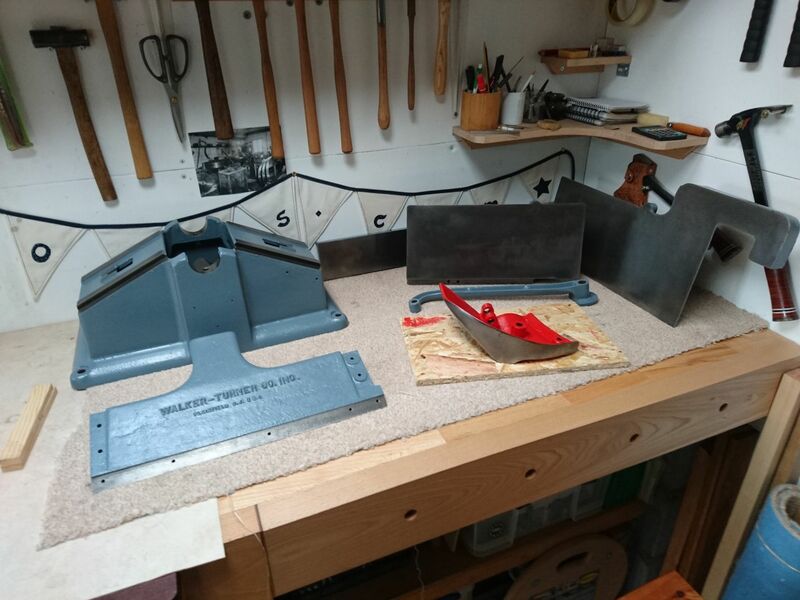 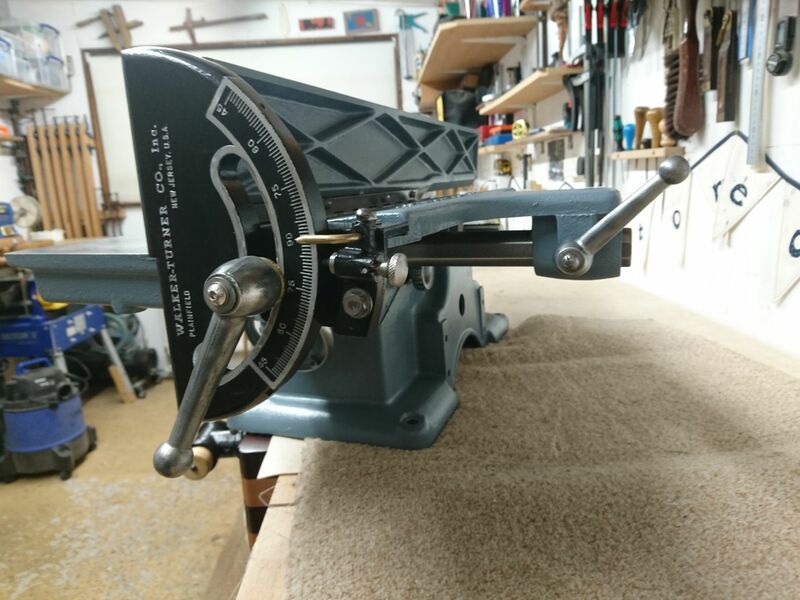 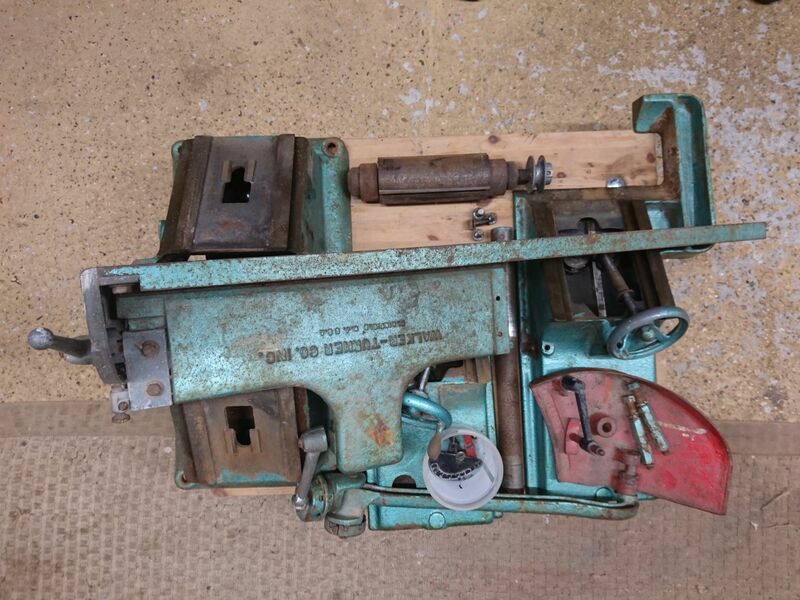 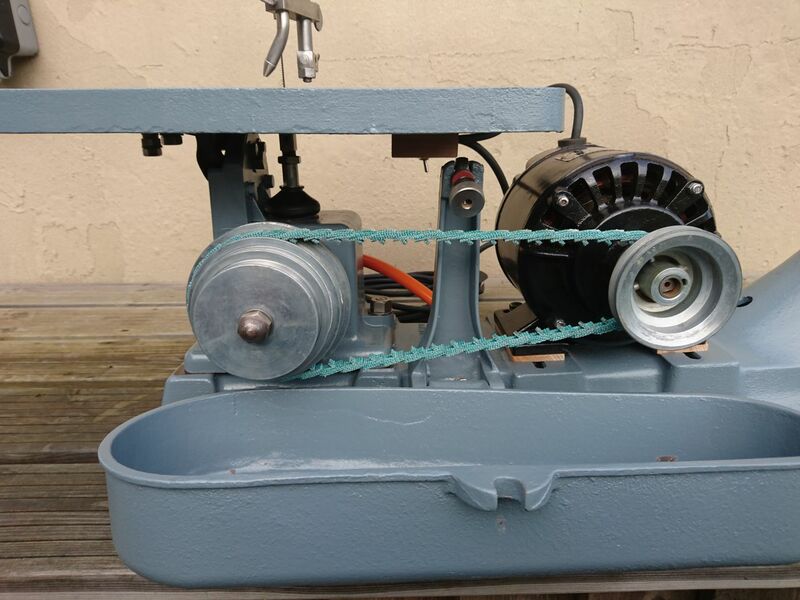 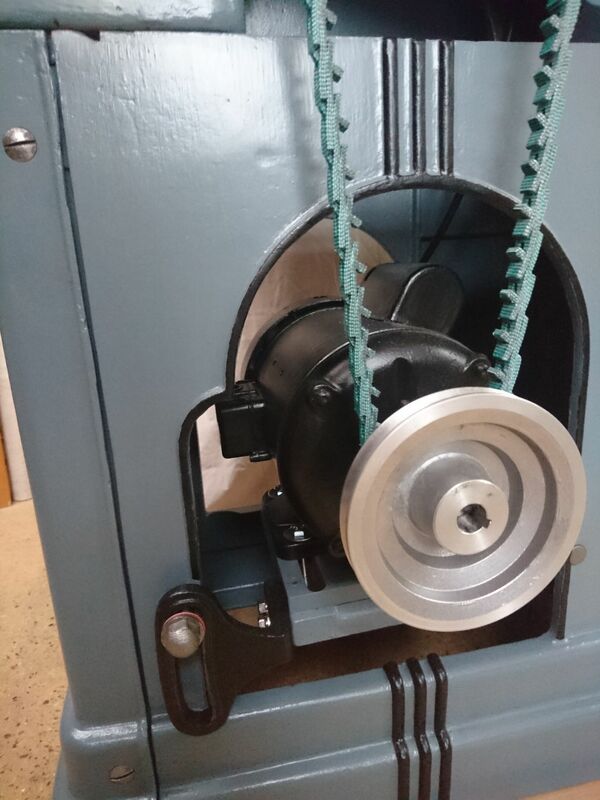 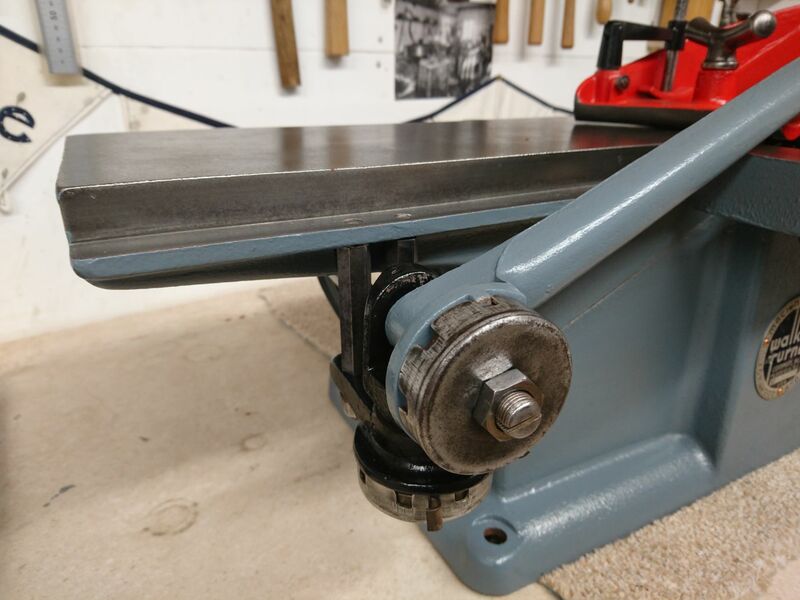 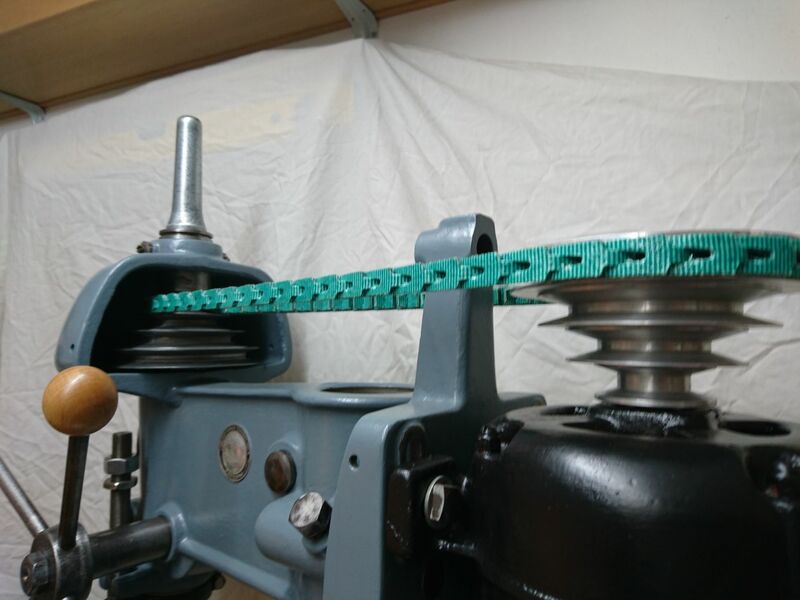 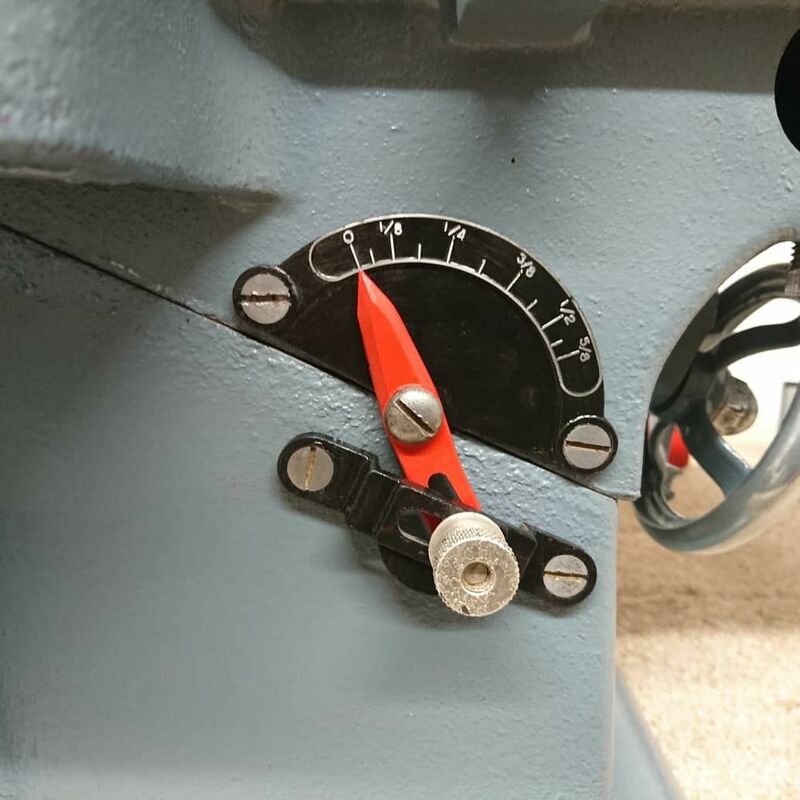 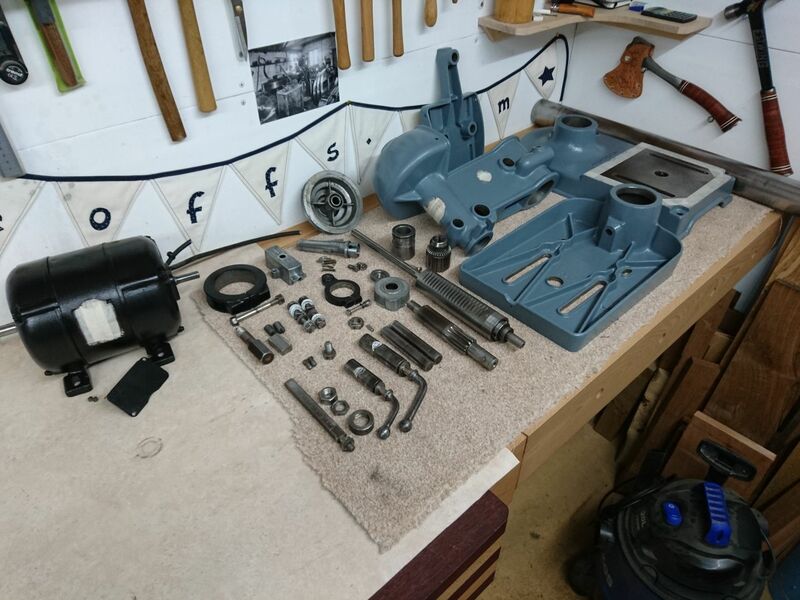 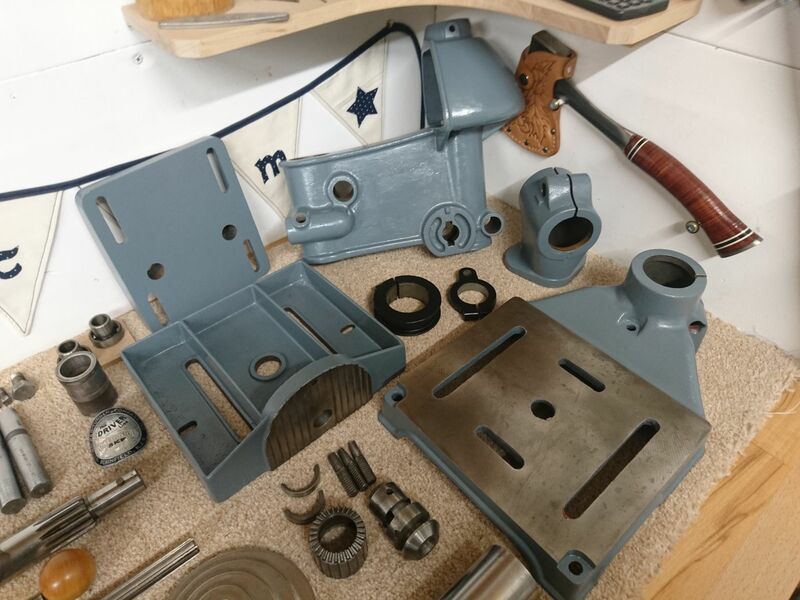 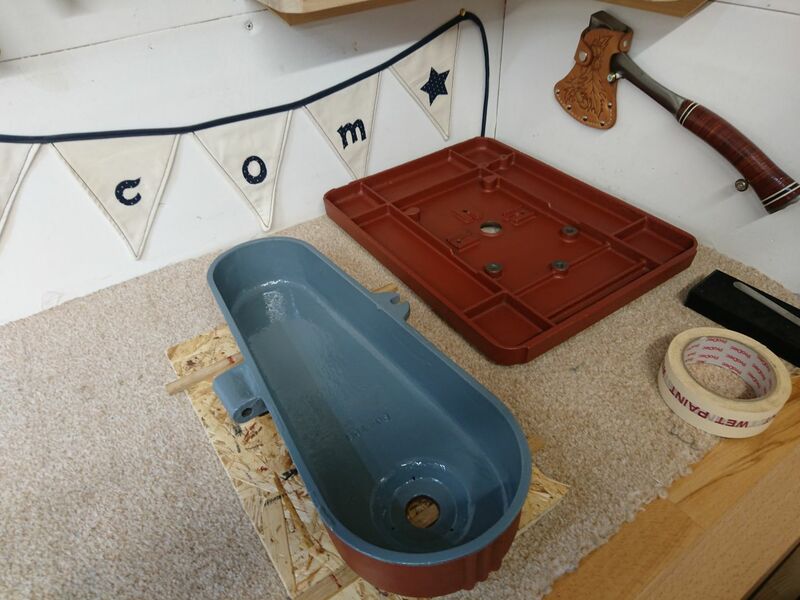 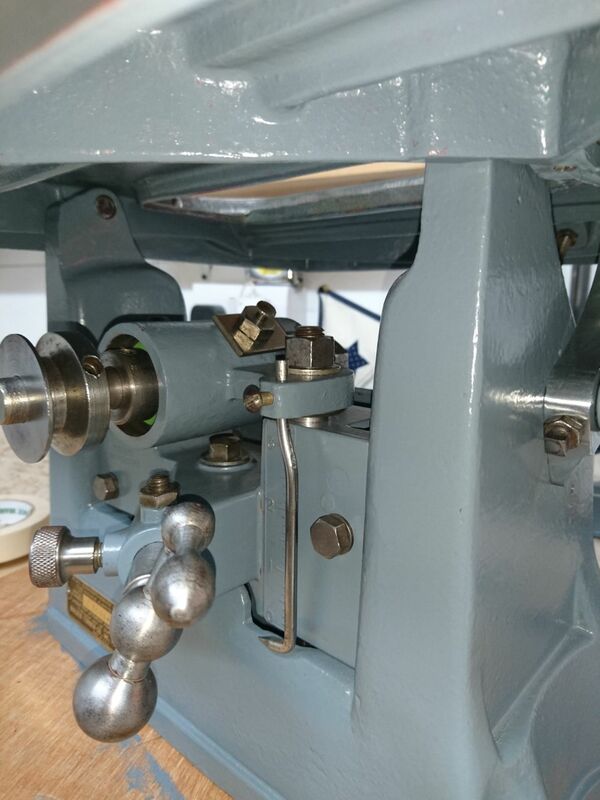 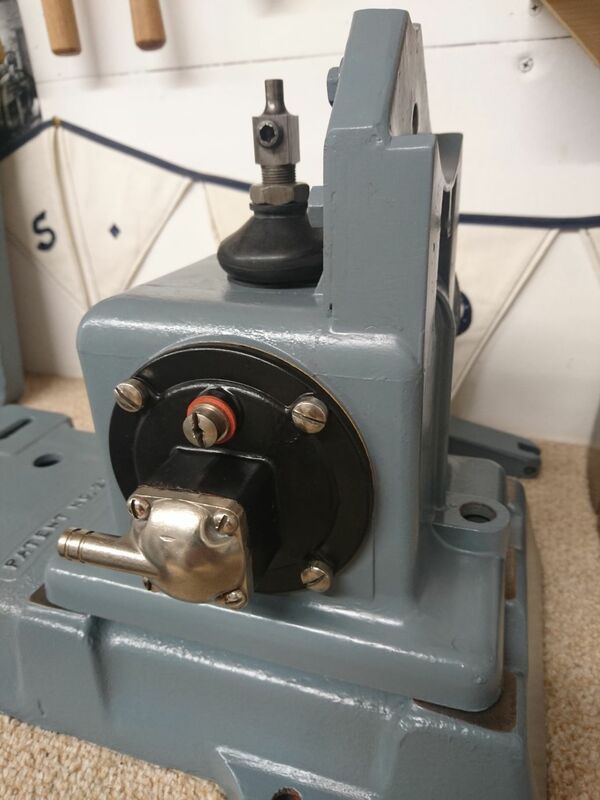 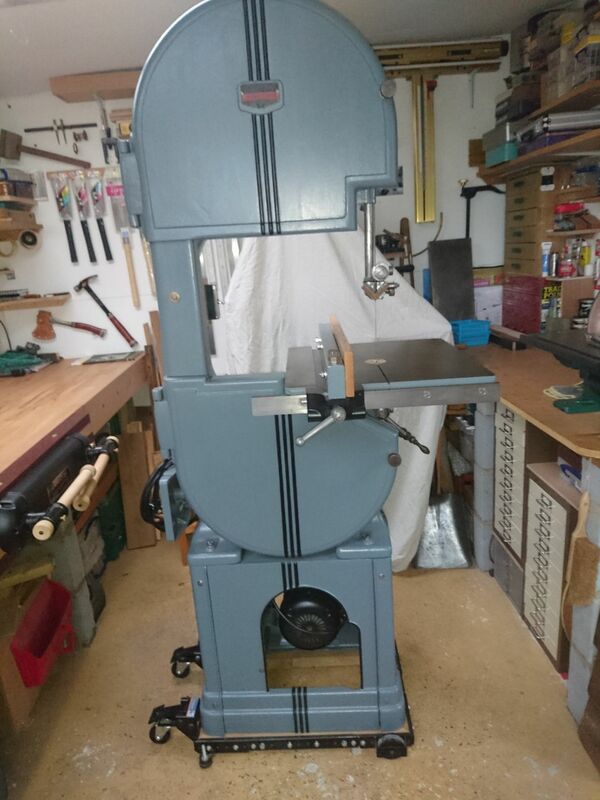 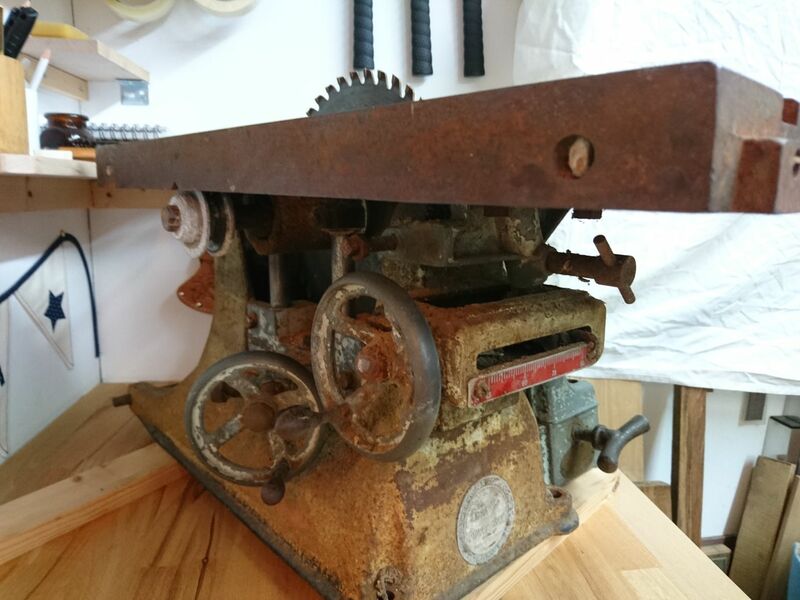 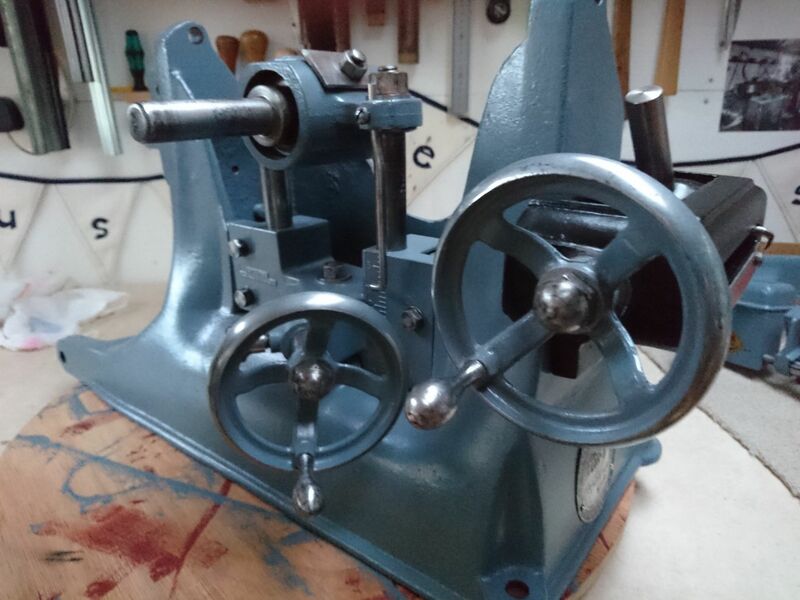 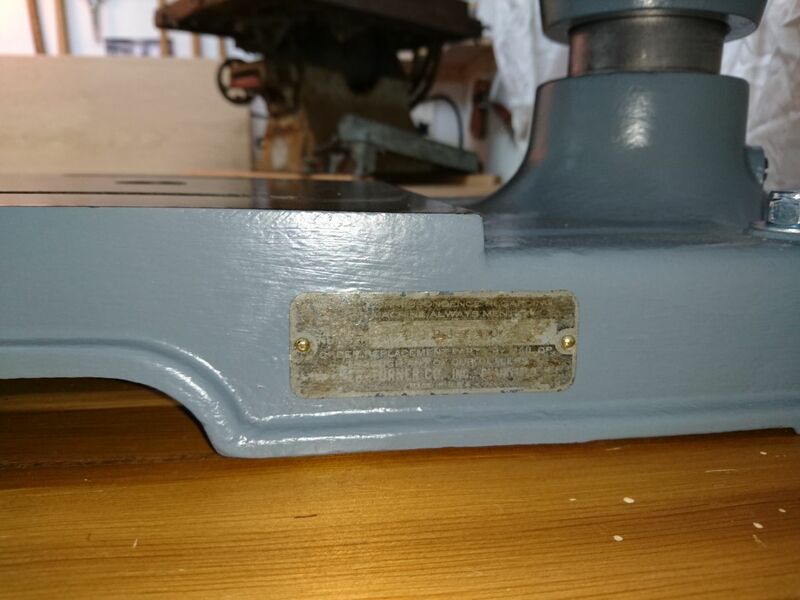 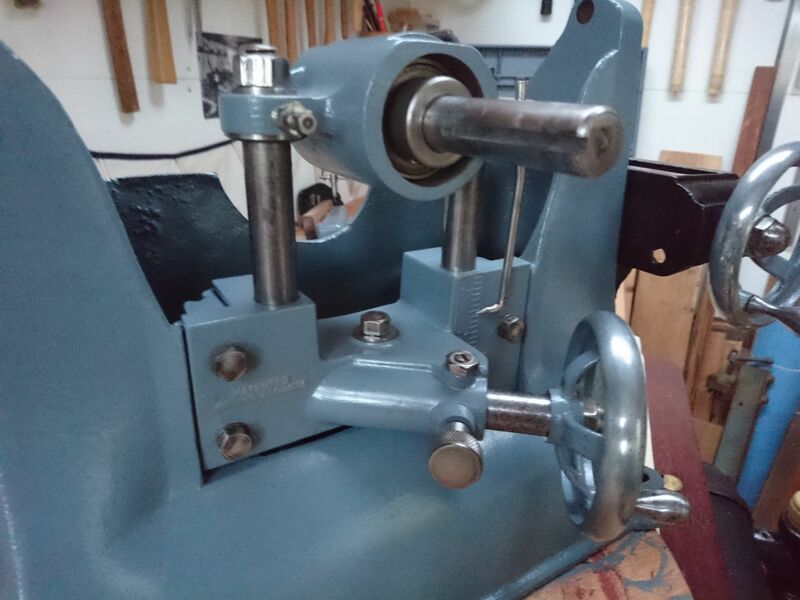 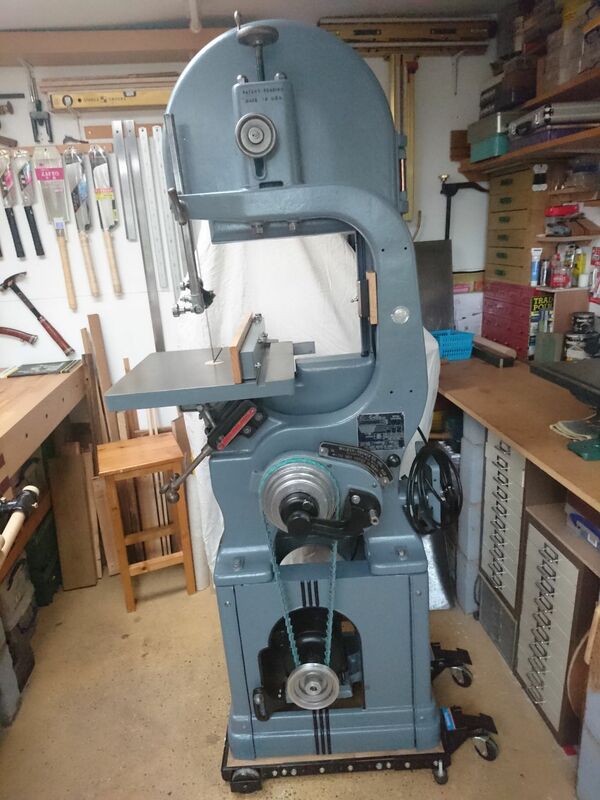 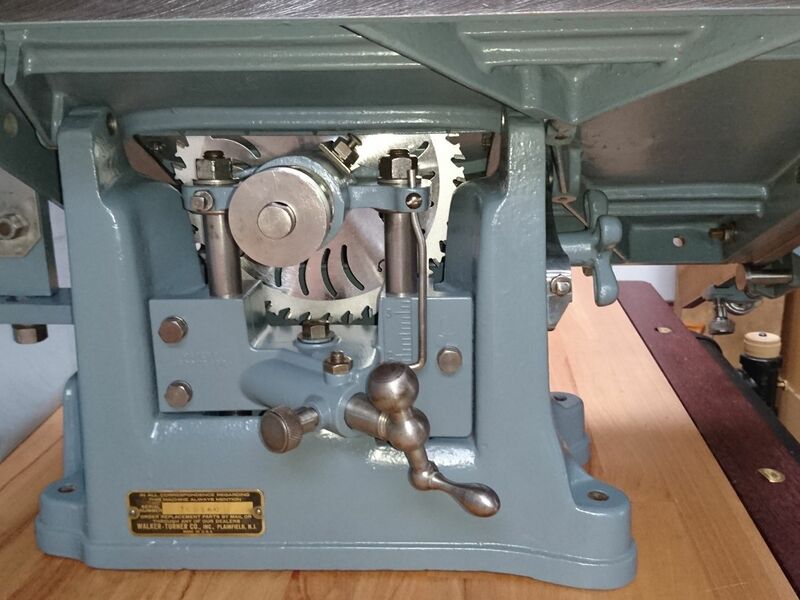 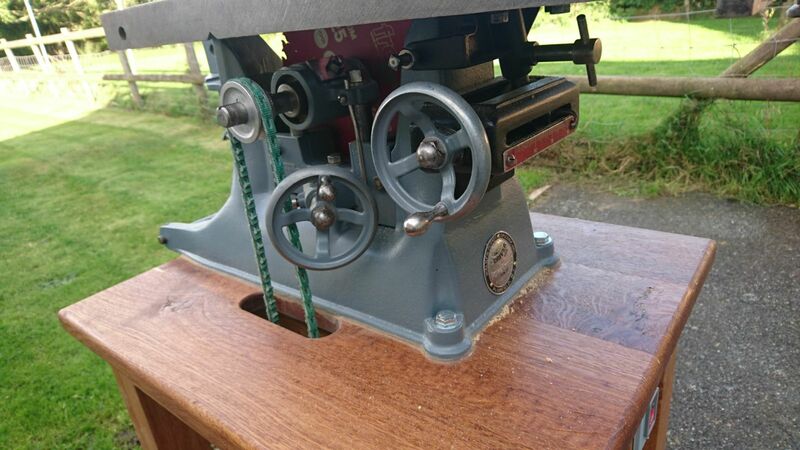 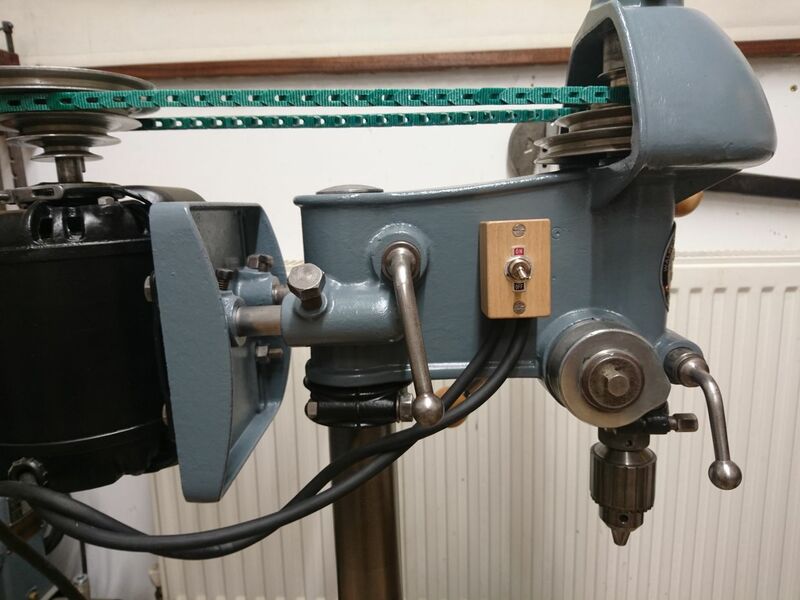 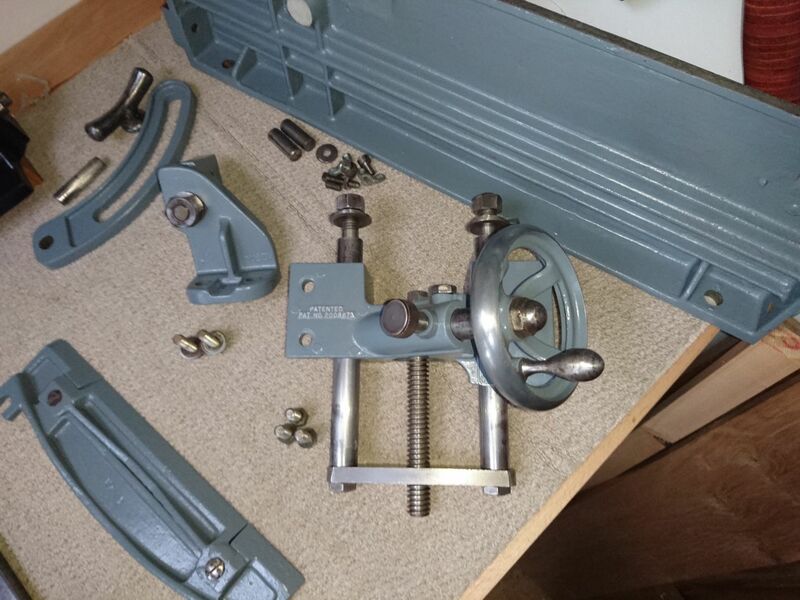 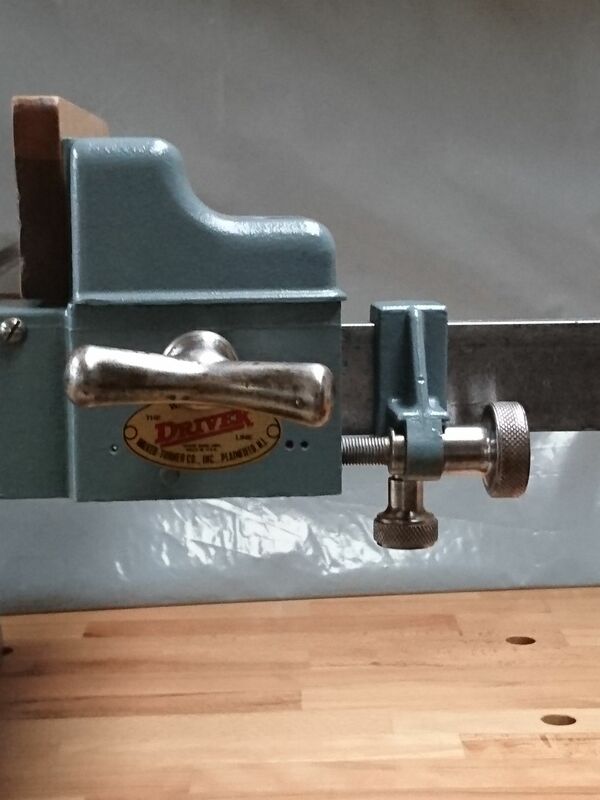 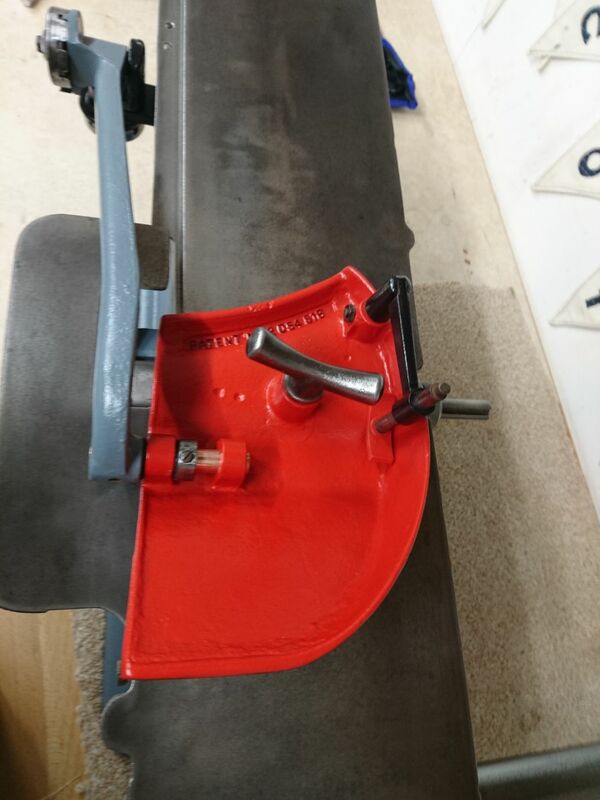 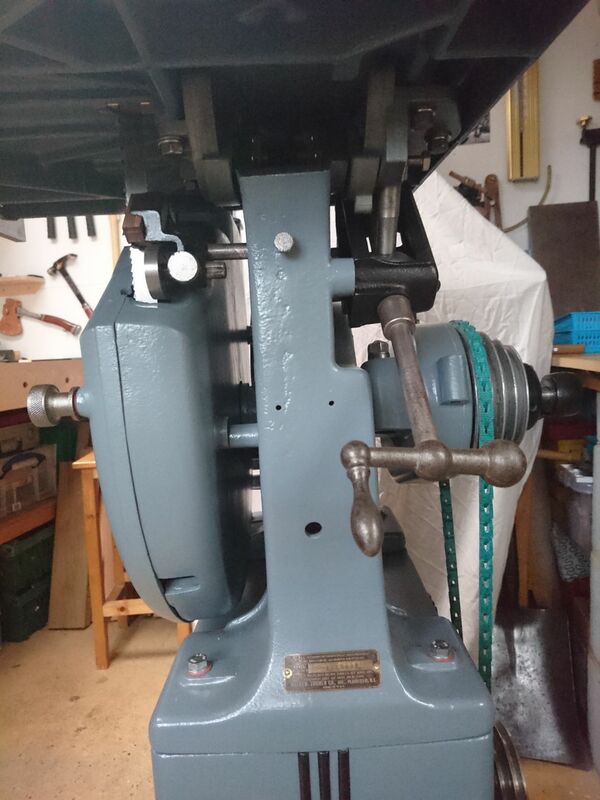 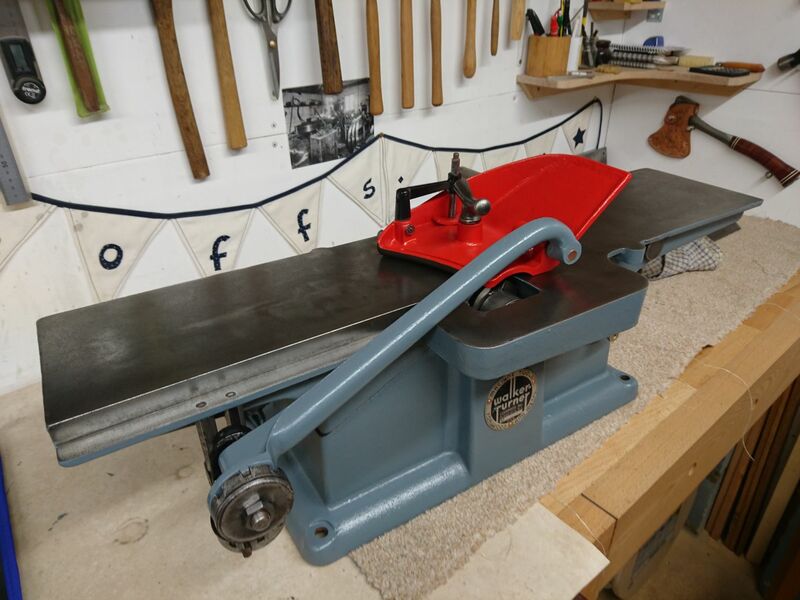 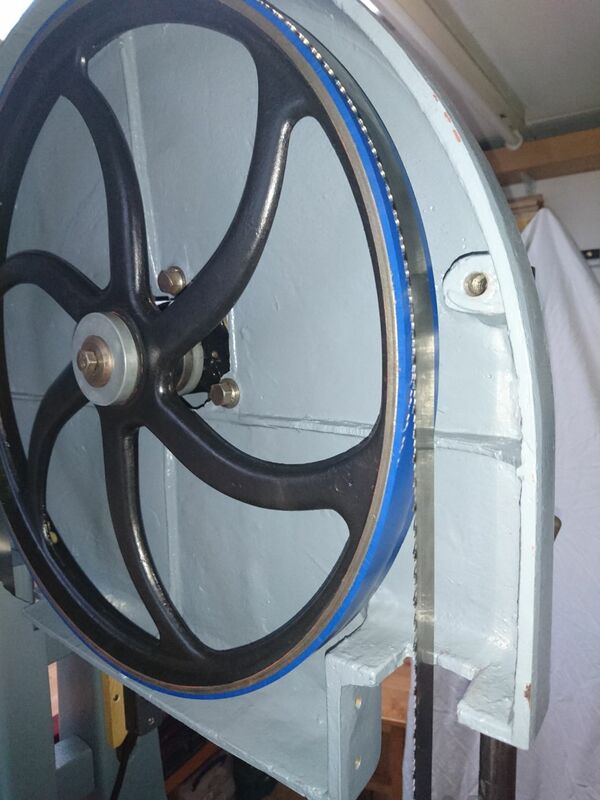 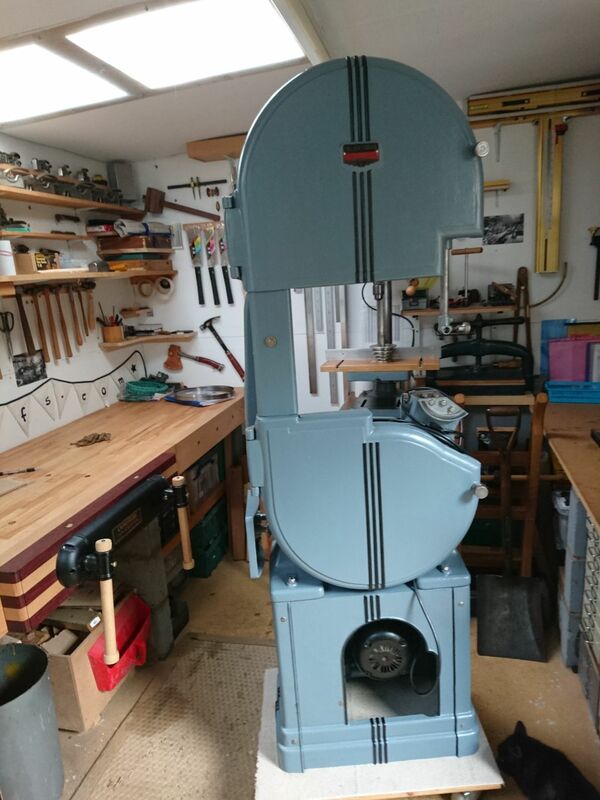 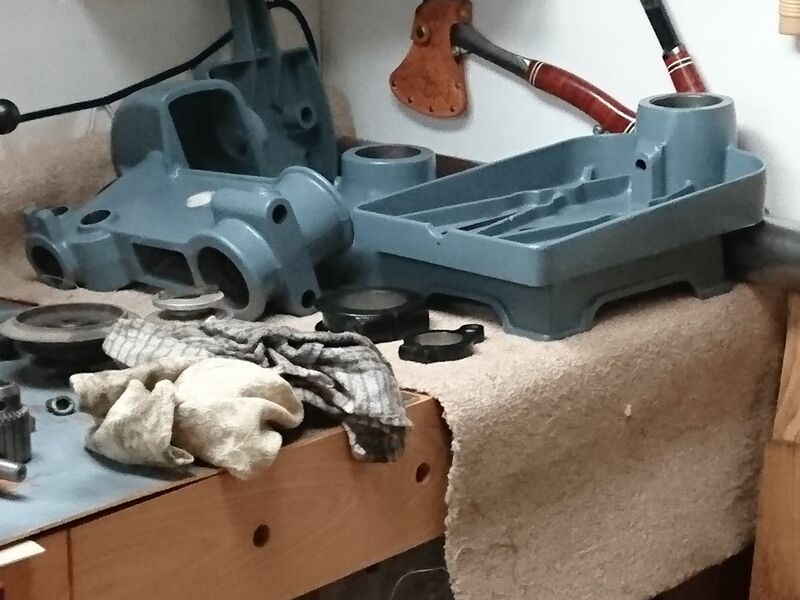 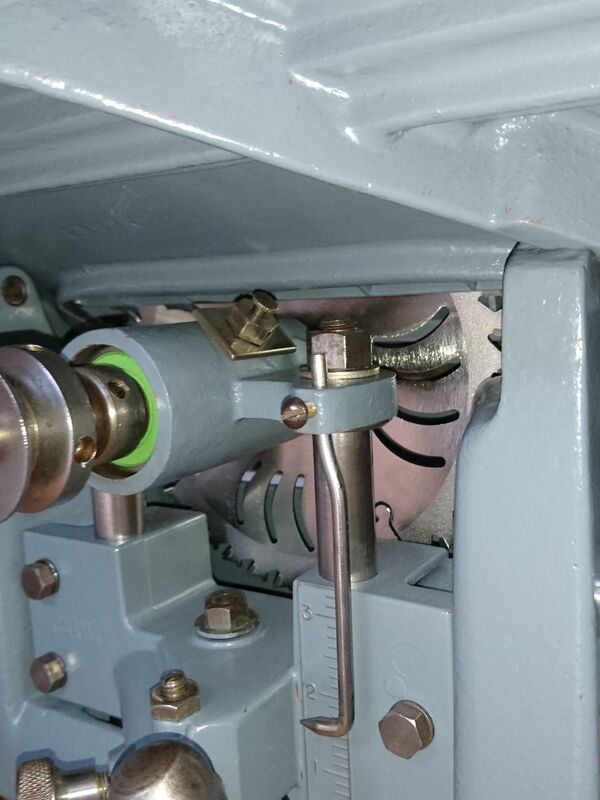 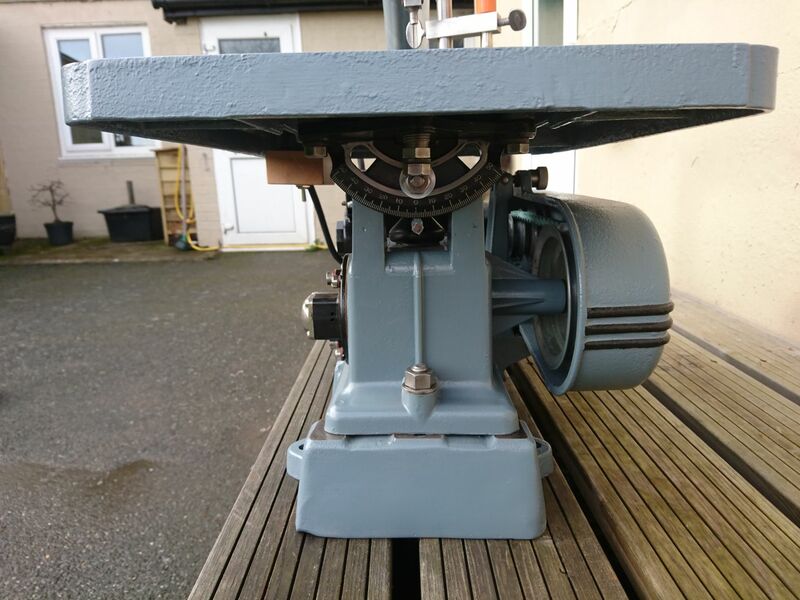 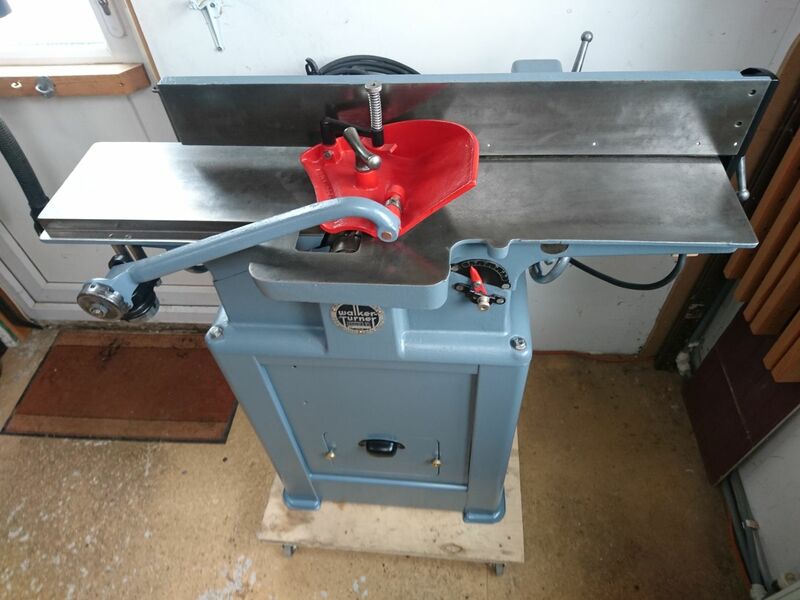 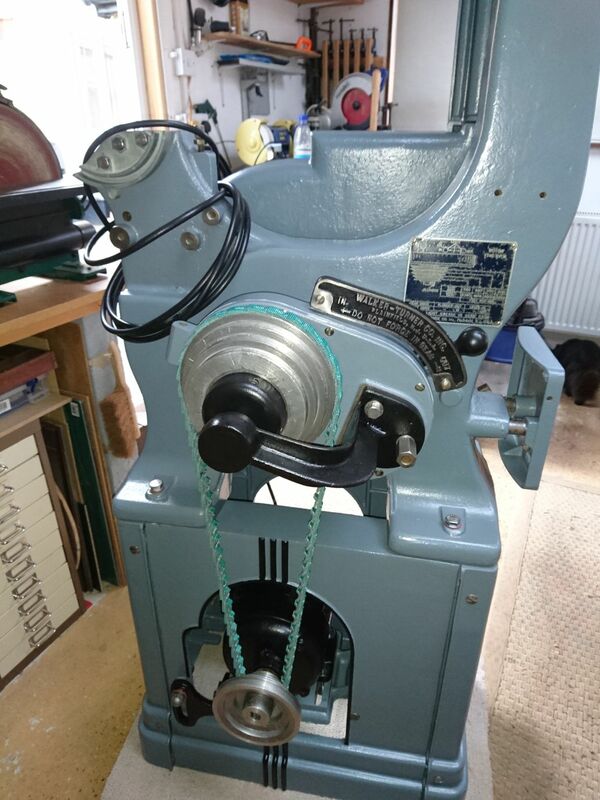 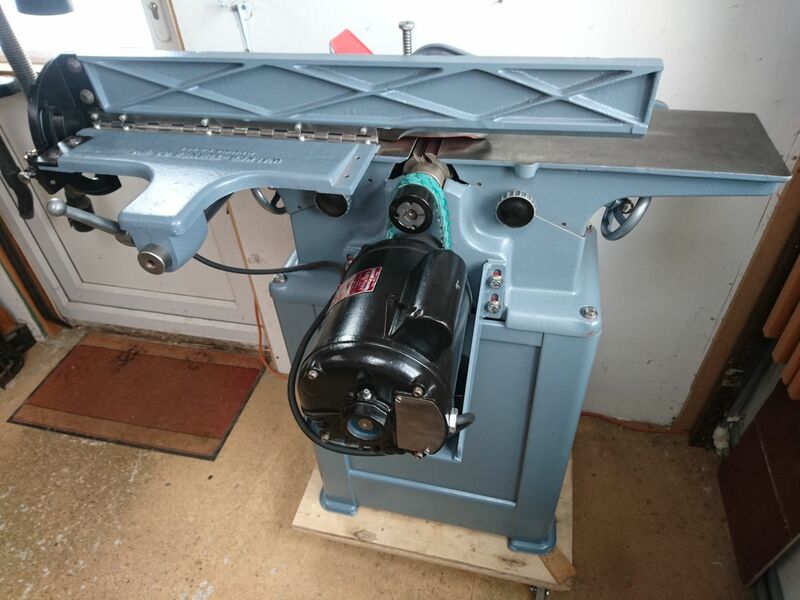 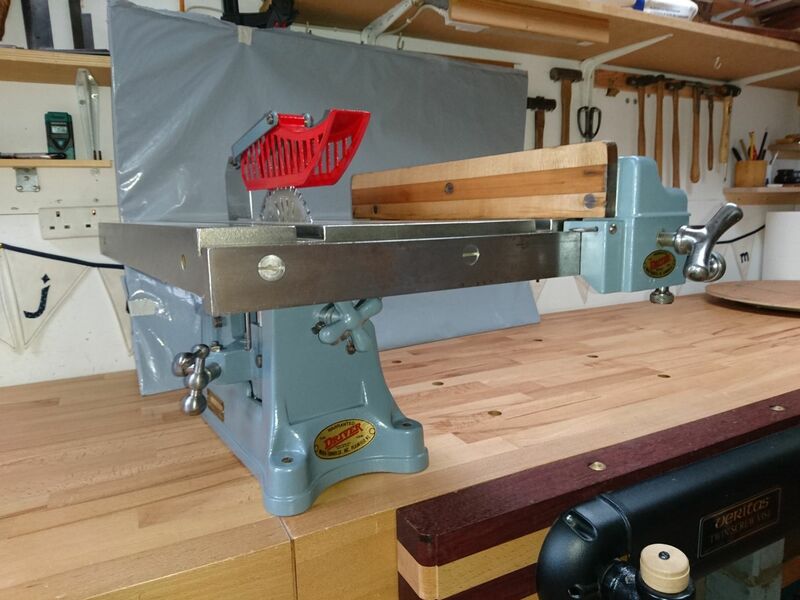 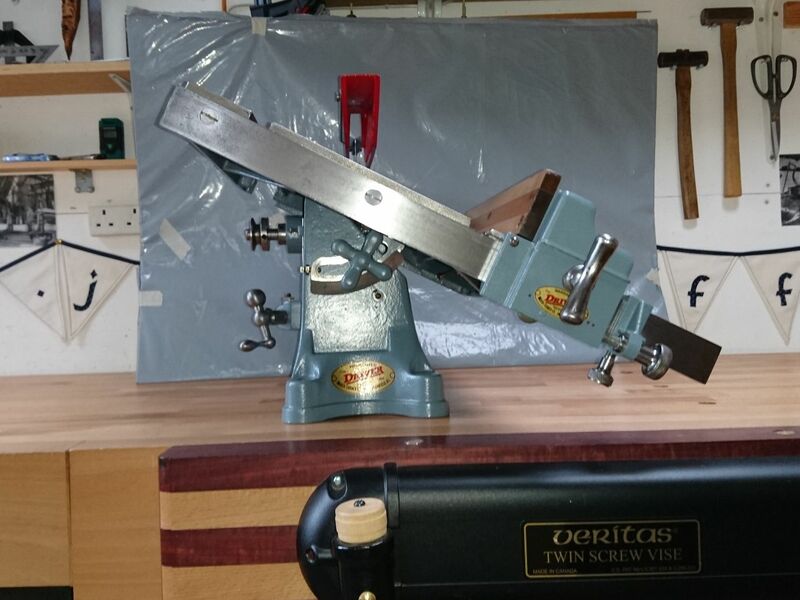 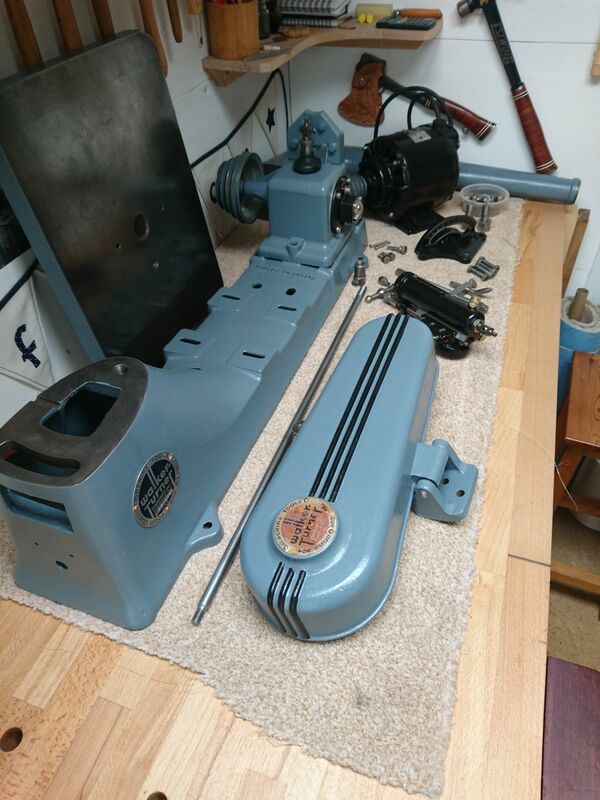 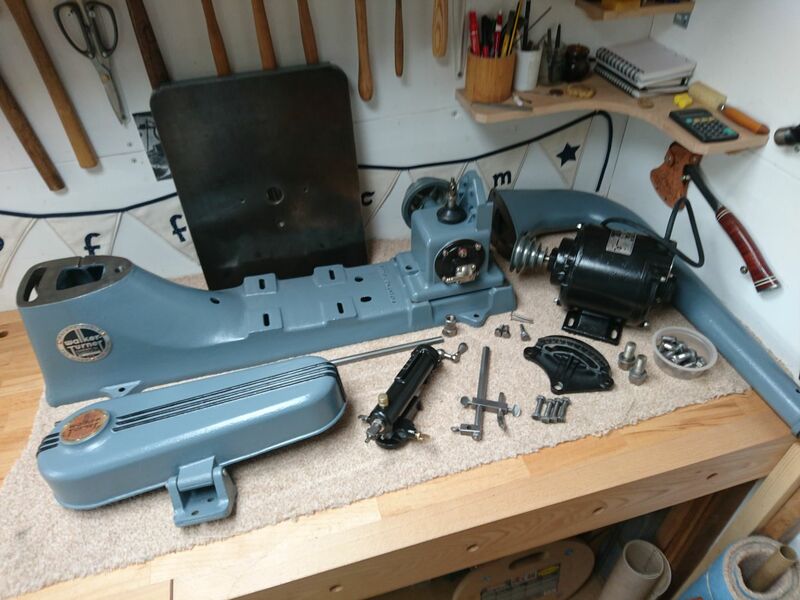 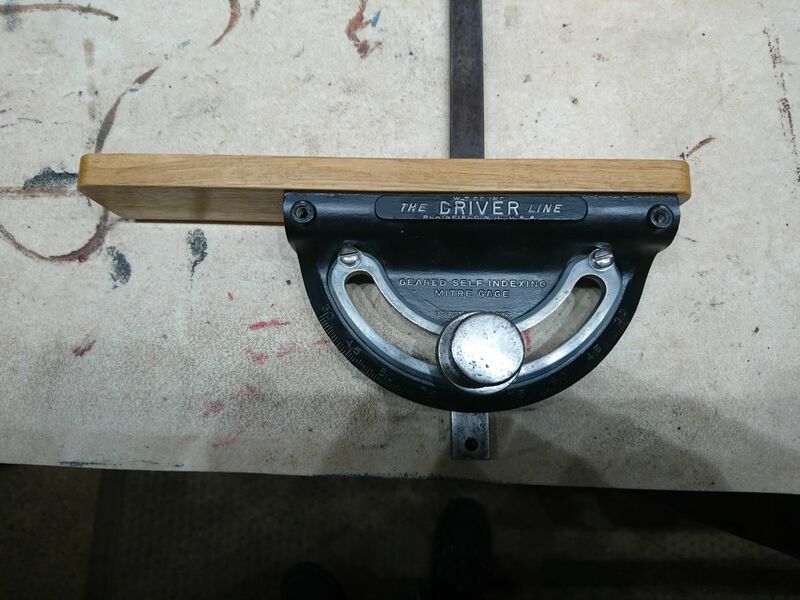 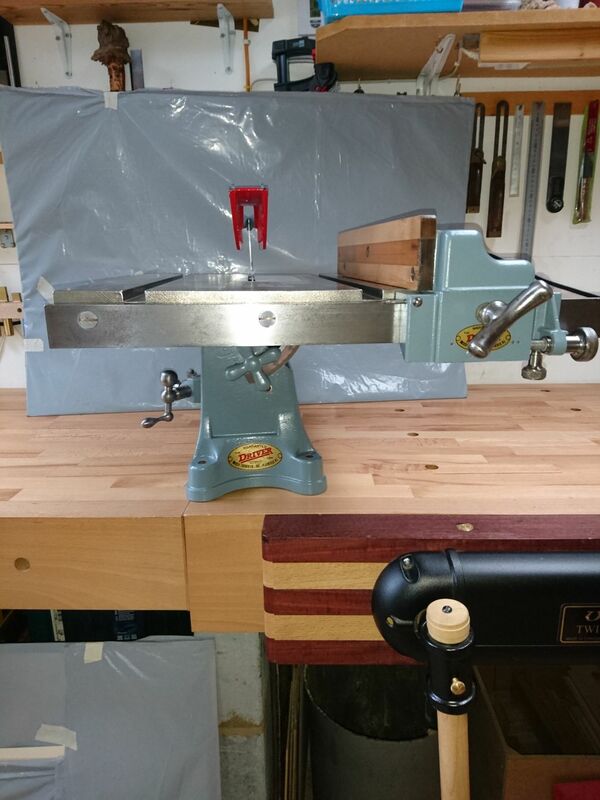 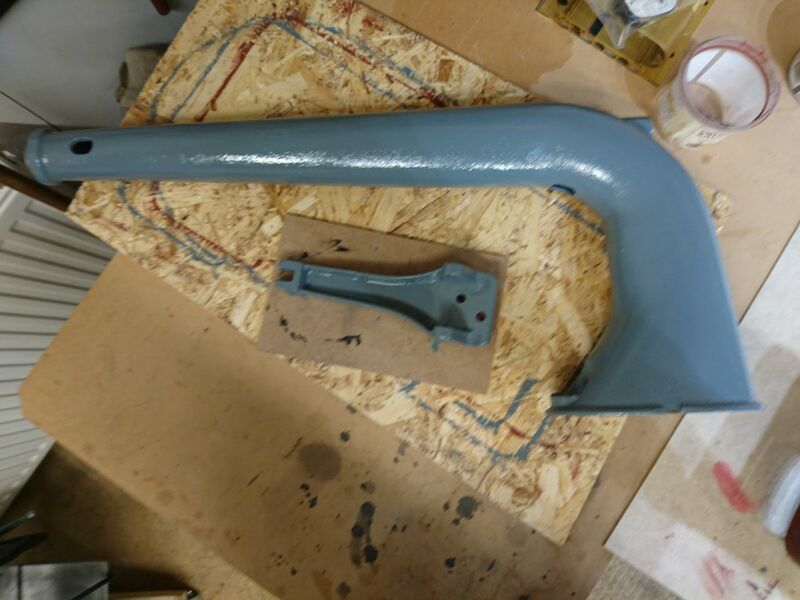 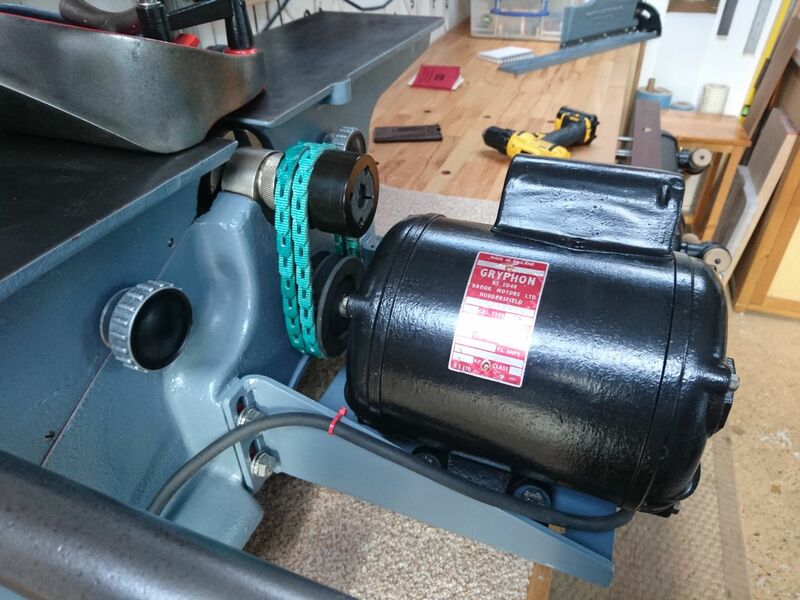 However it eventually arrived safely and the jointer was fitted on top thereby perfectly setting off this classic example of restored American vintage quality machinery. 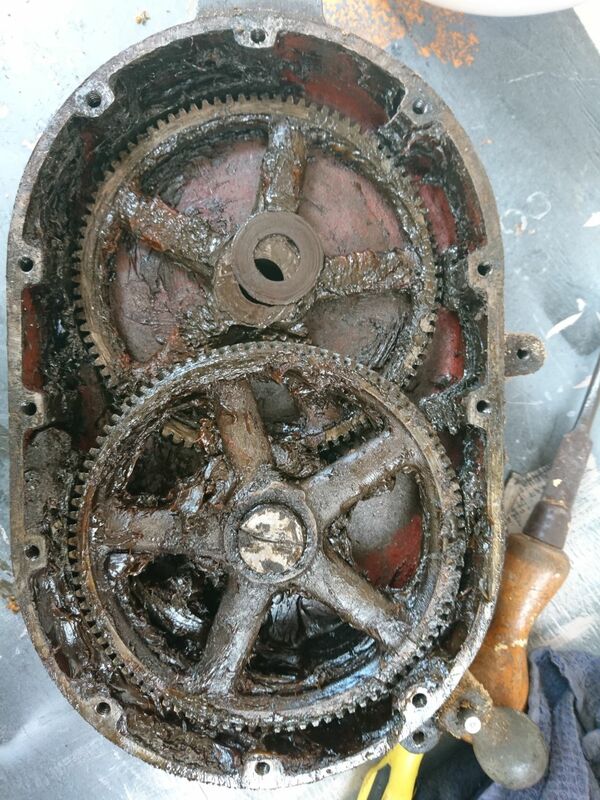 See gallery below. 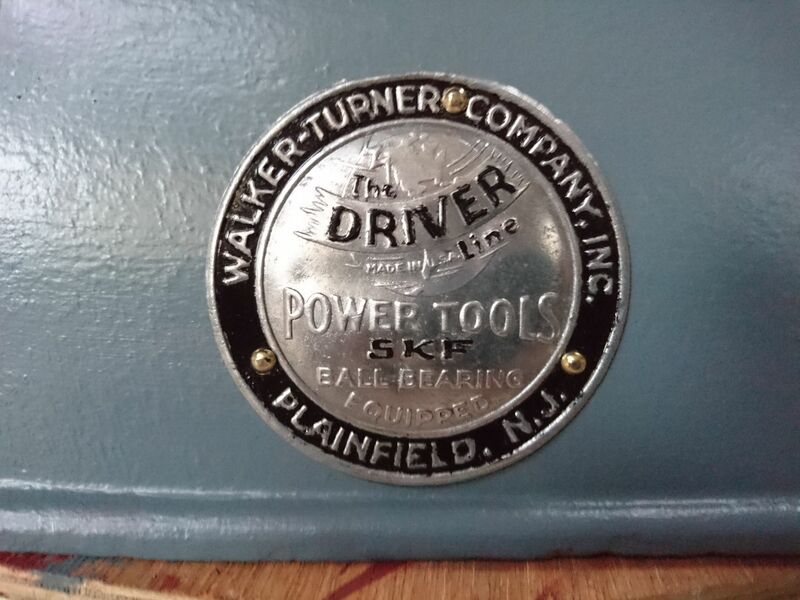 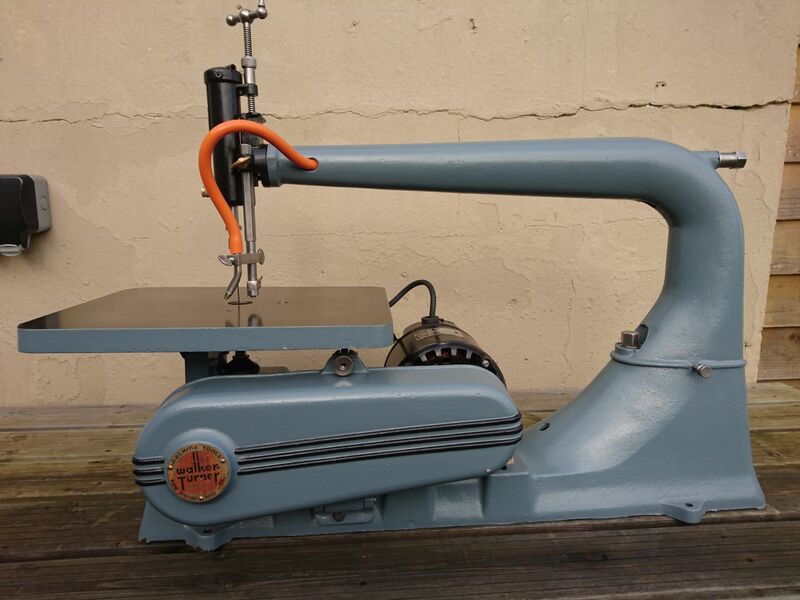 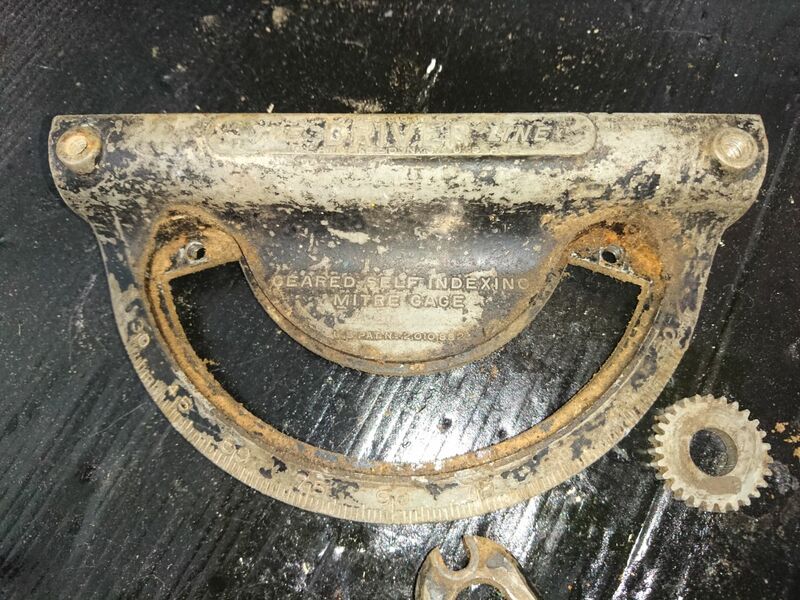 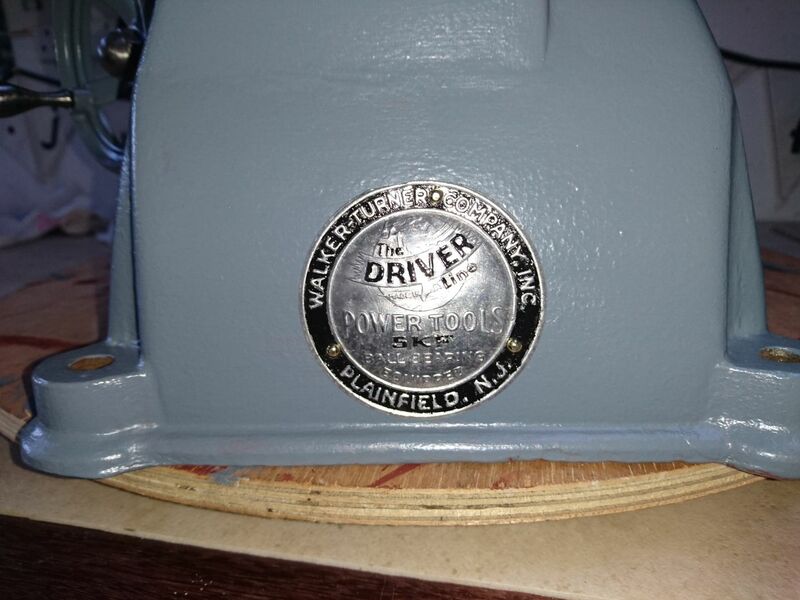 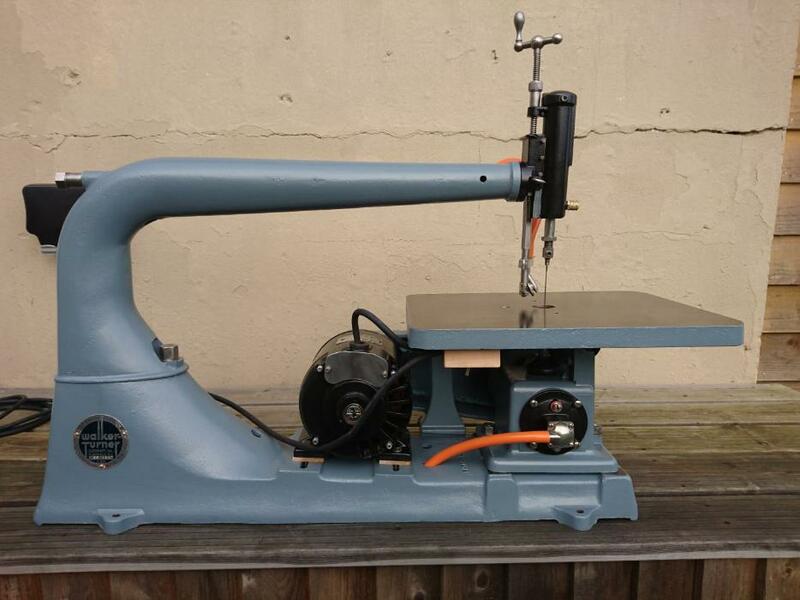 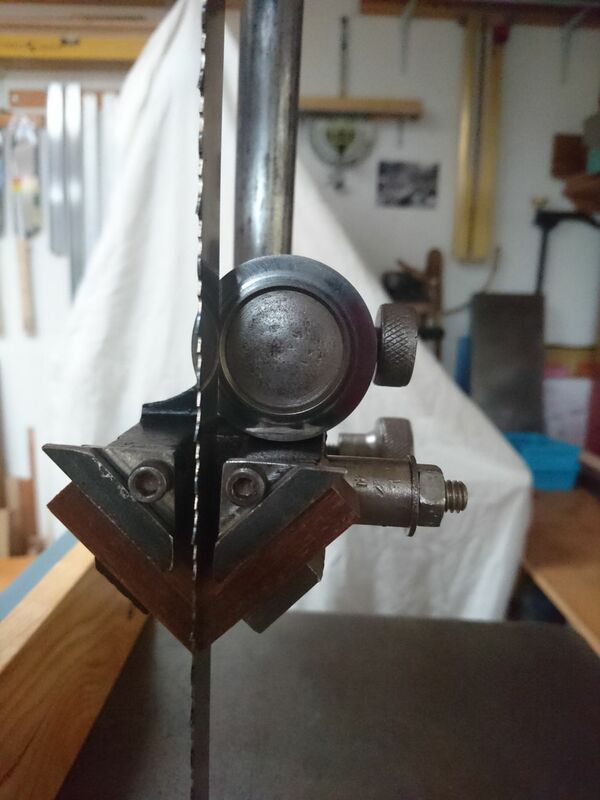 Walker Turner scroll saw J915 dating approx 1947. 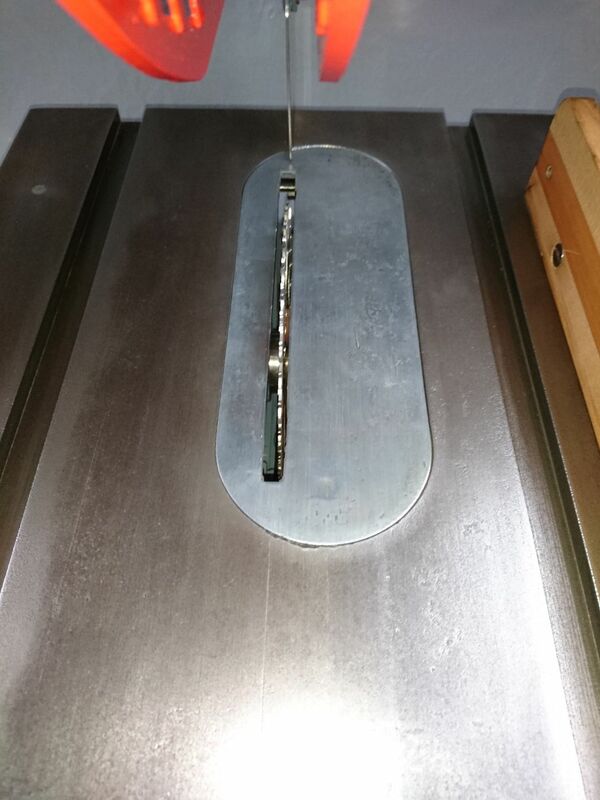 Please leave your comments here guestbook.php Thanks.